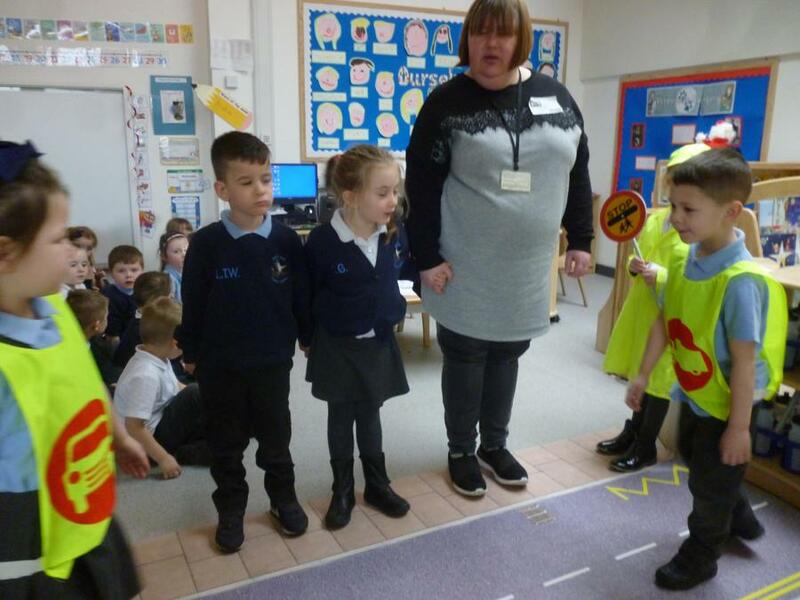 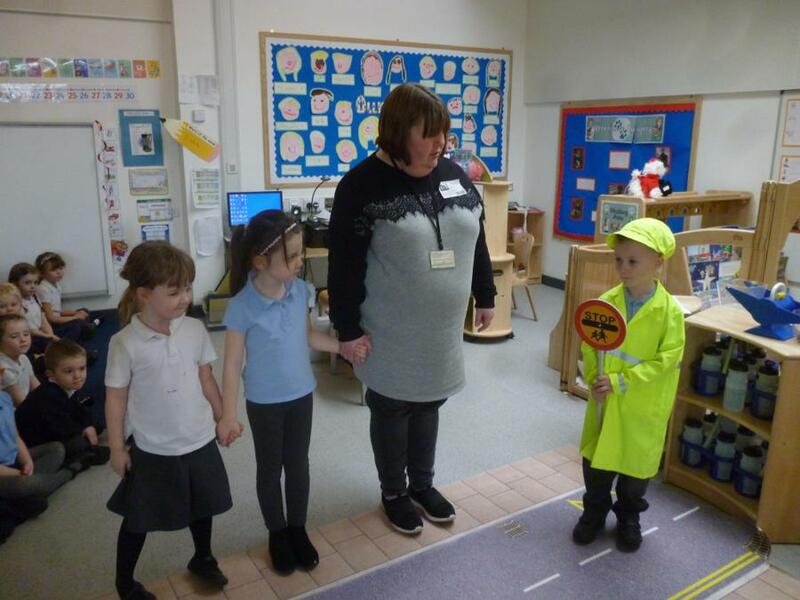 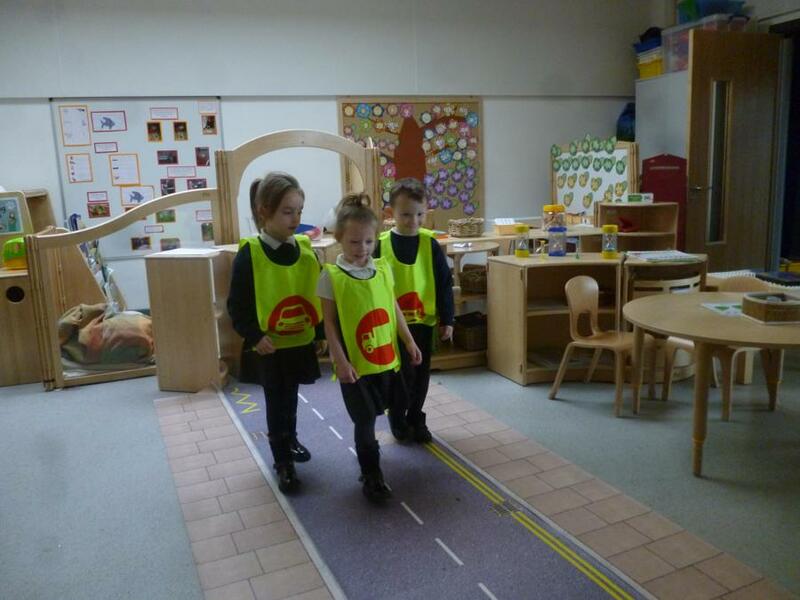 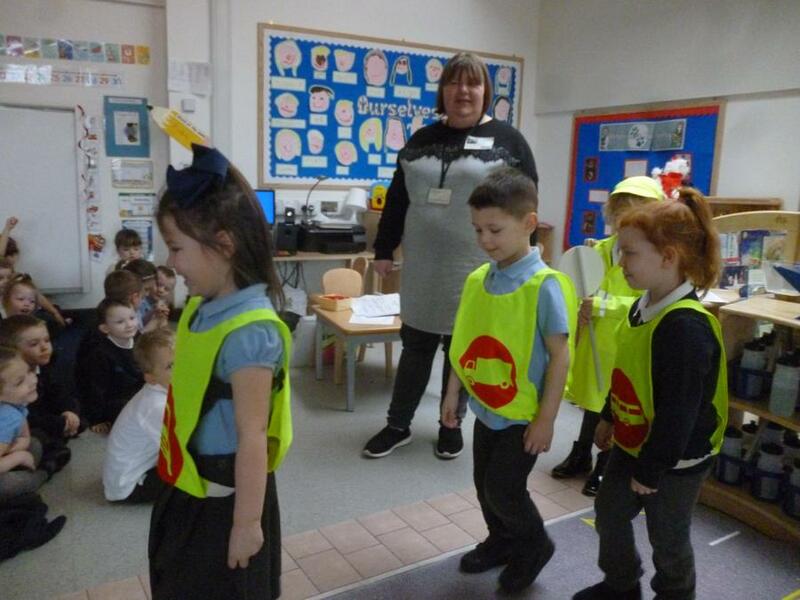 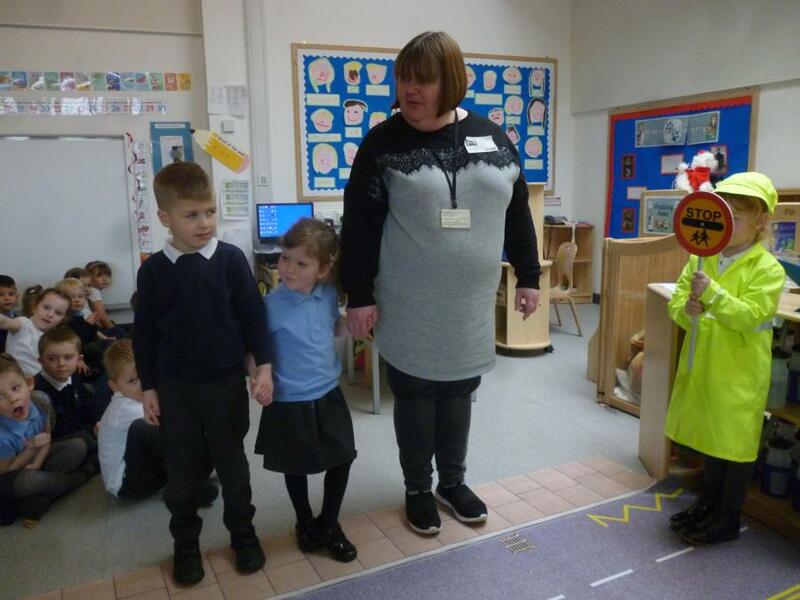 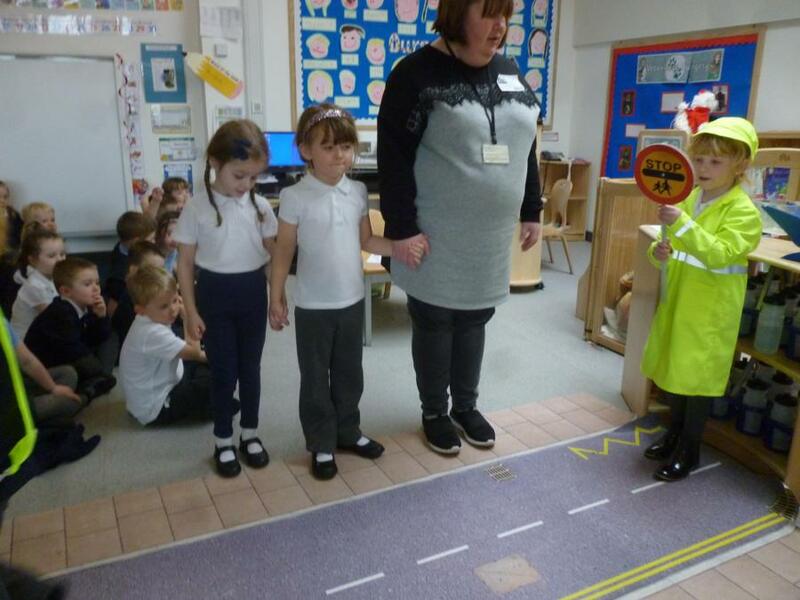 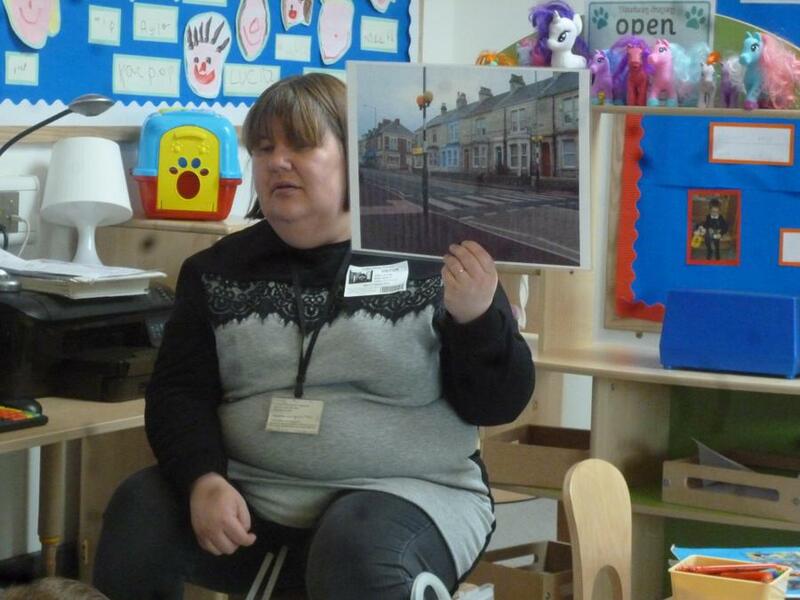 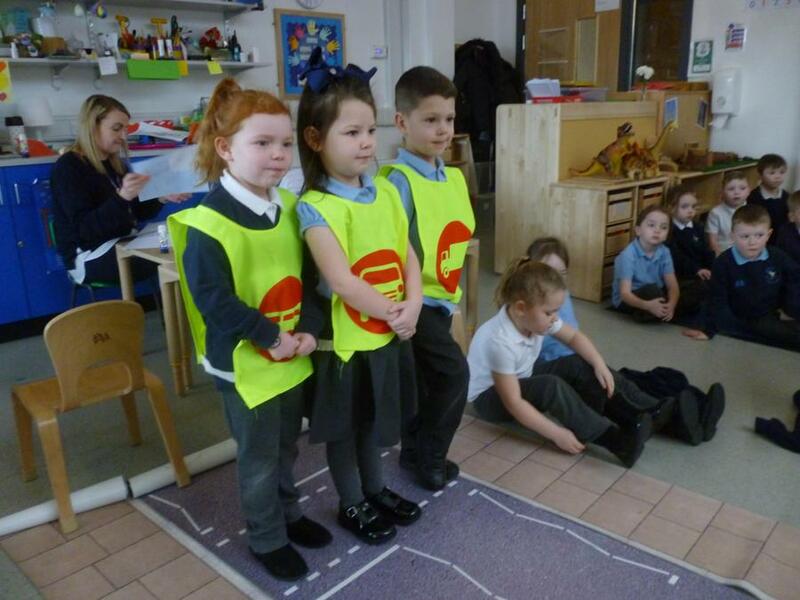 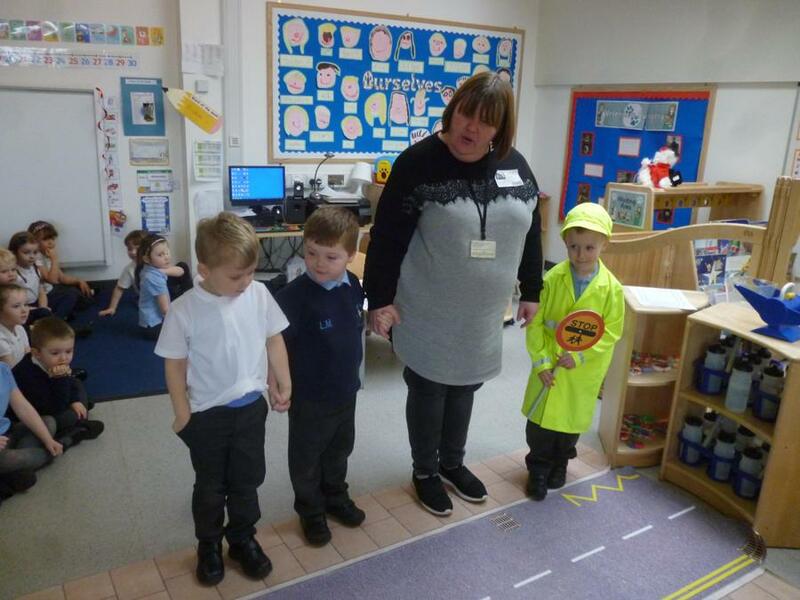 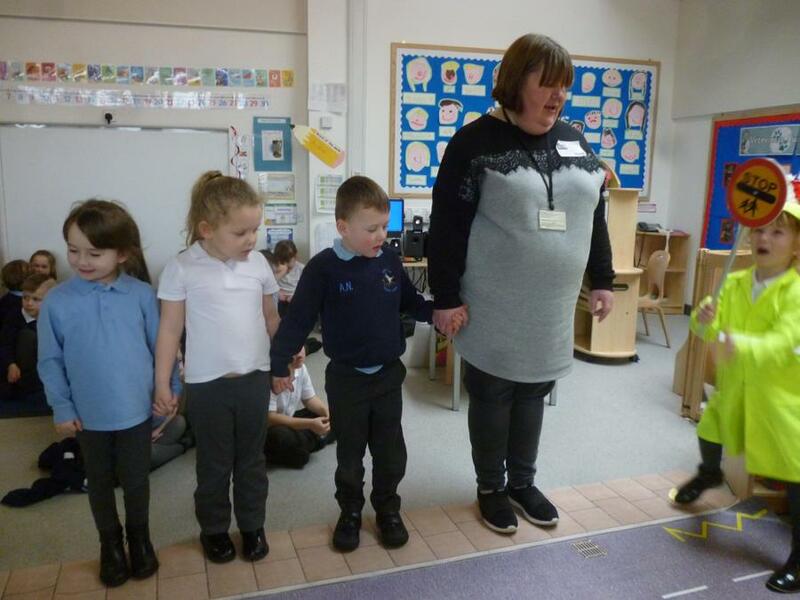 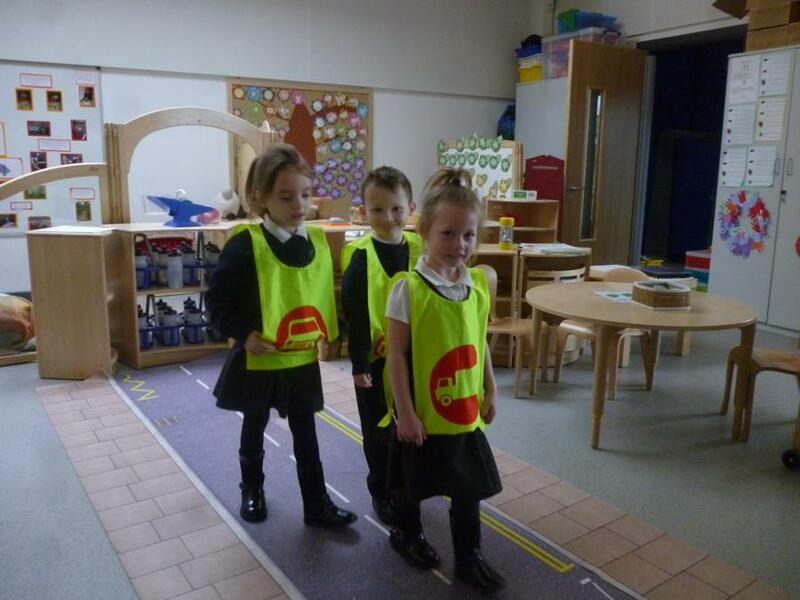 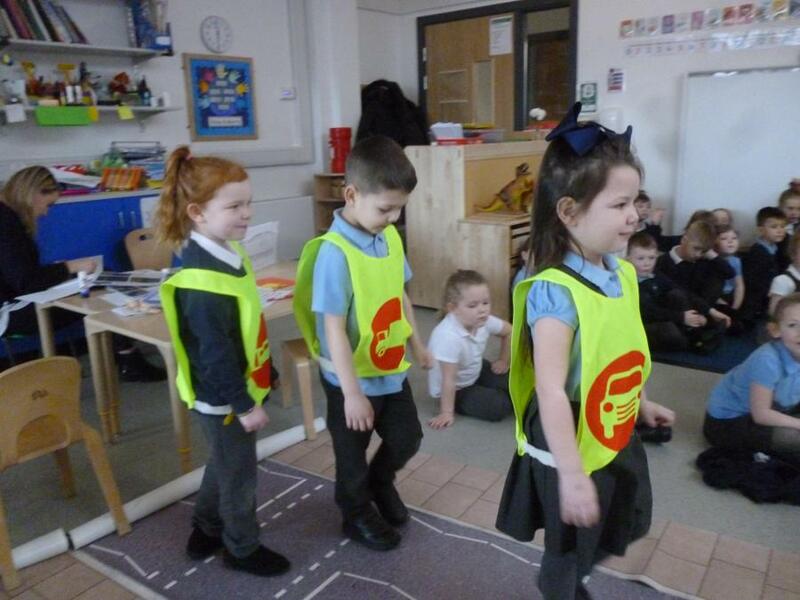 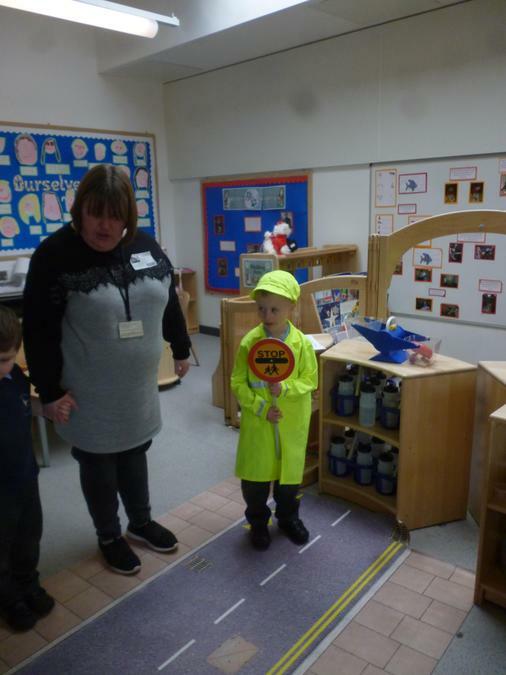 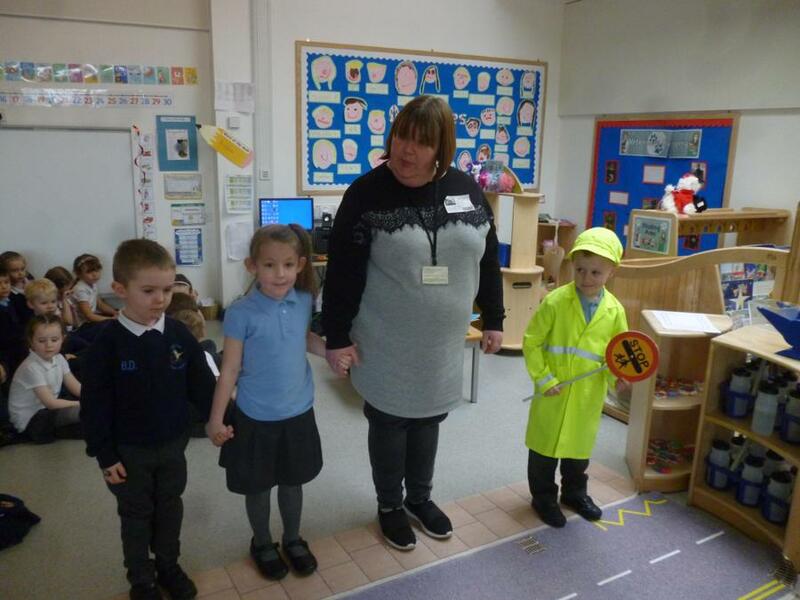 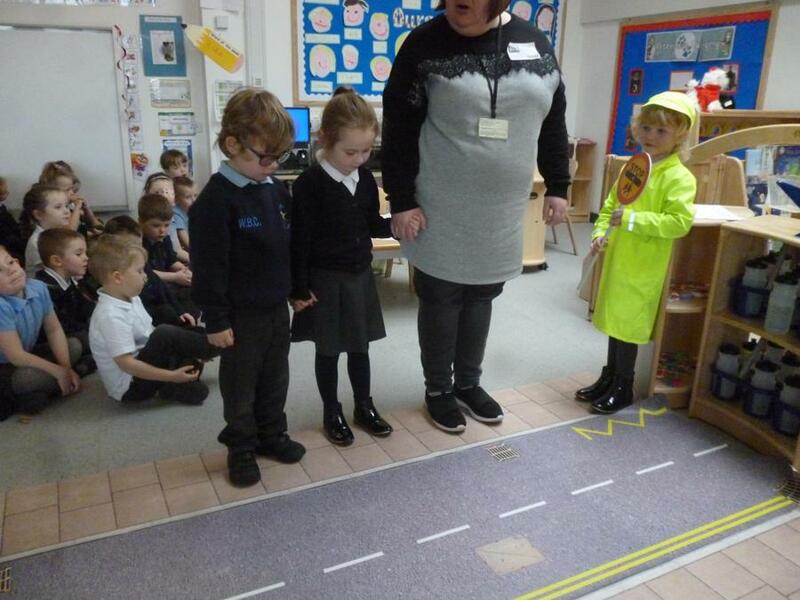 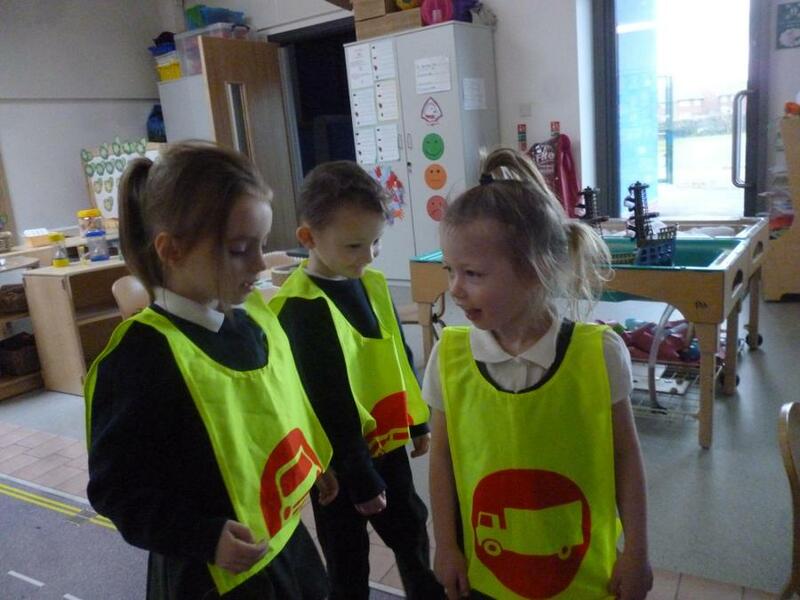 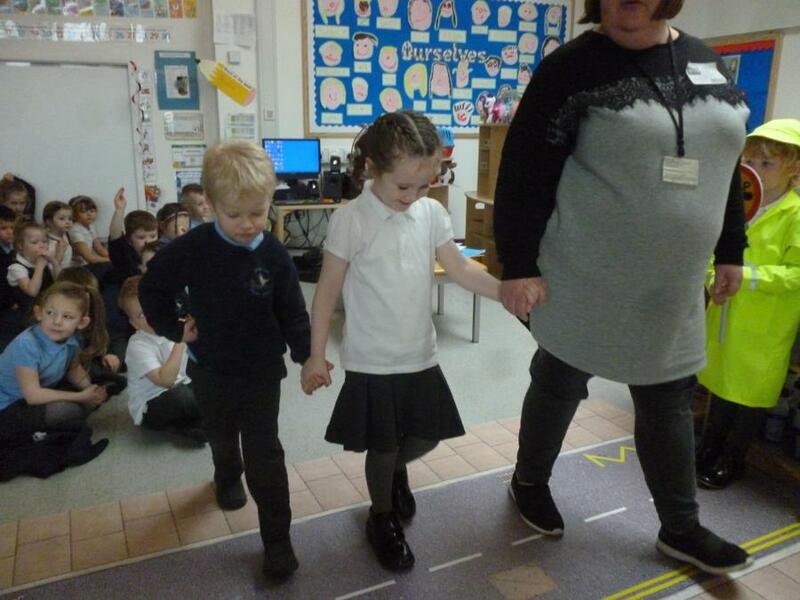 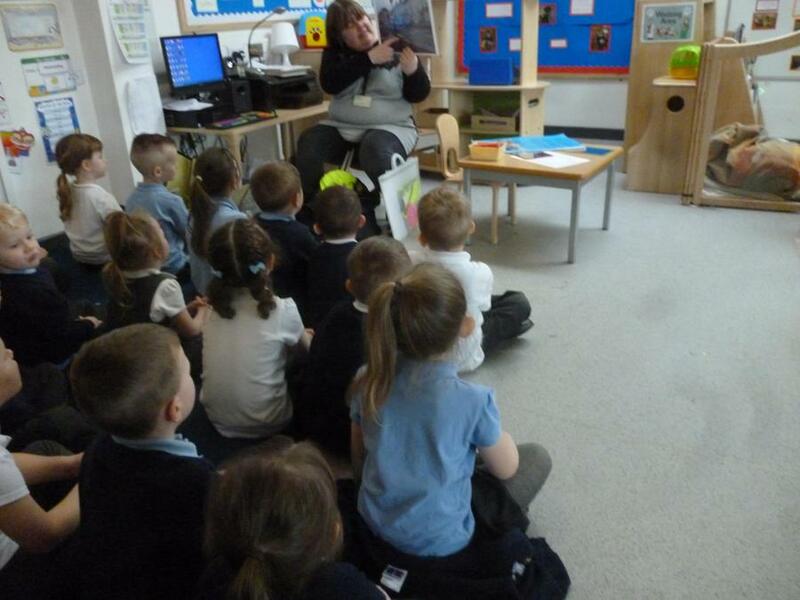 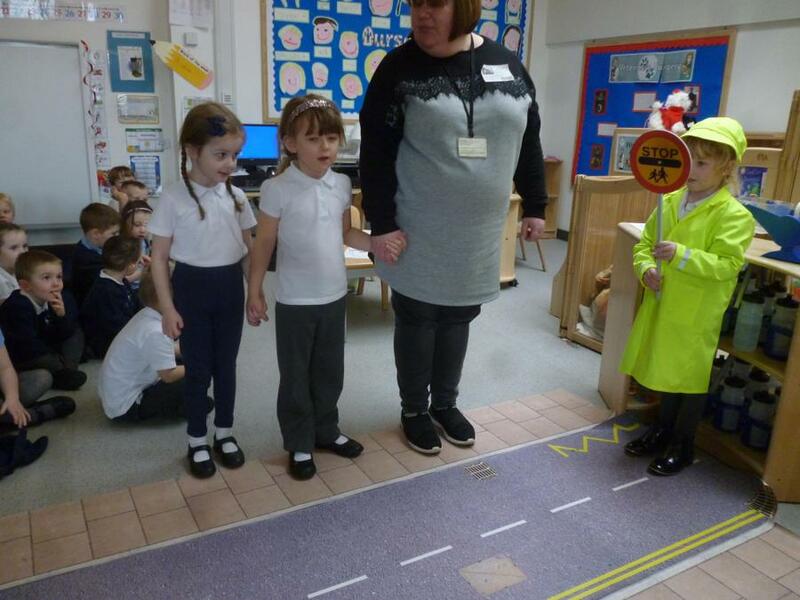 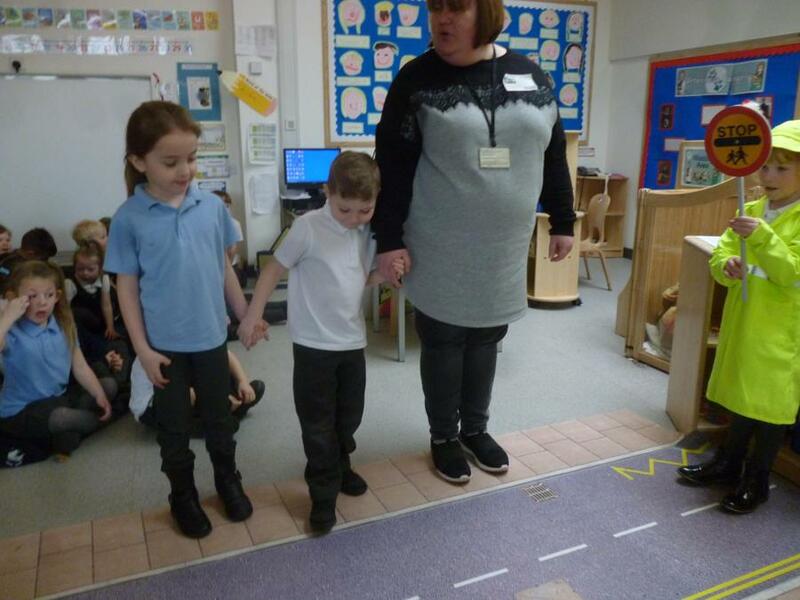 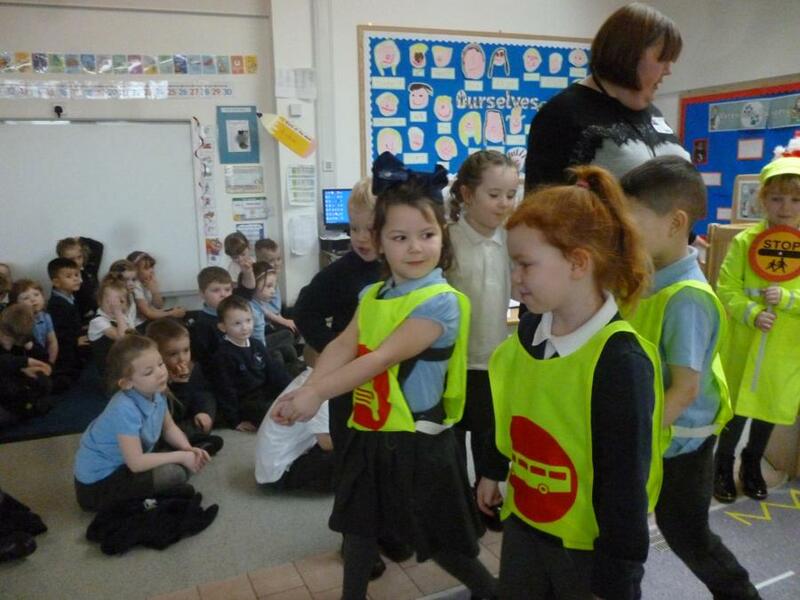 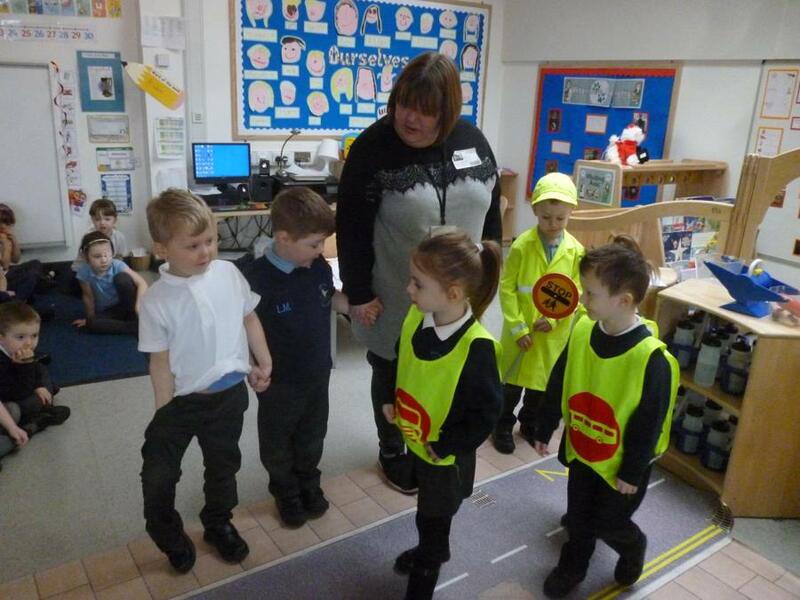 We had a special visitor from road safety who helped us learn how to be safe when crossing the road. 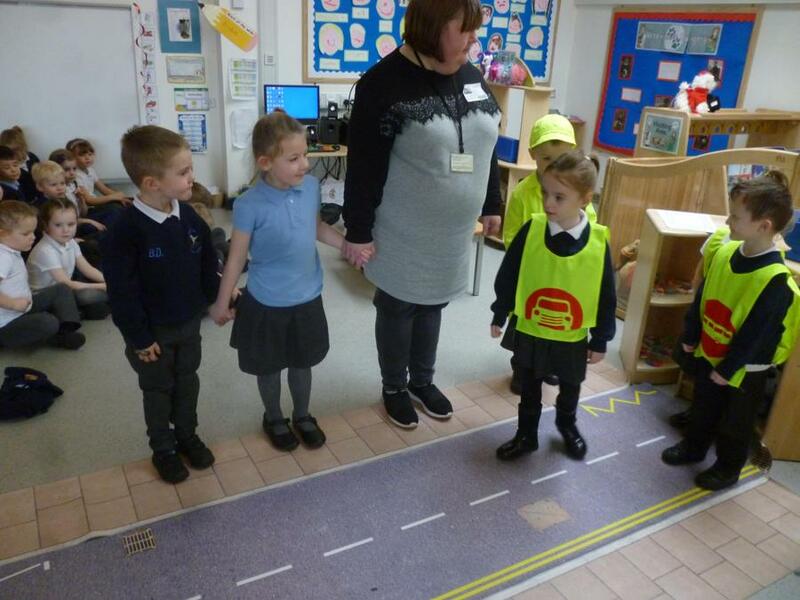 Sara brought a big road with her and we took turns to wait for the lollypop girl/boy to help us cross the road. 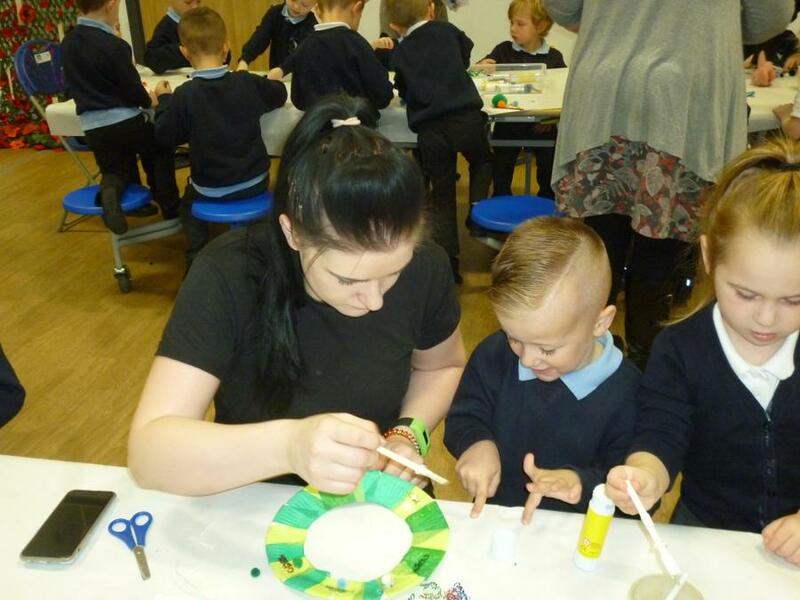 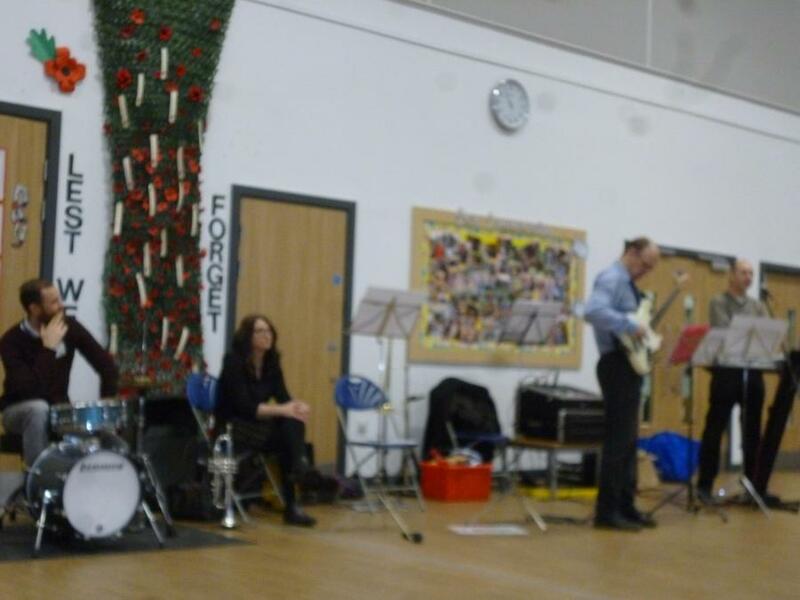 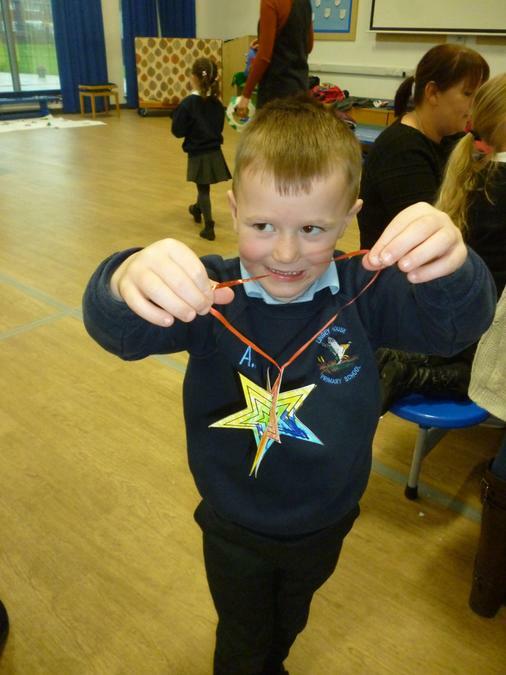 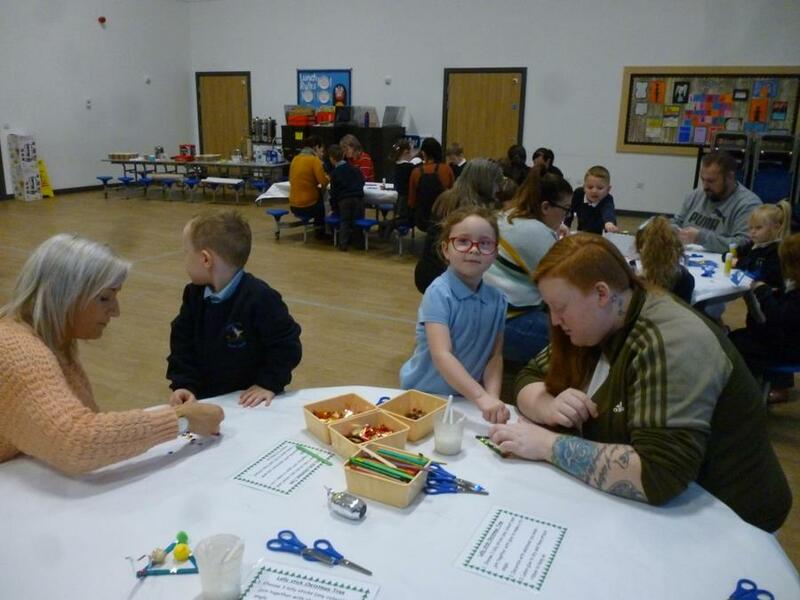 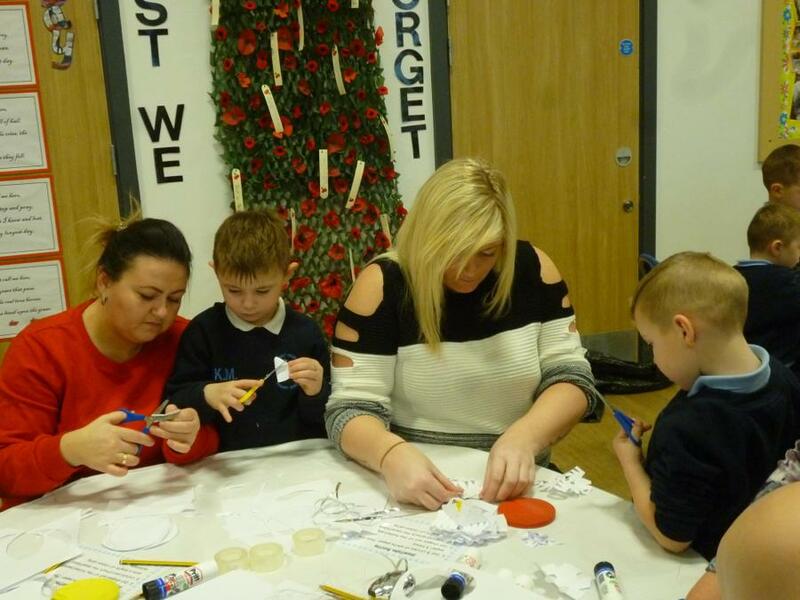 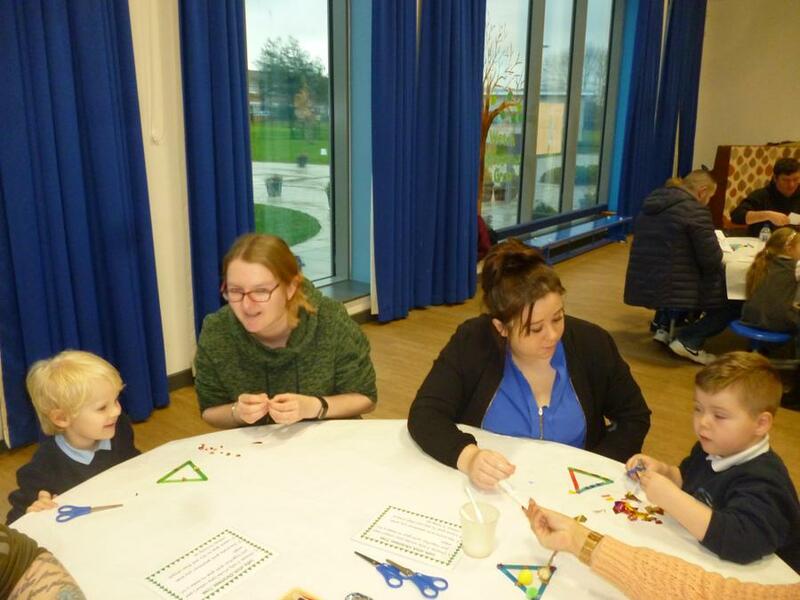 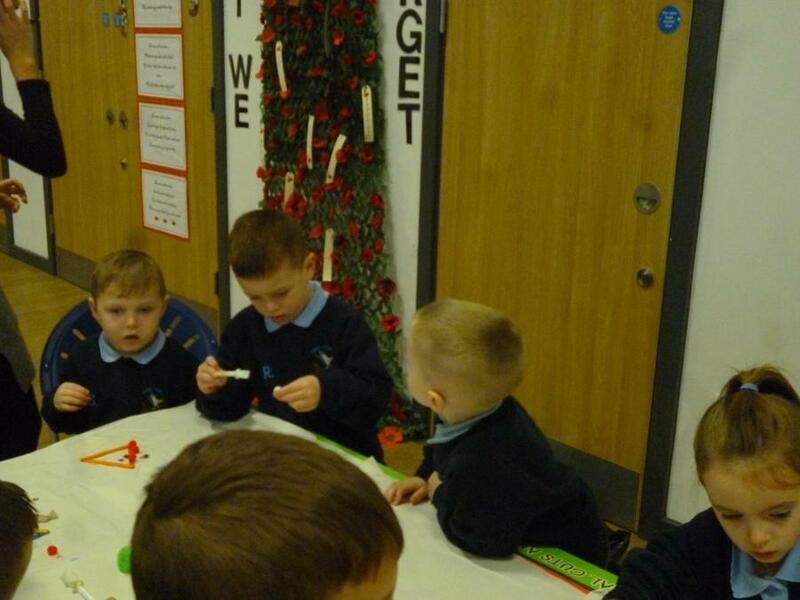 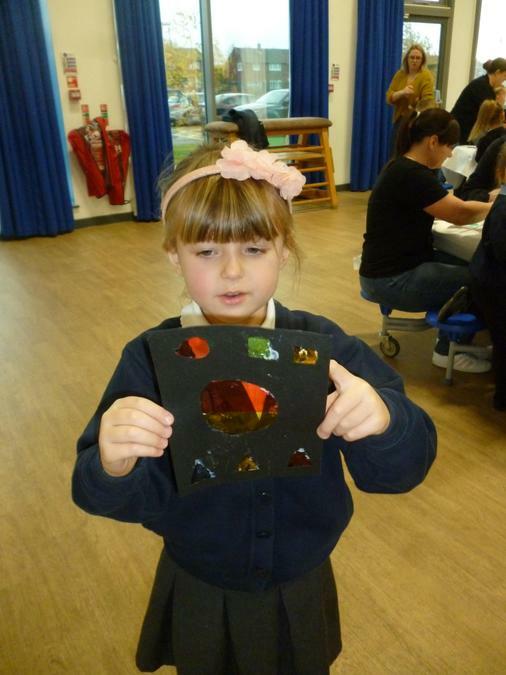 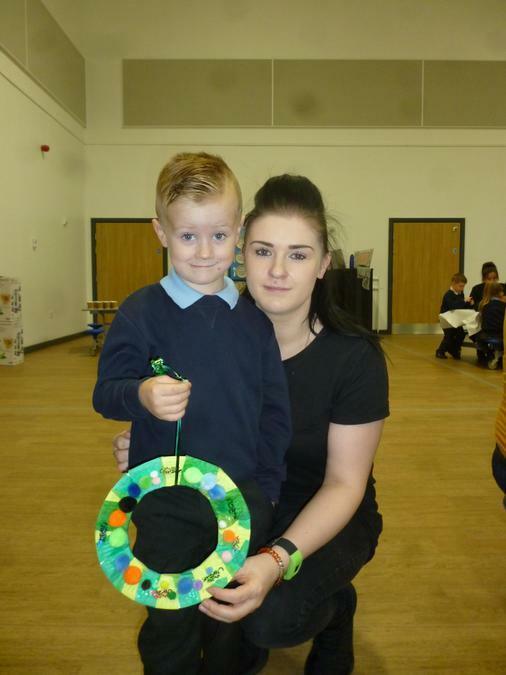 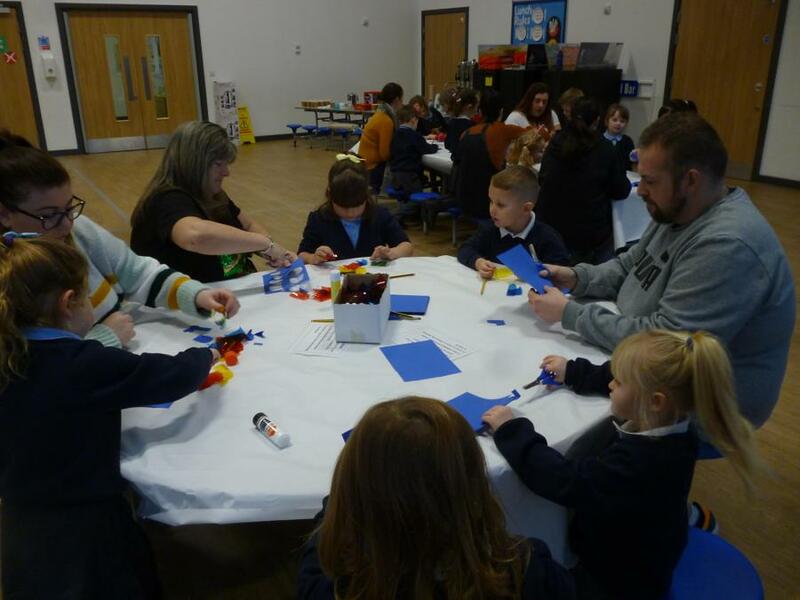 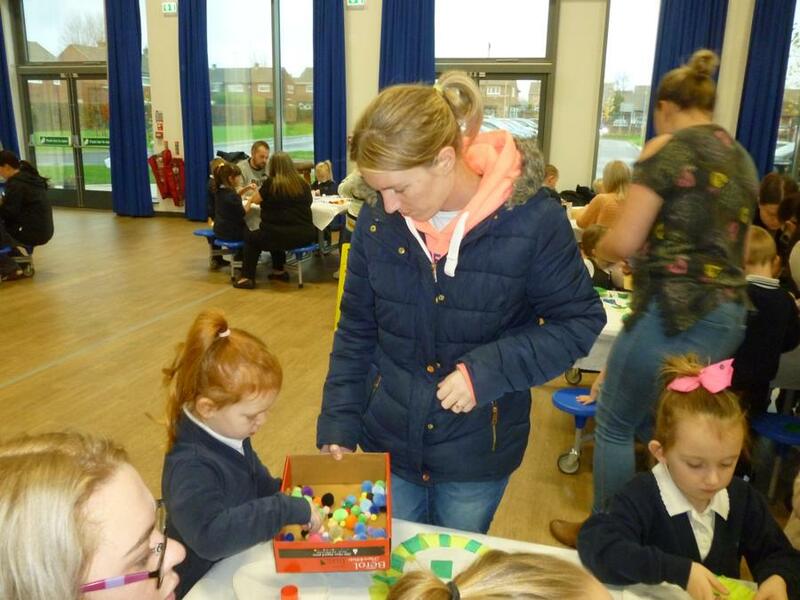 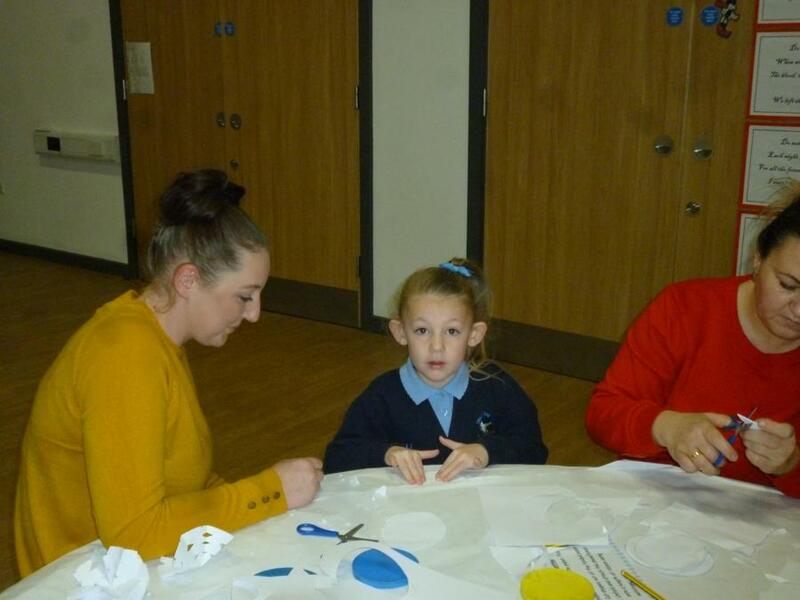 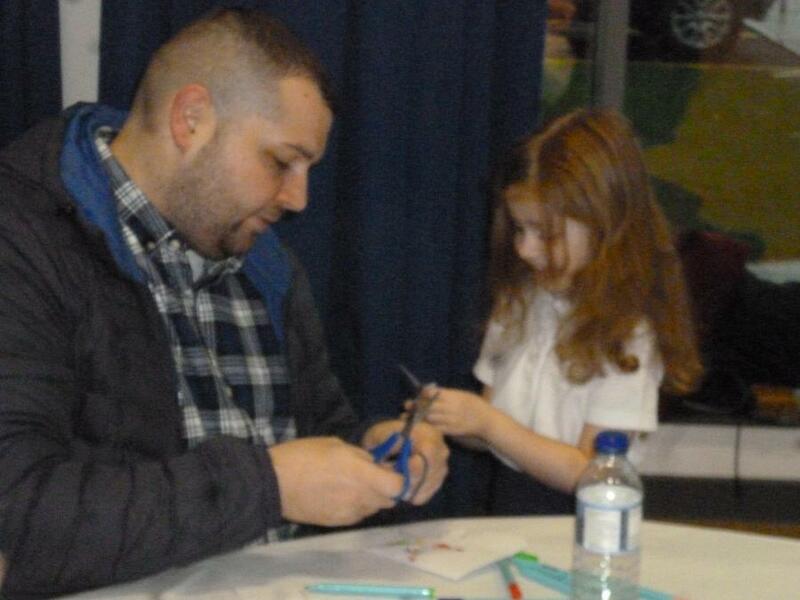 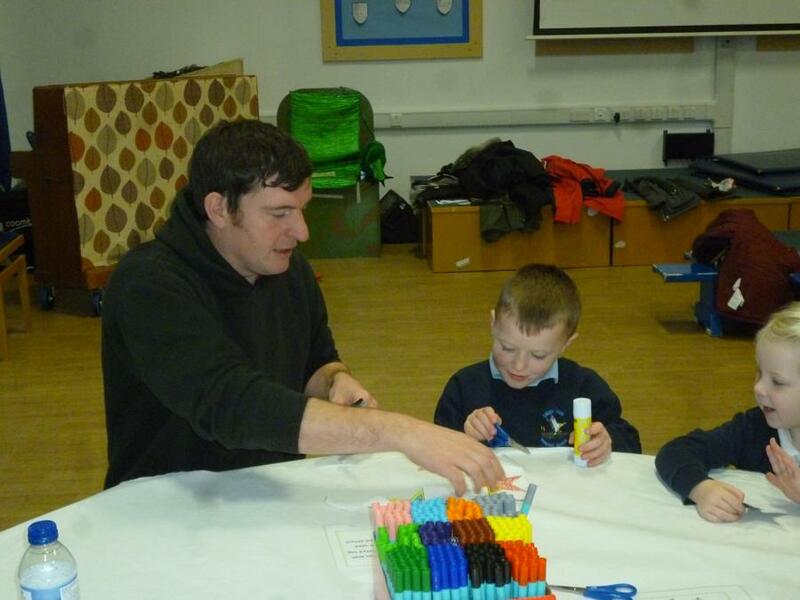 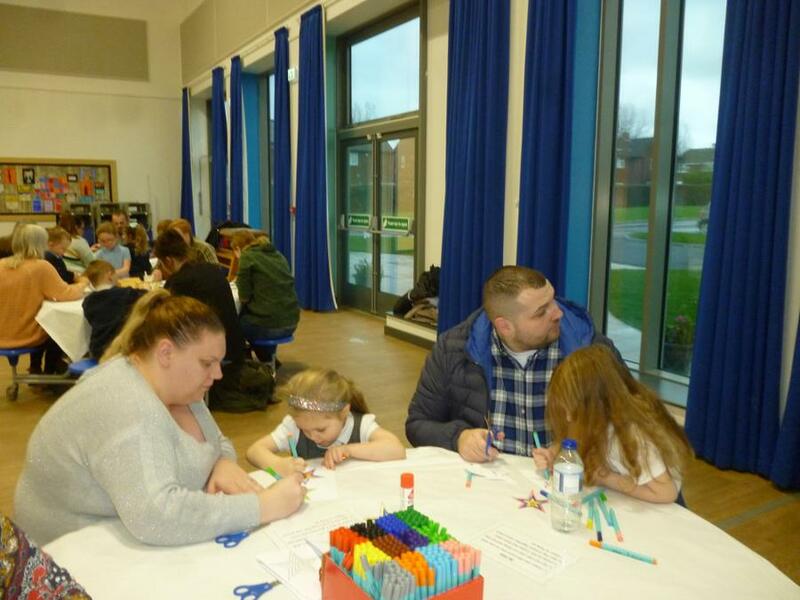 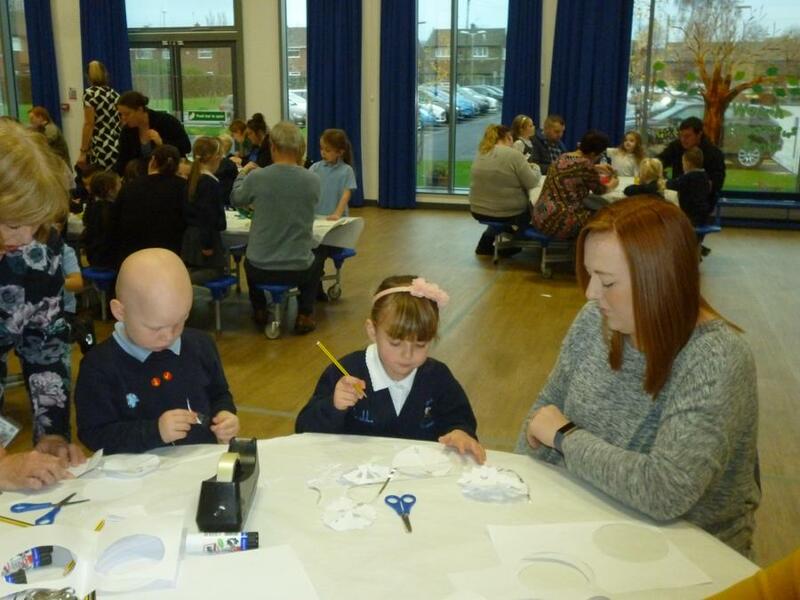 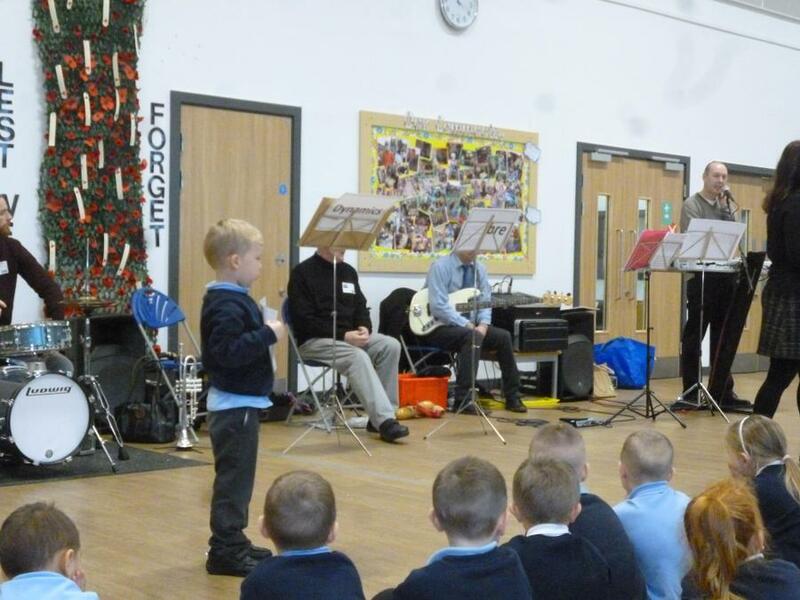 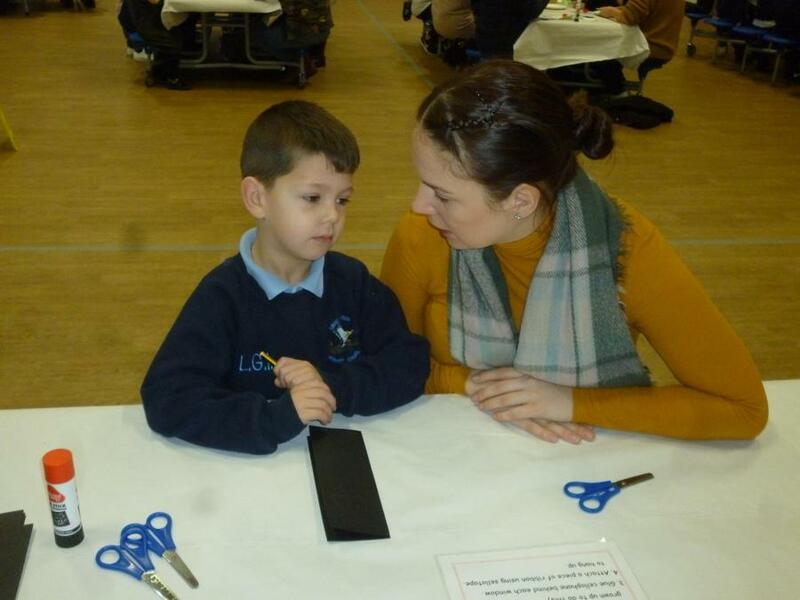 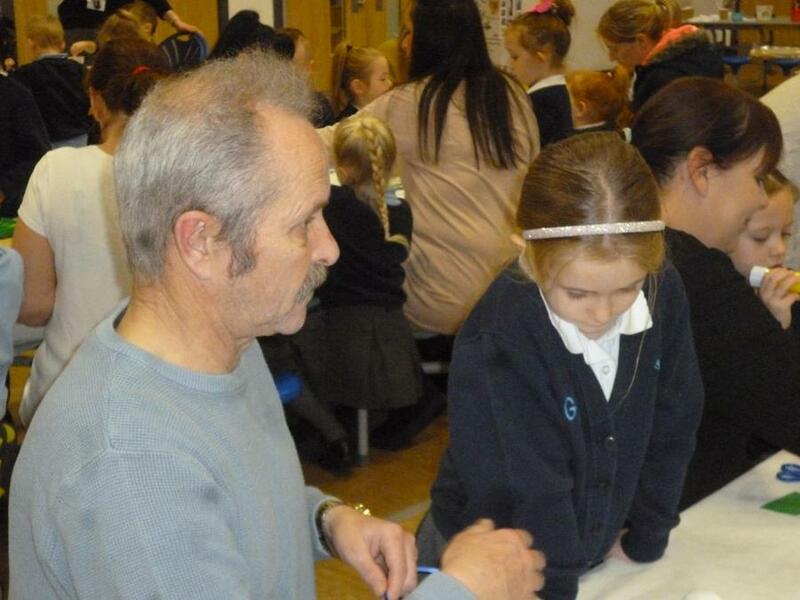 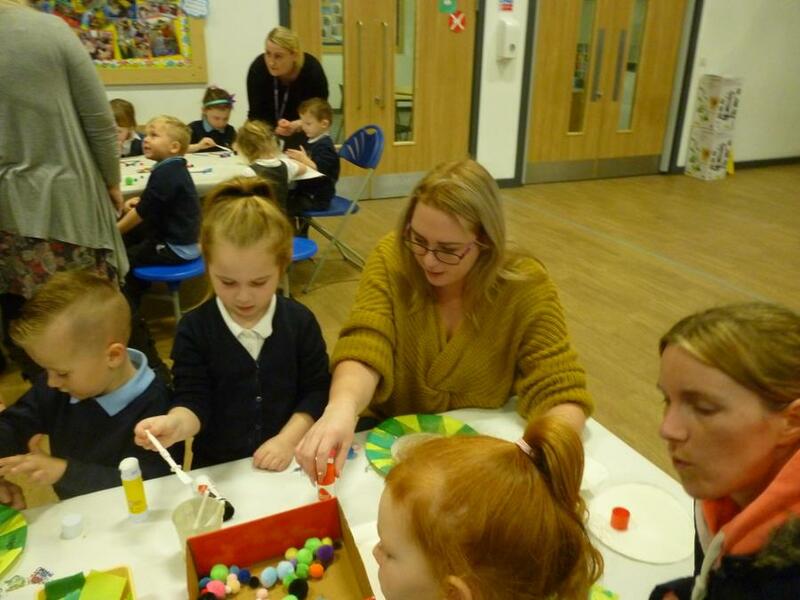 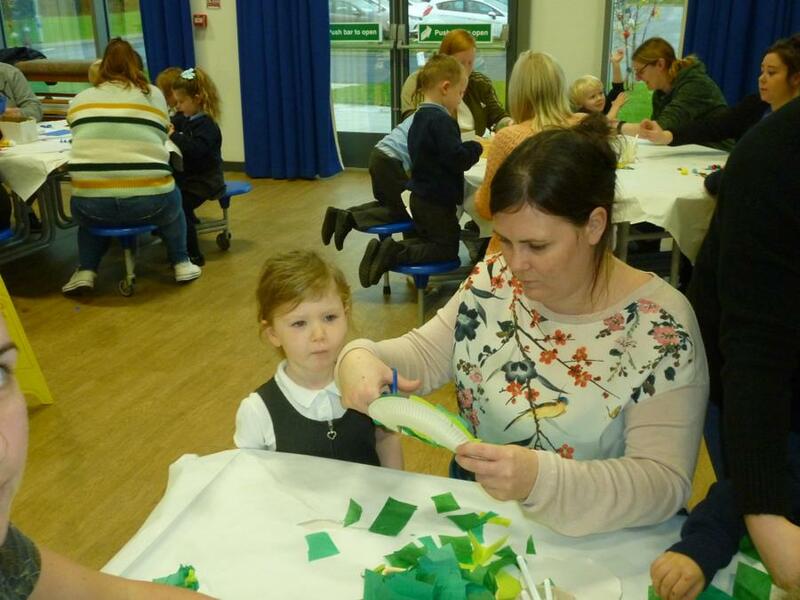 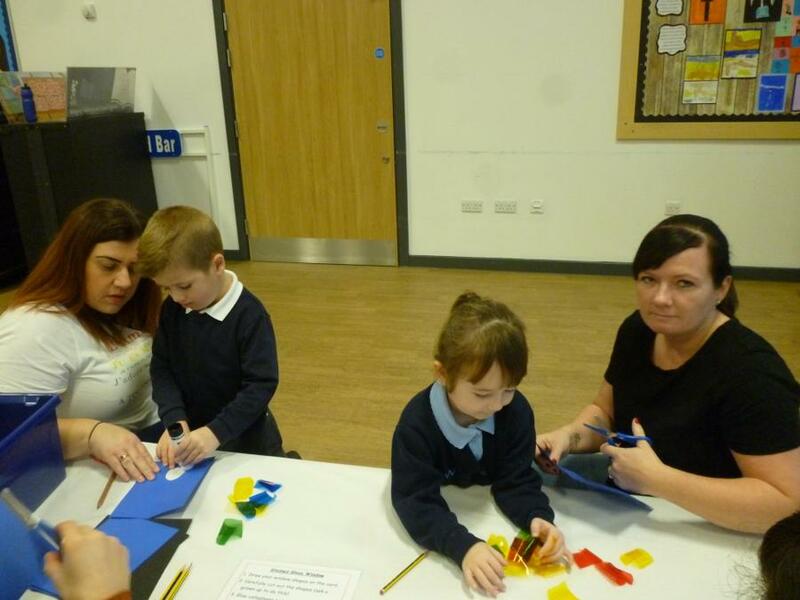 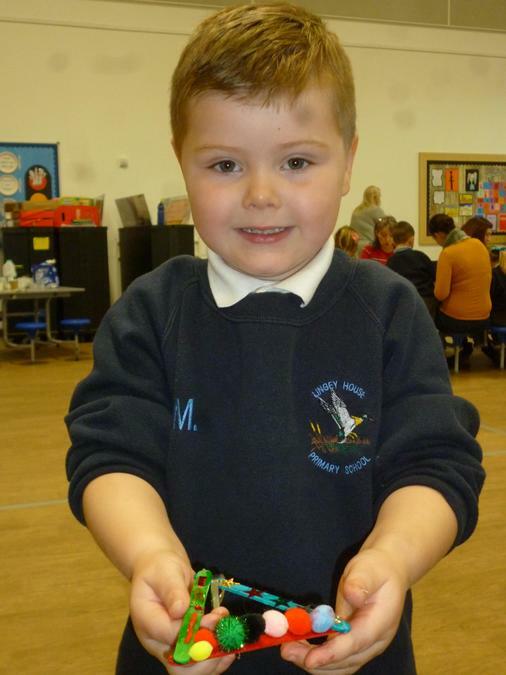 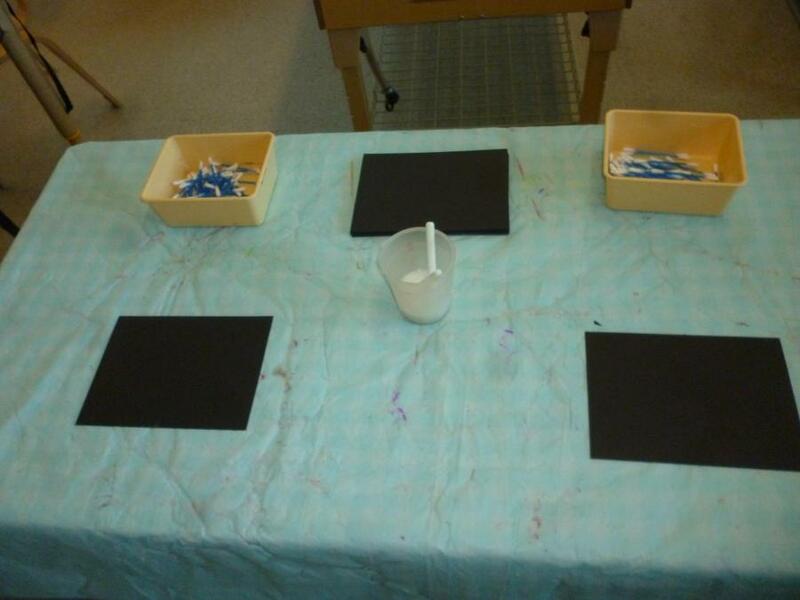 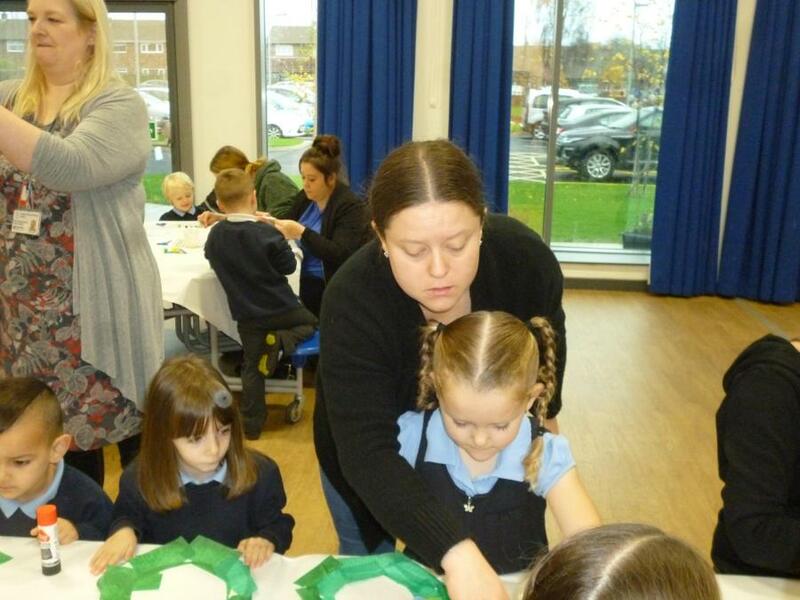 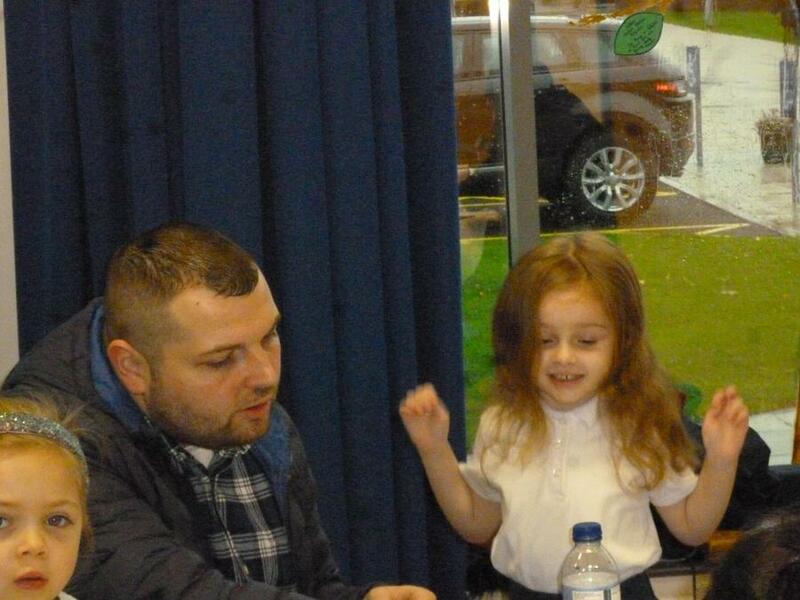 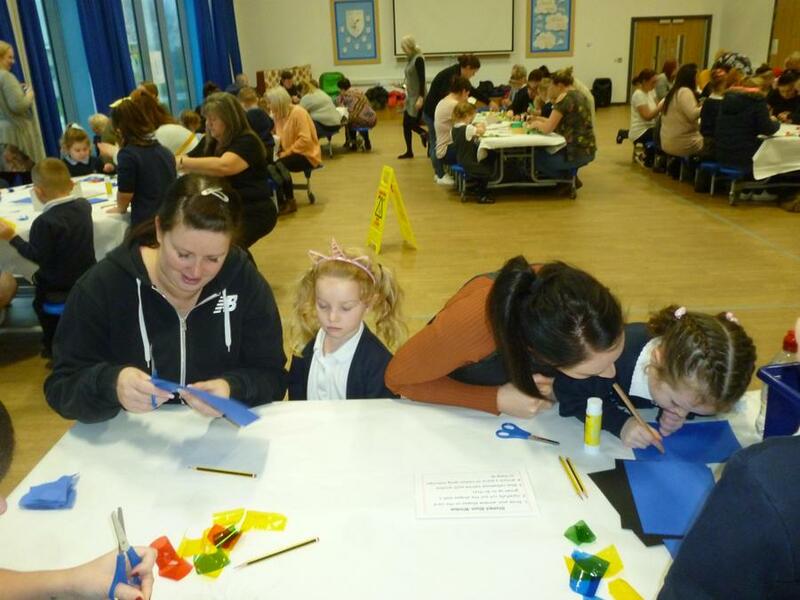 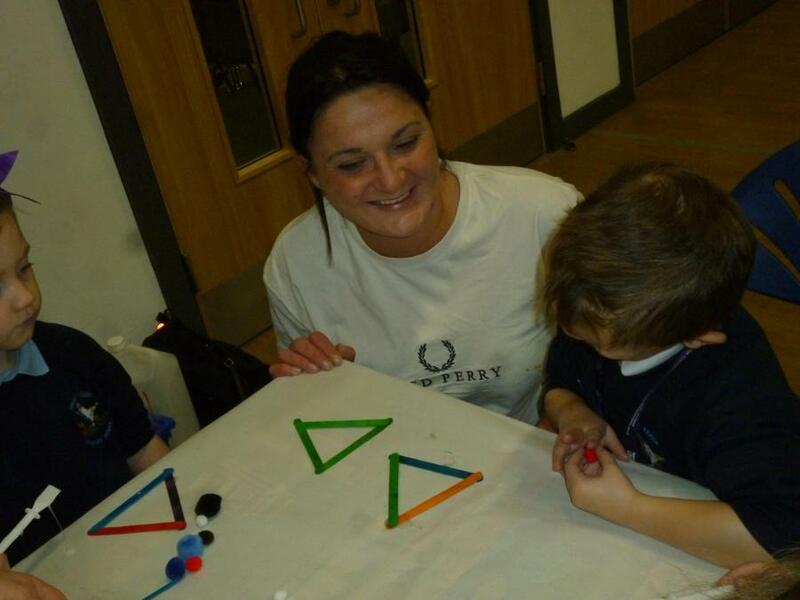 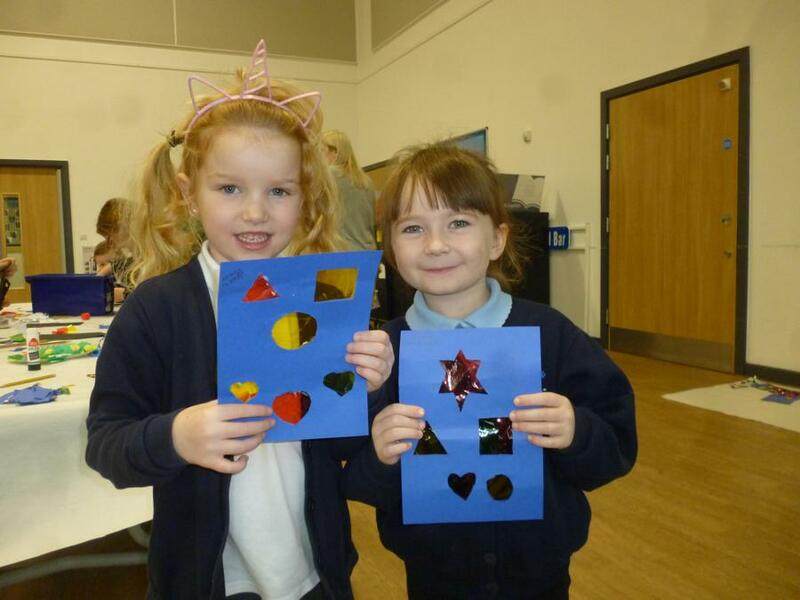 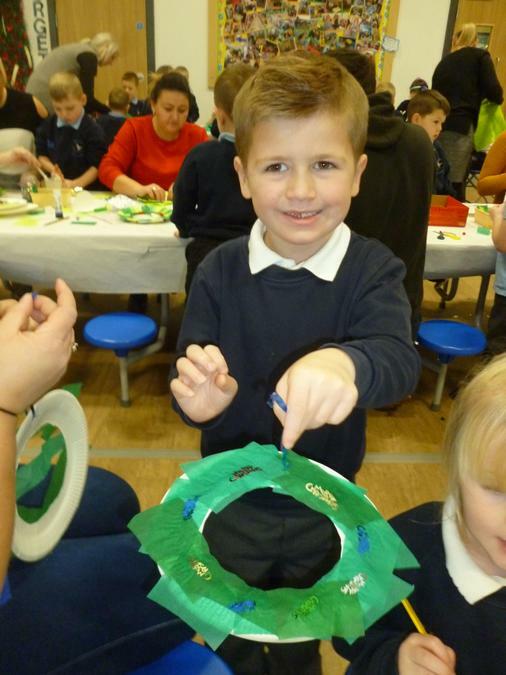 We invited our family to join us to make Christmas crafts and join in the music session. 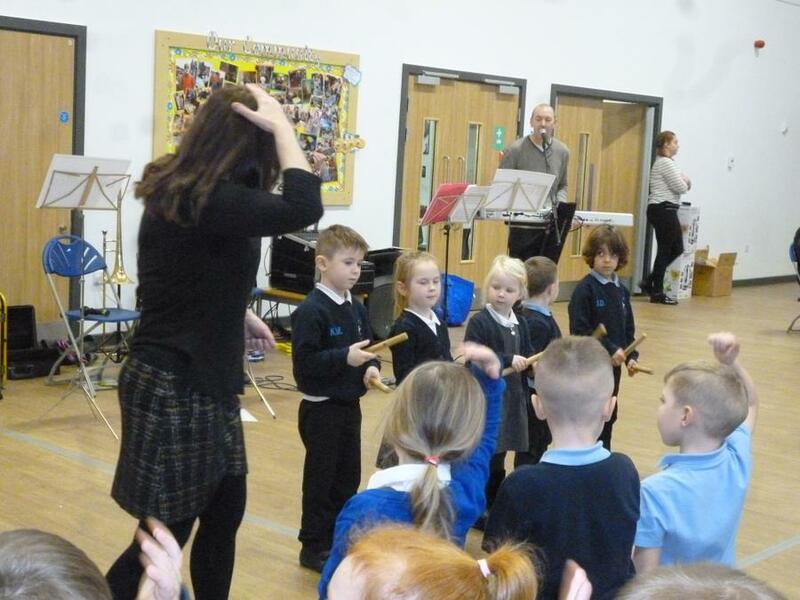 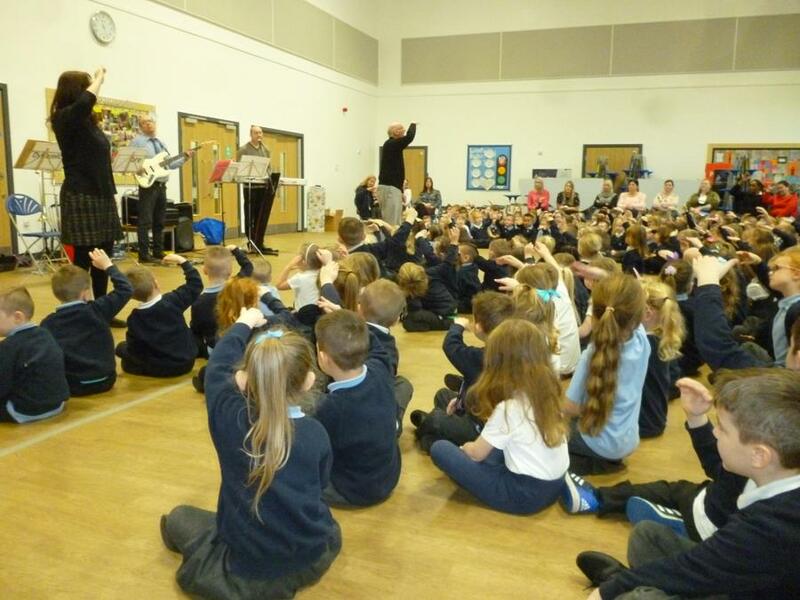 During the music session we played some instruments, danced and enjoyed singing some familiar songs. 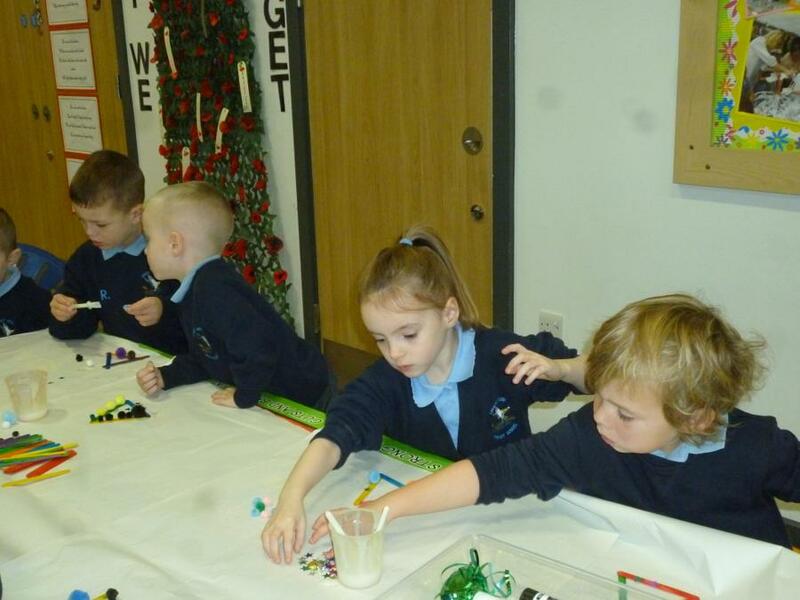 We had lots of fun at the Christmas party! 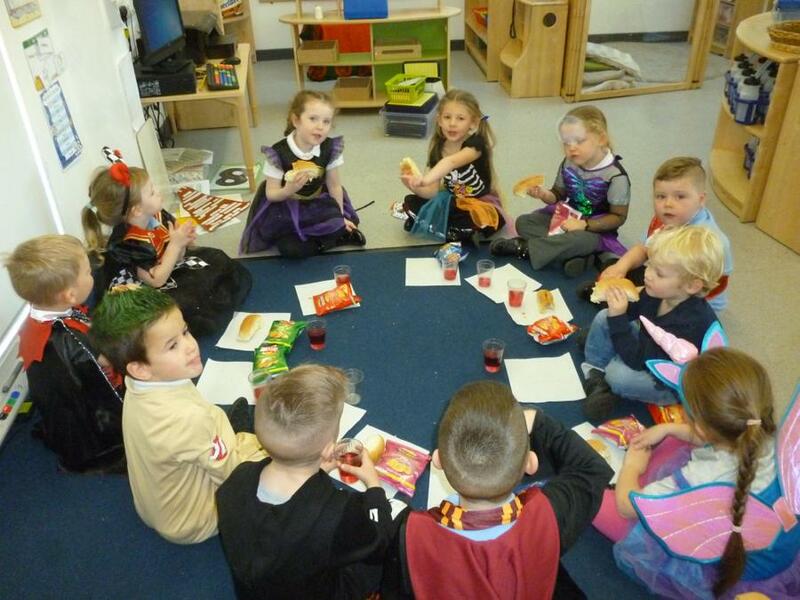 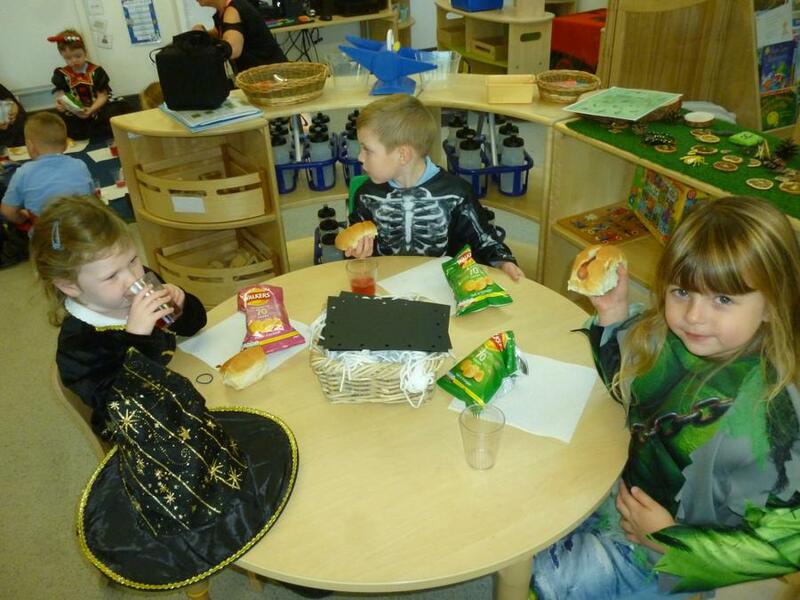 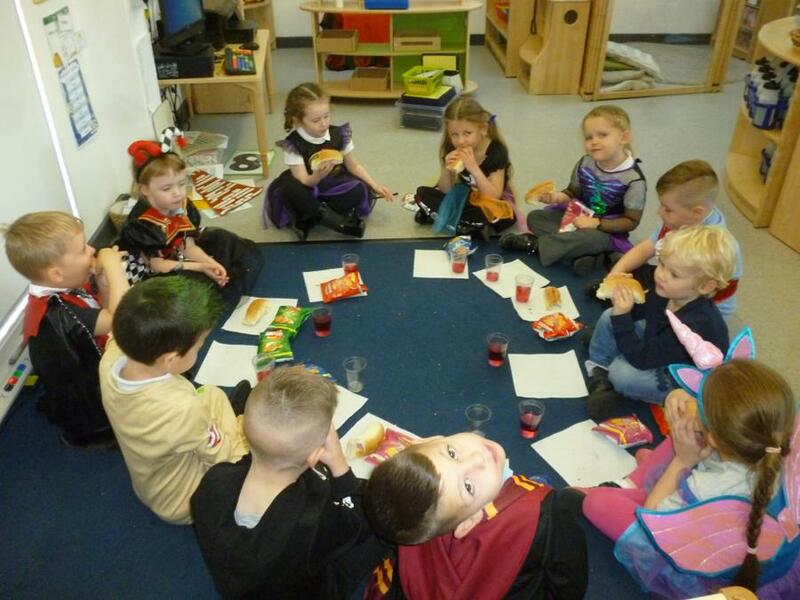 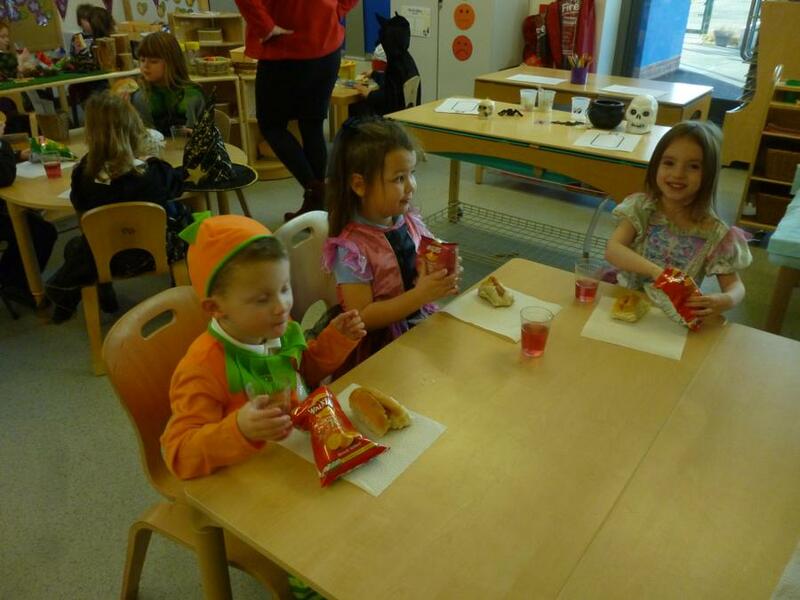 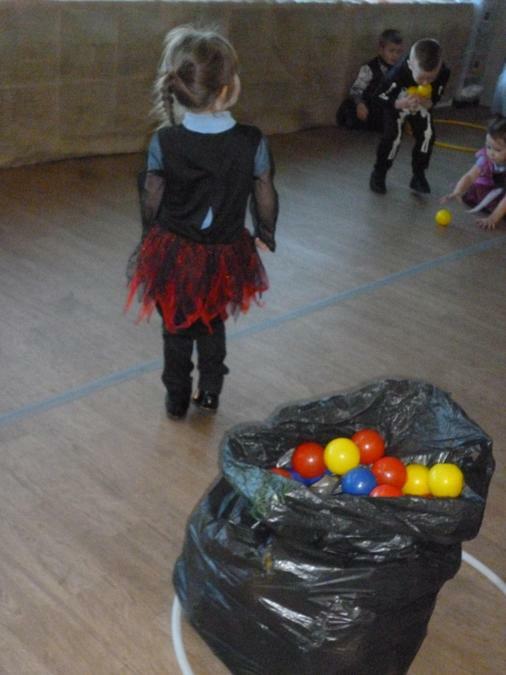 We danced, played party games and enjoyed our party food. 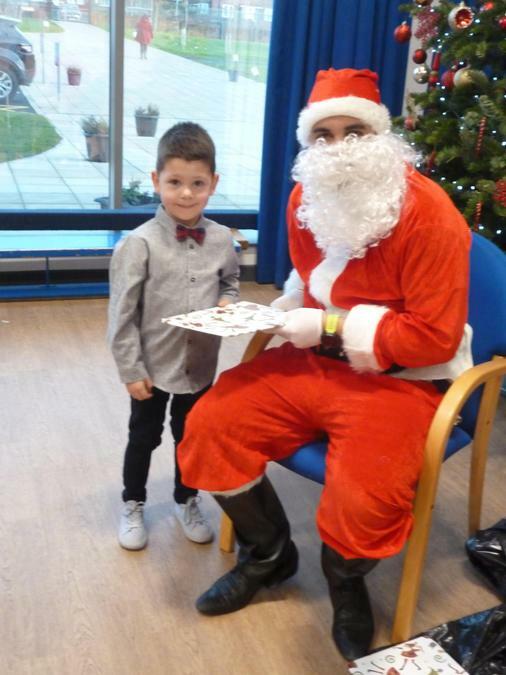 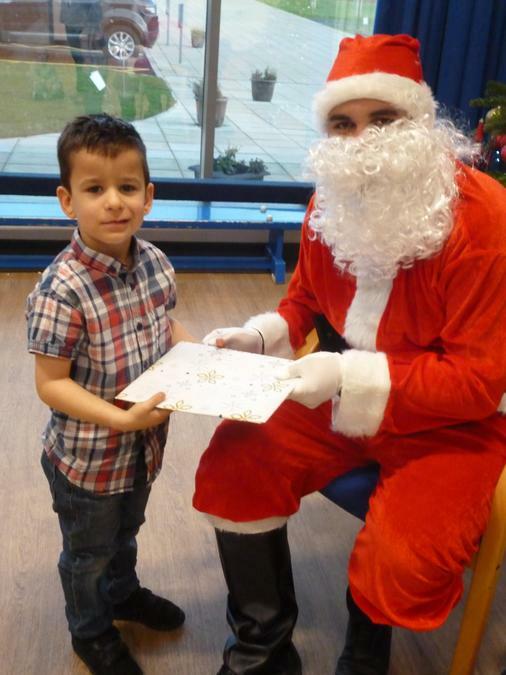 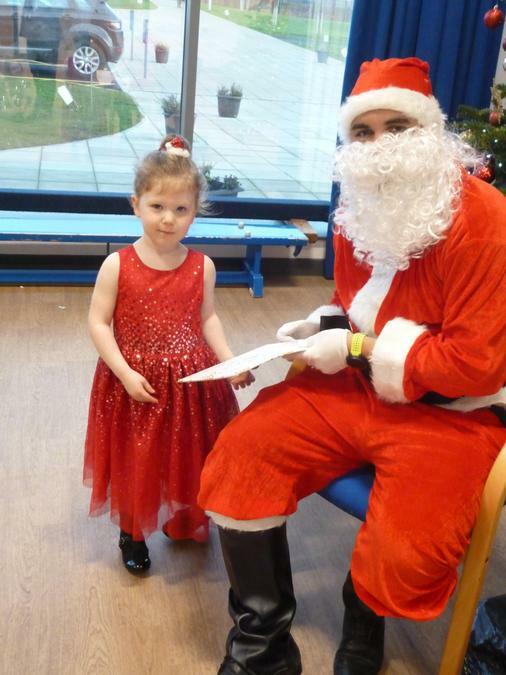 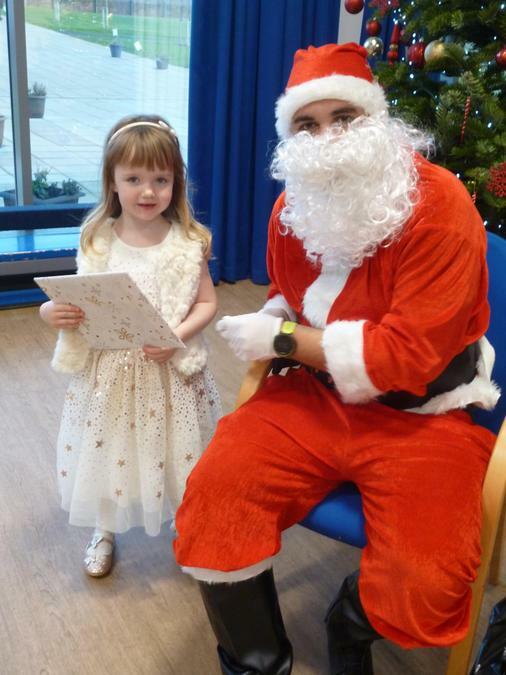 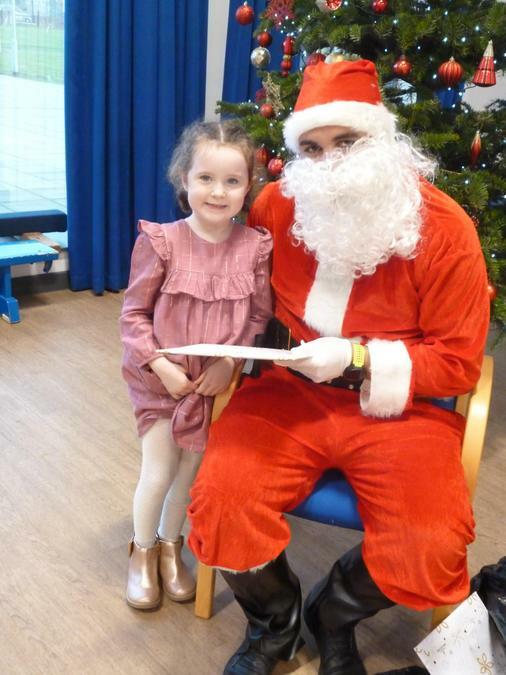 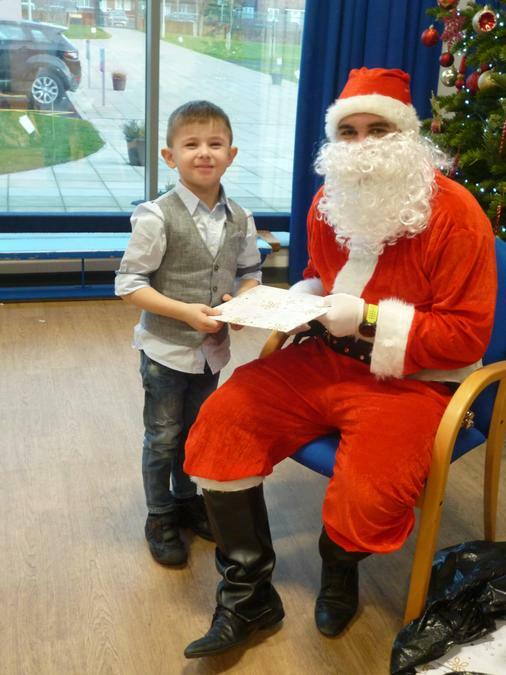 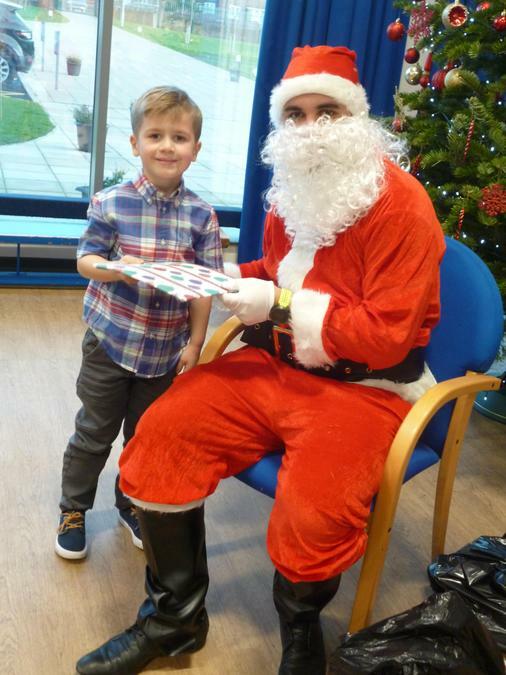 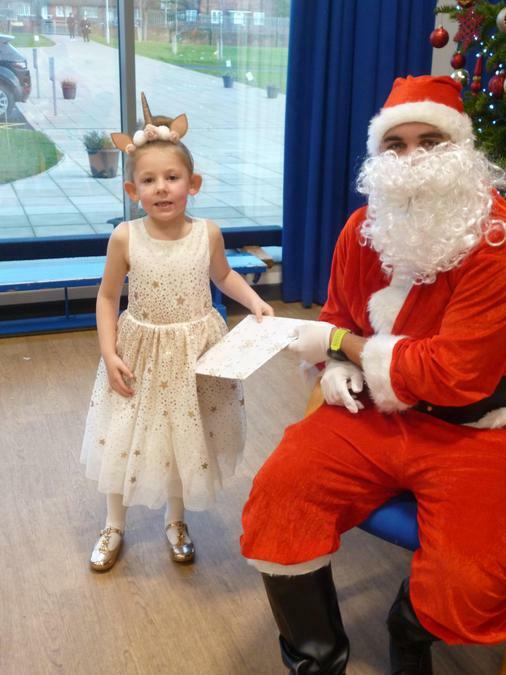 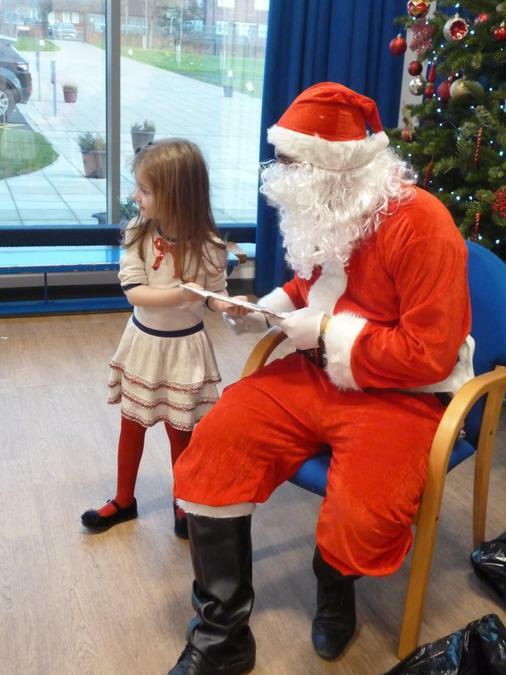 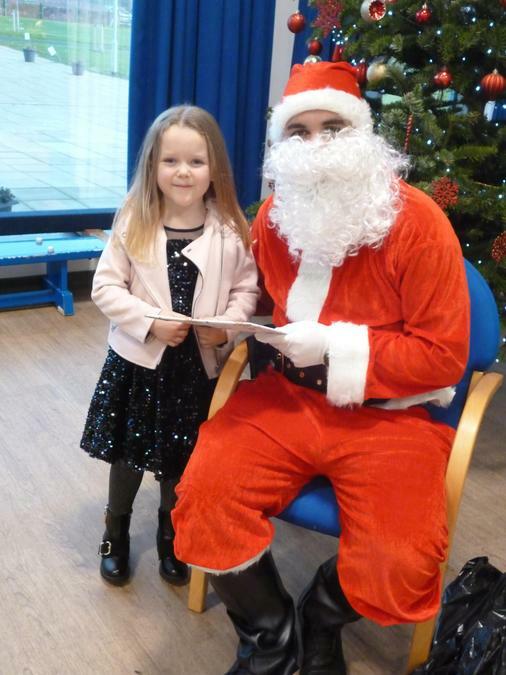 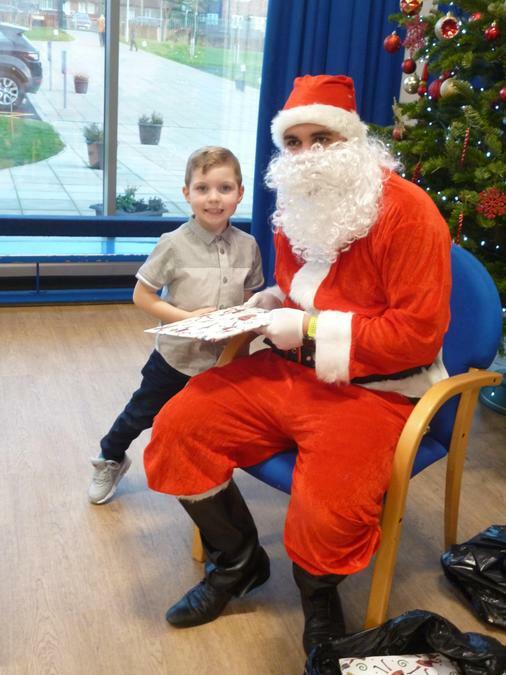 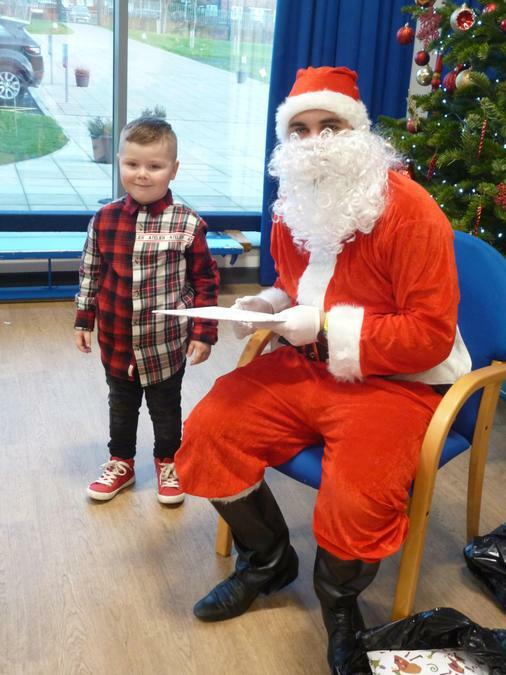 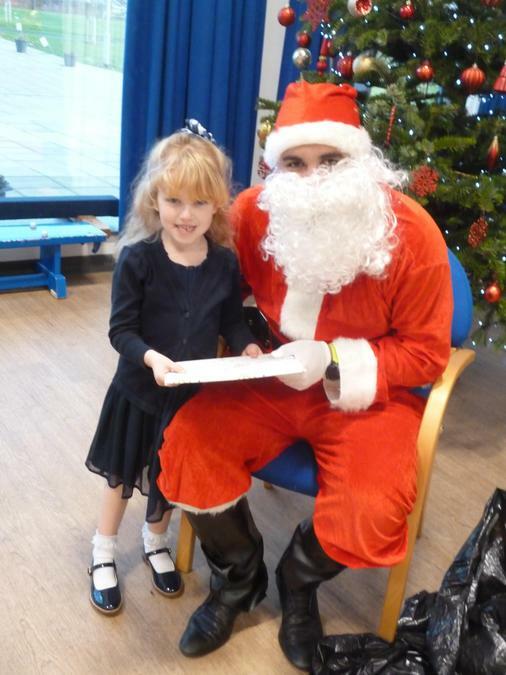 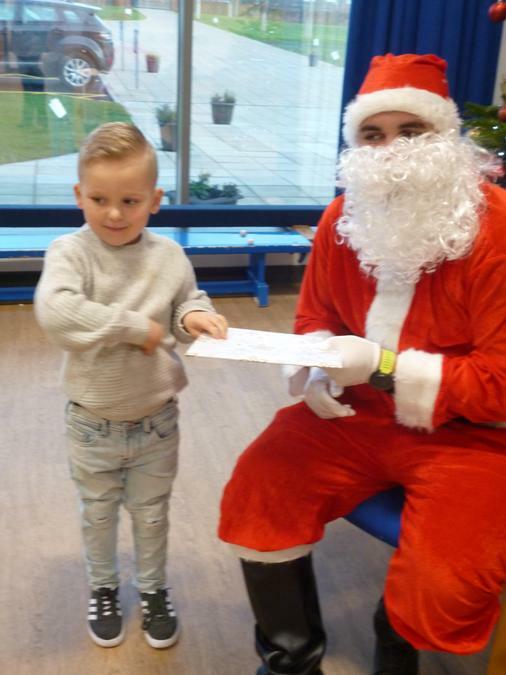 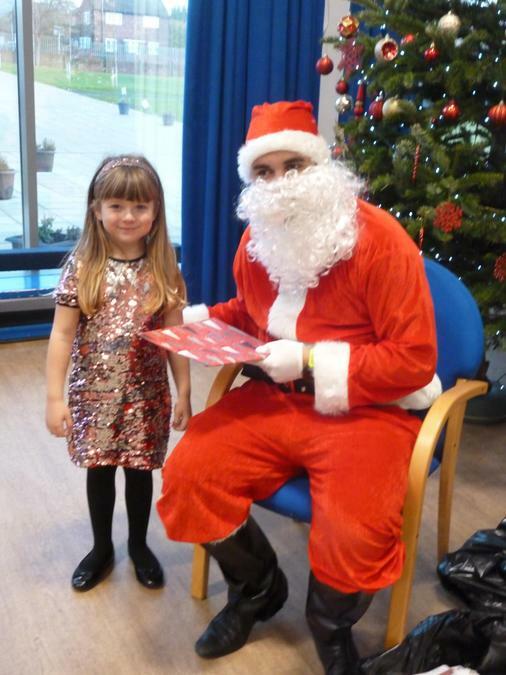 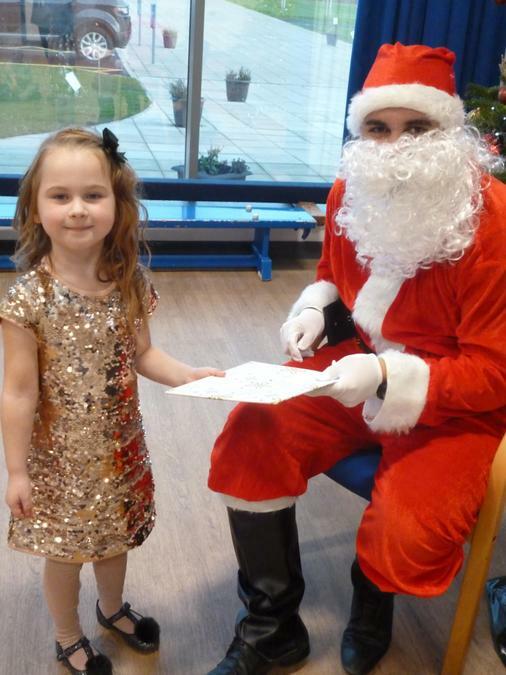 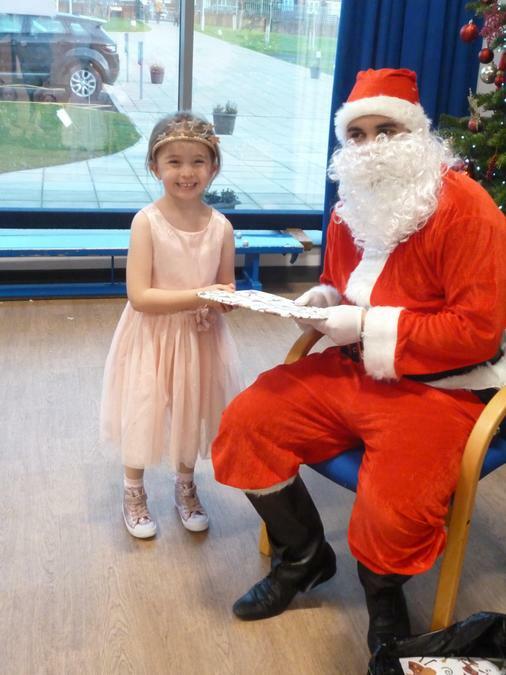 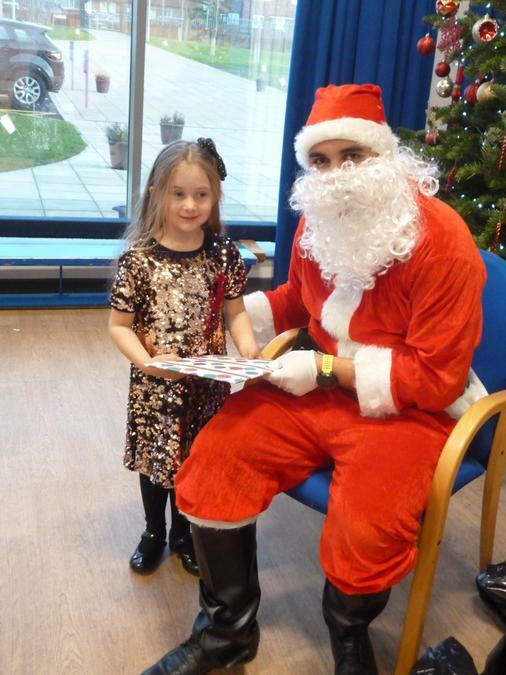 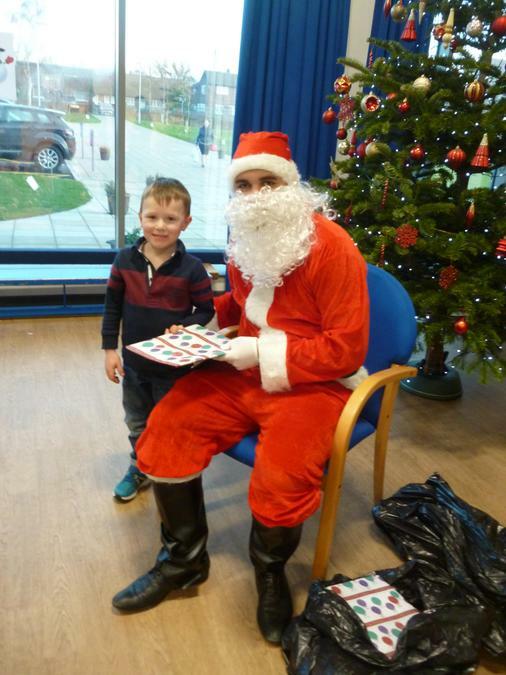 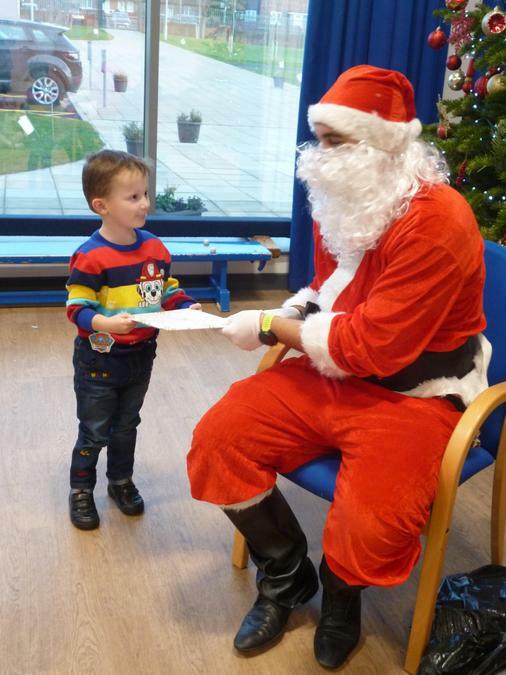 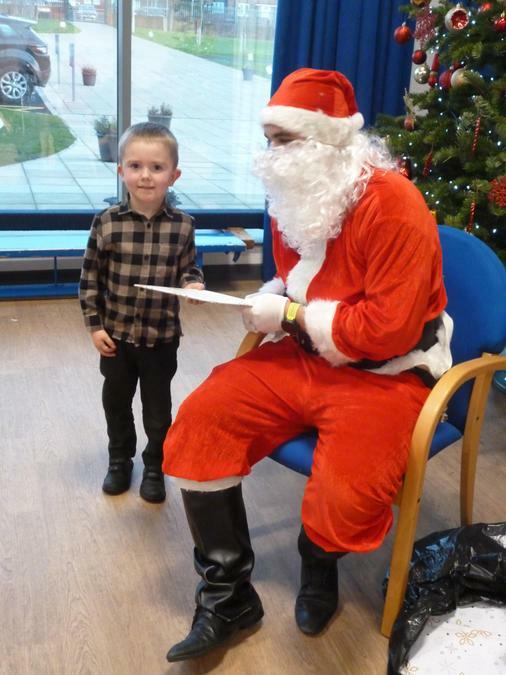 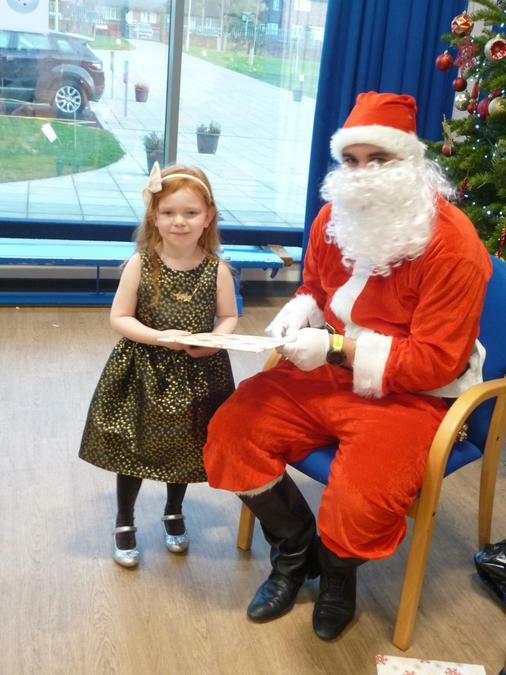 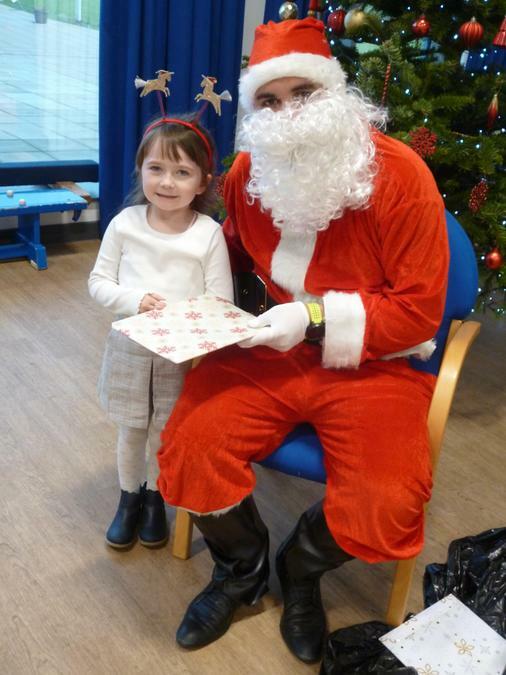 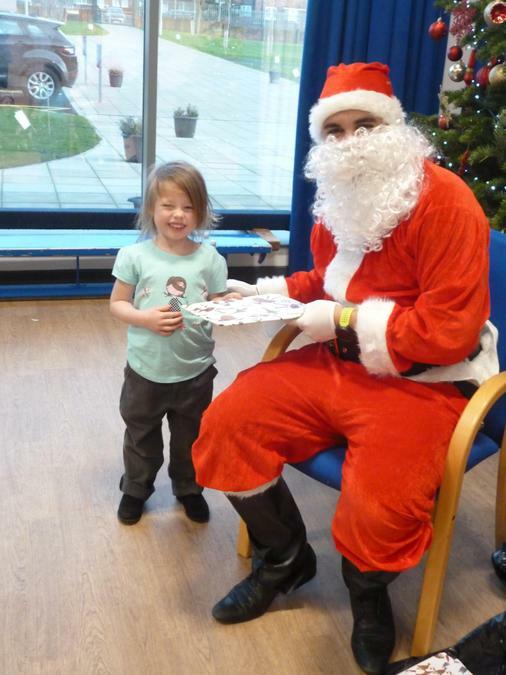 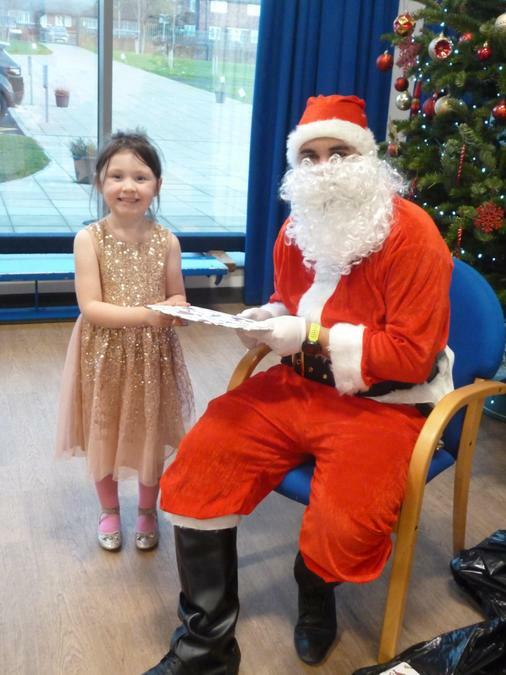 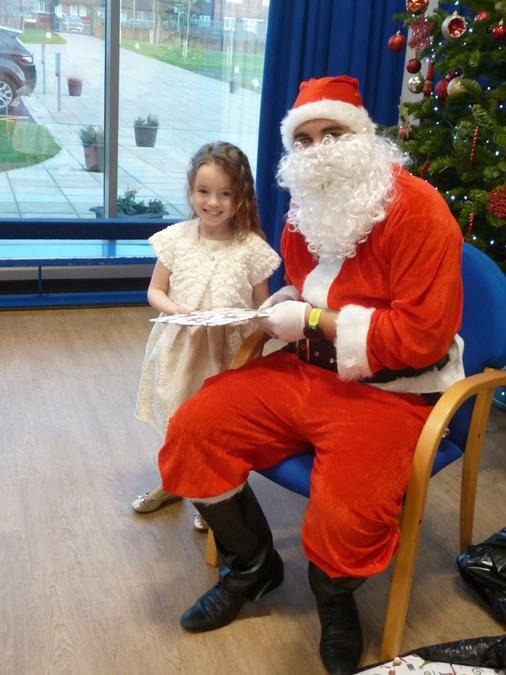 We even received a visit from Santa! 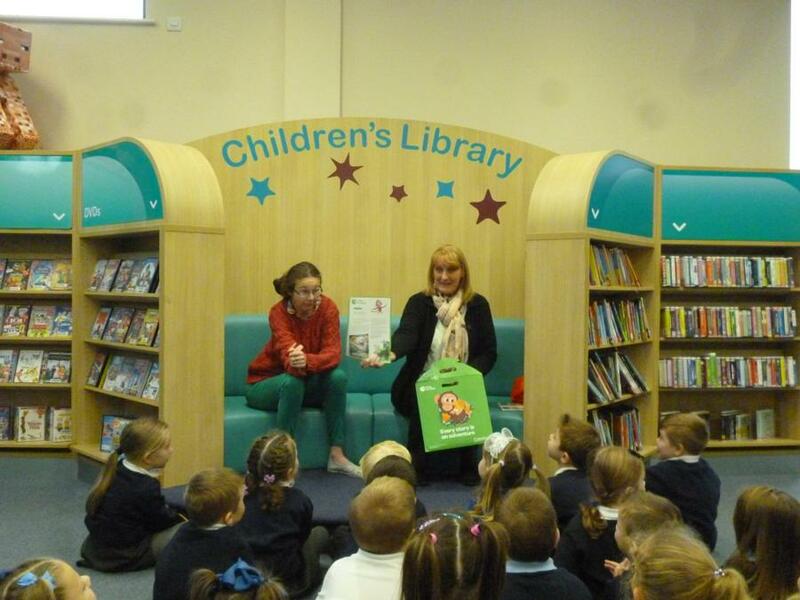 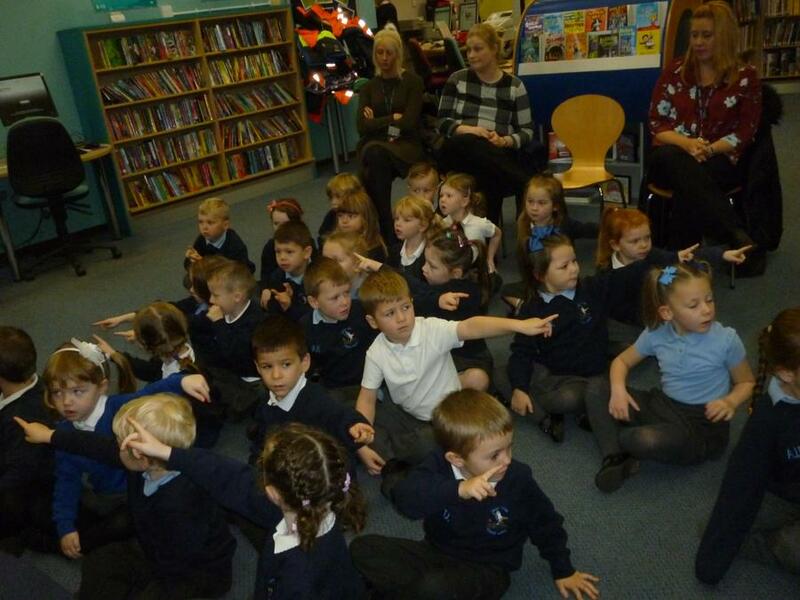 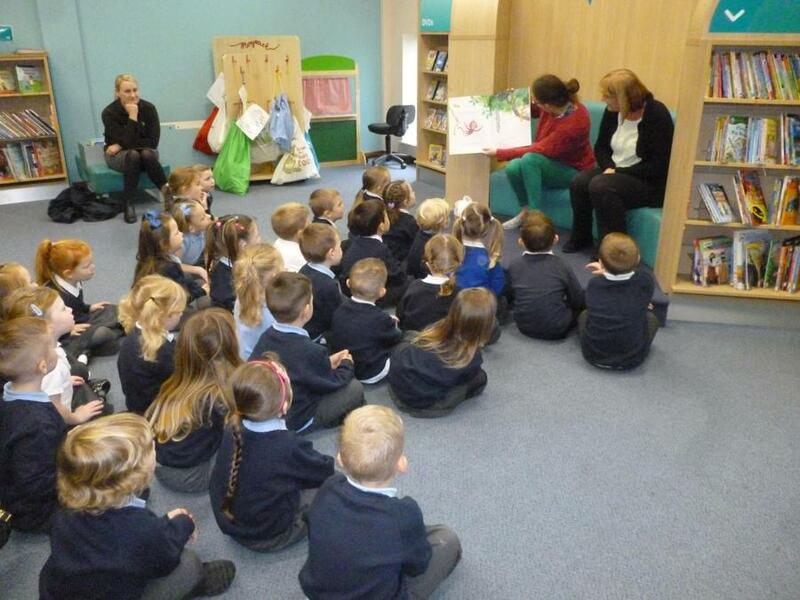 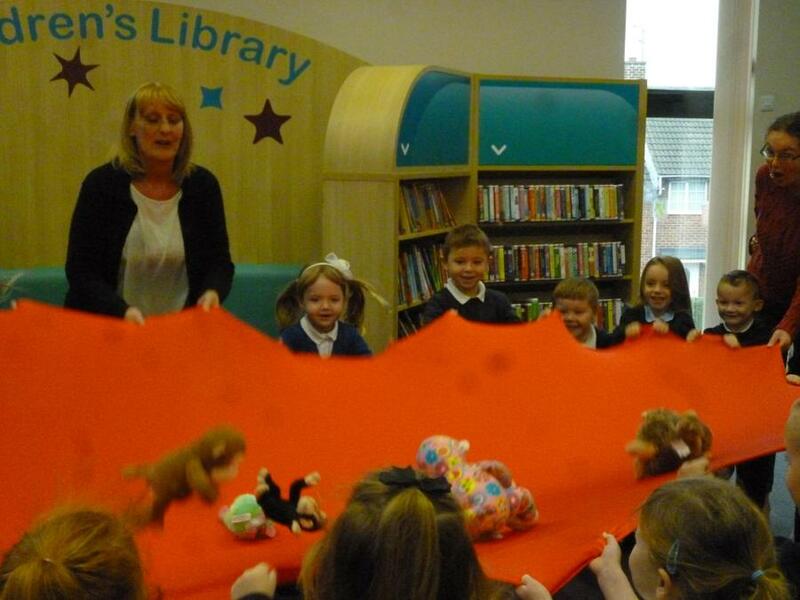 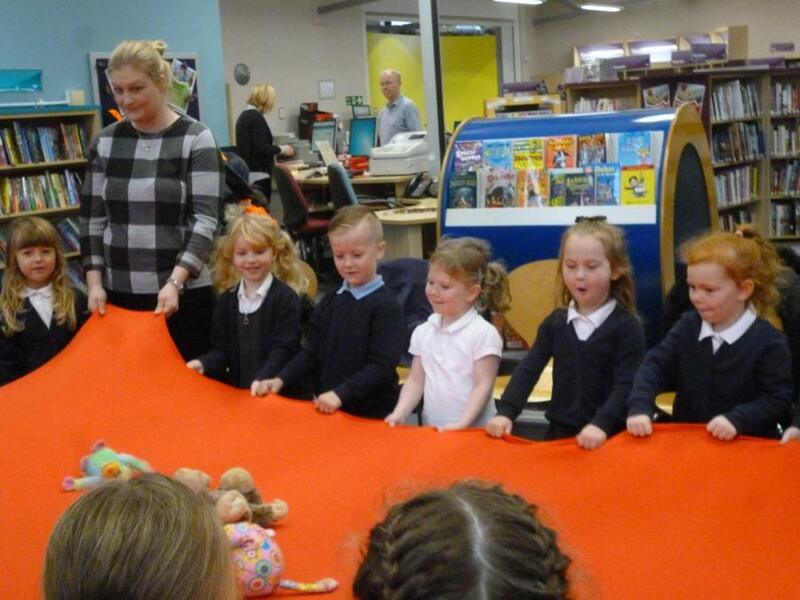 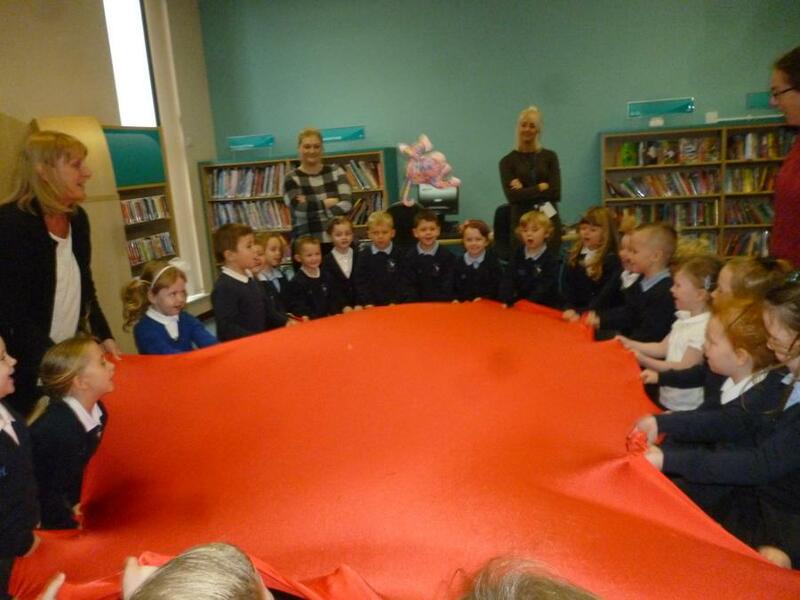 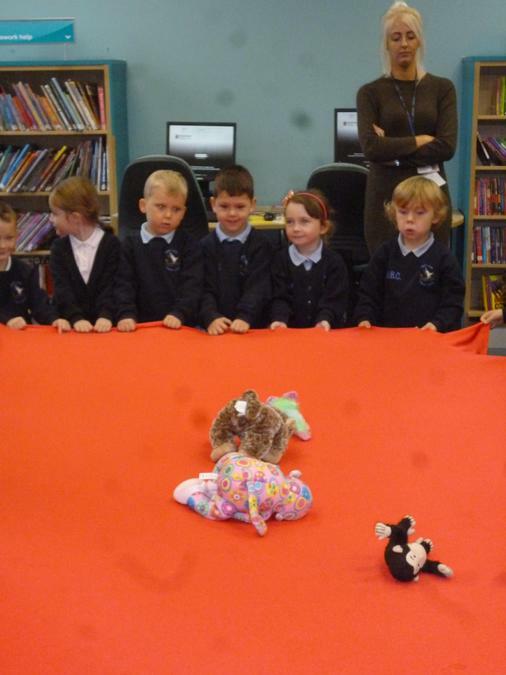 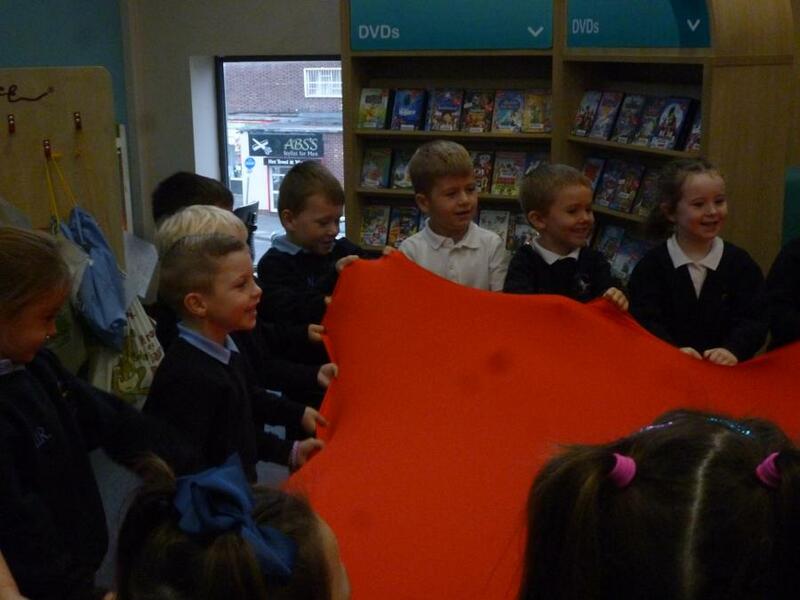 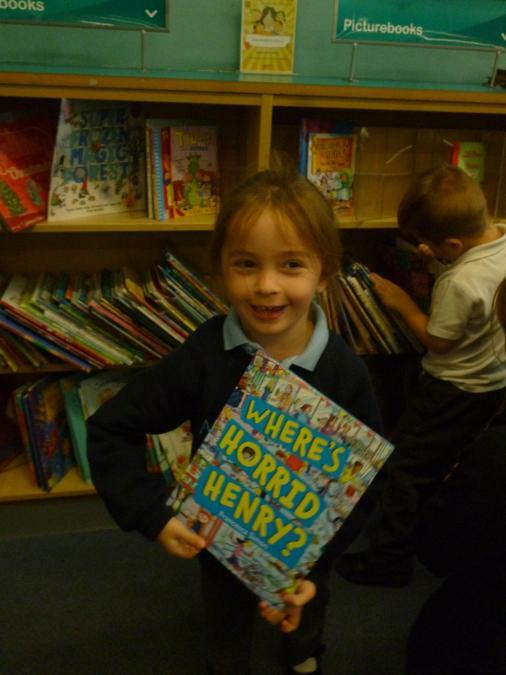 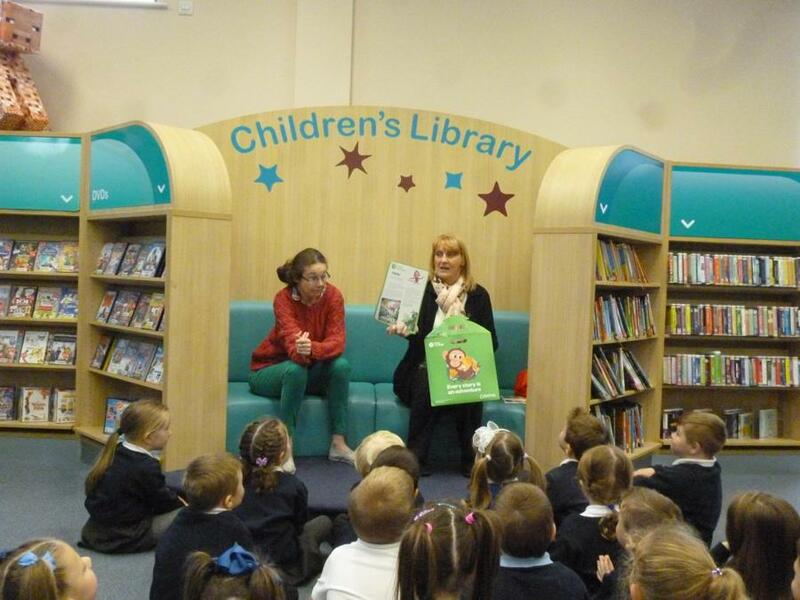 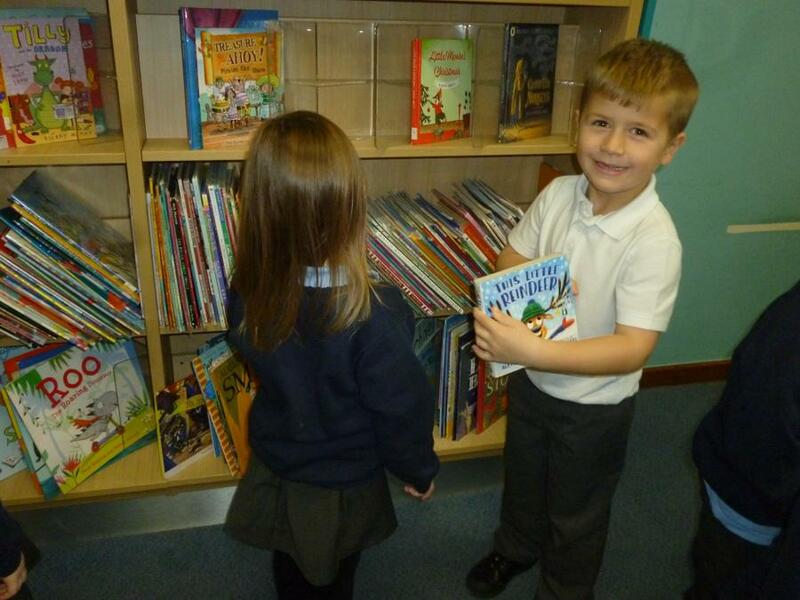 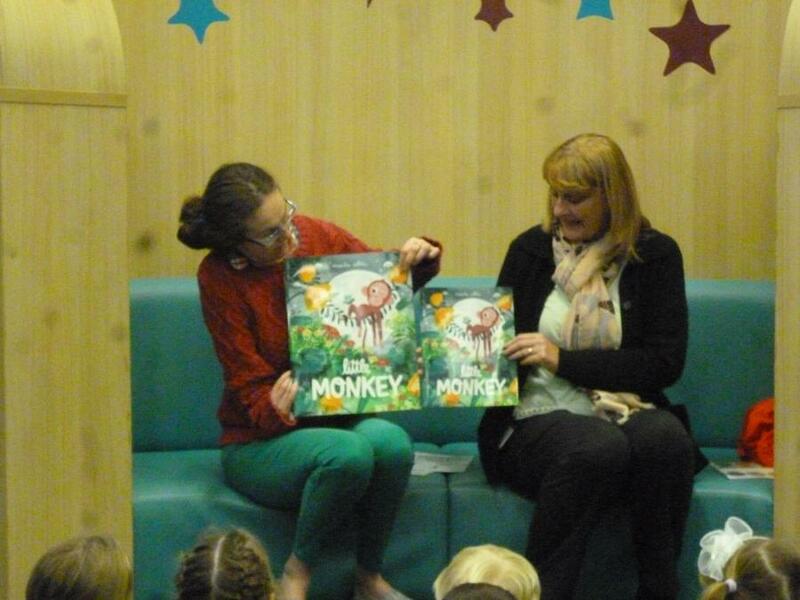 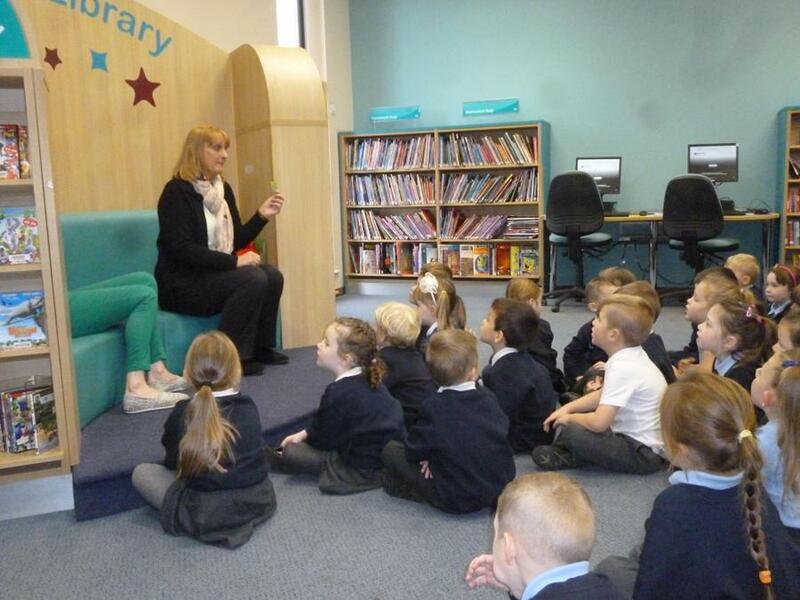 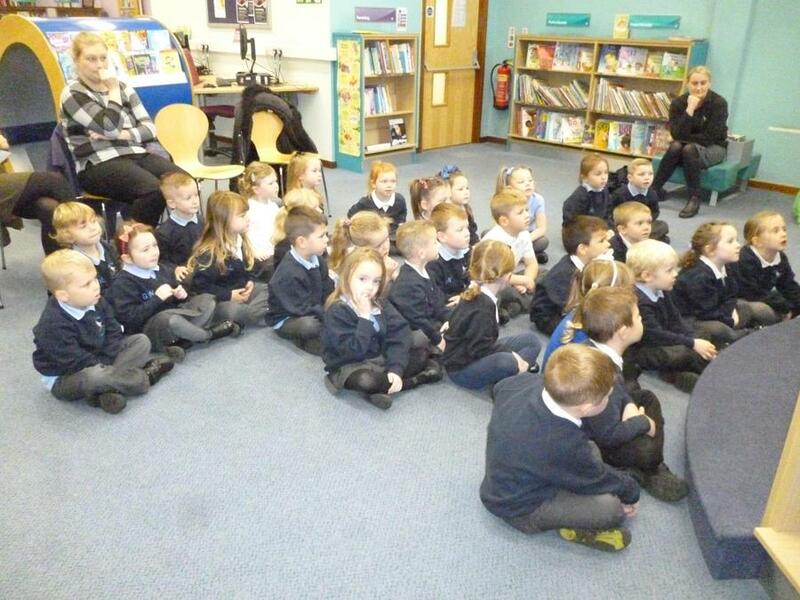 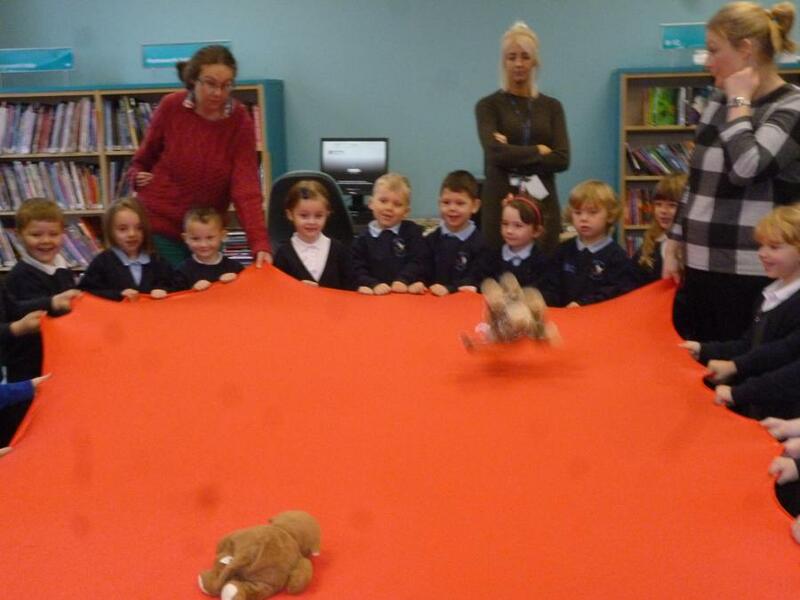 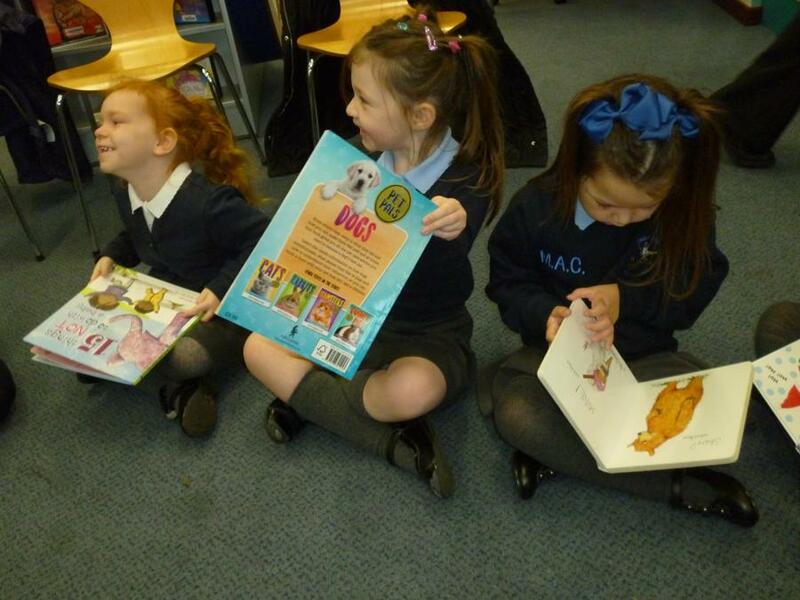 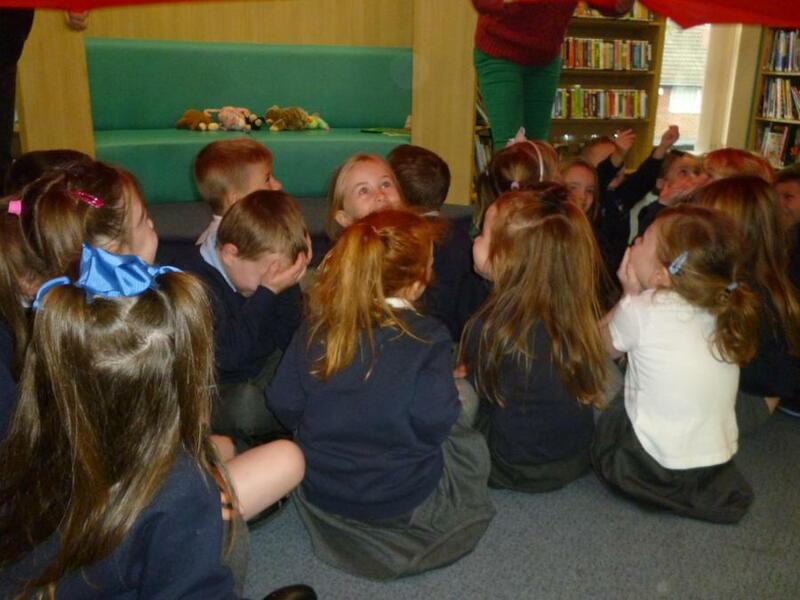 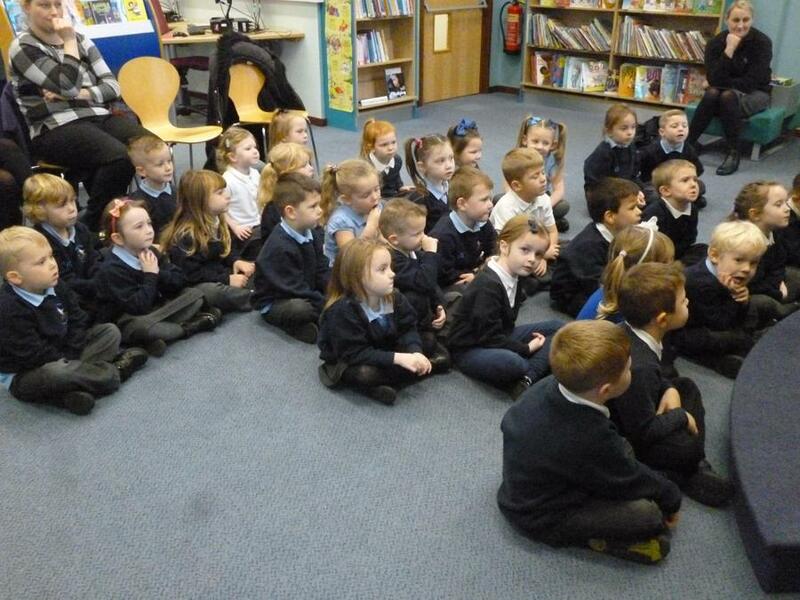 We enjoyed our visit to the local library. 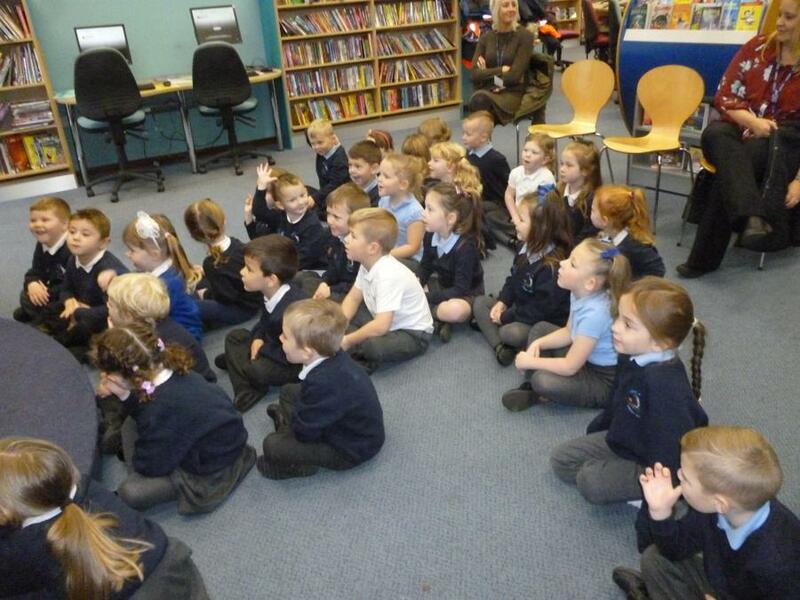 The librarian read us a story and we enjoyed playing some games. 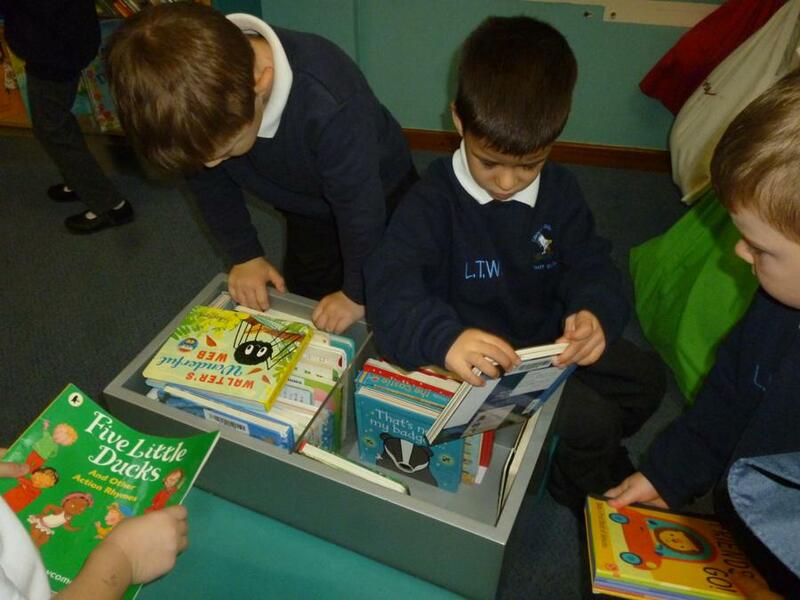 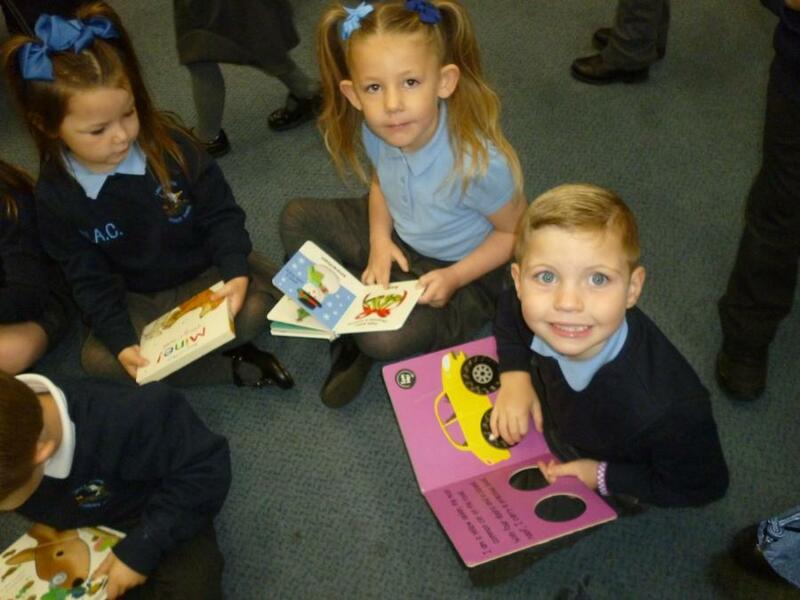 We explored and shared books with our friends and we even got a new book to take home! 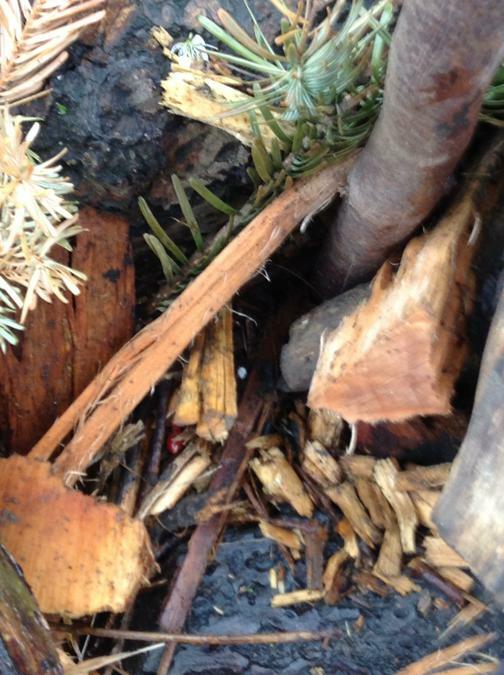 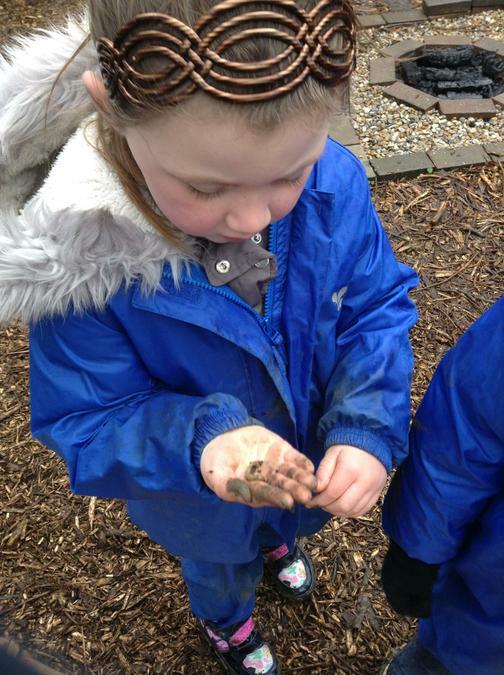 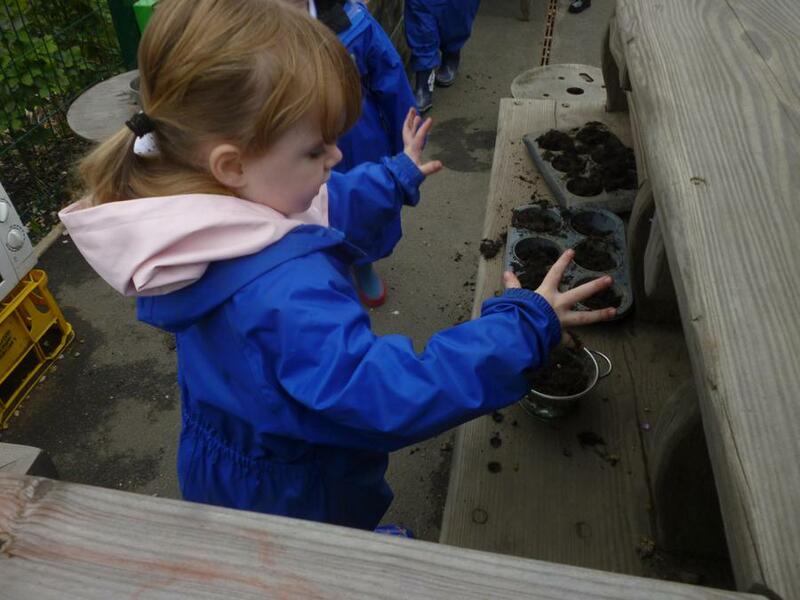 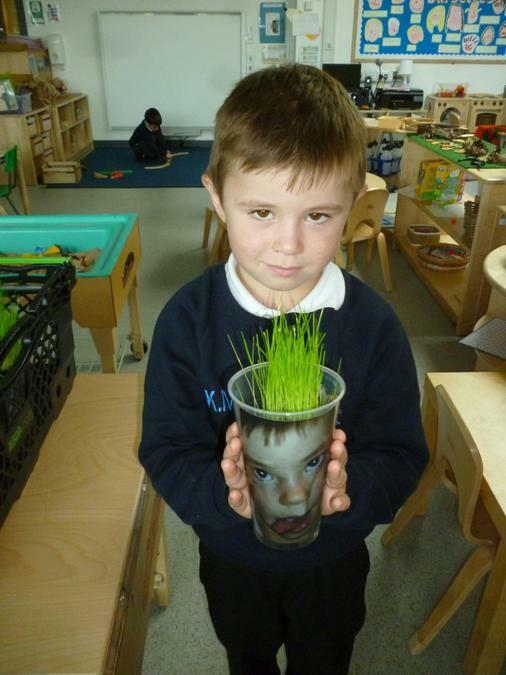 We have been learning about how things grow and change. 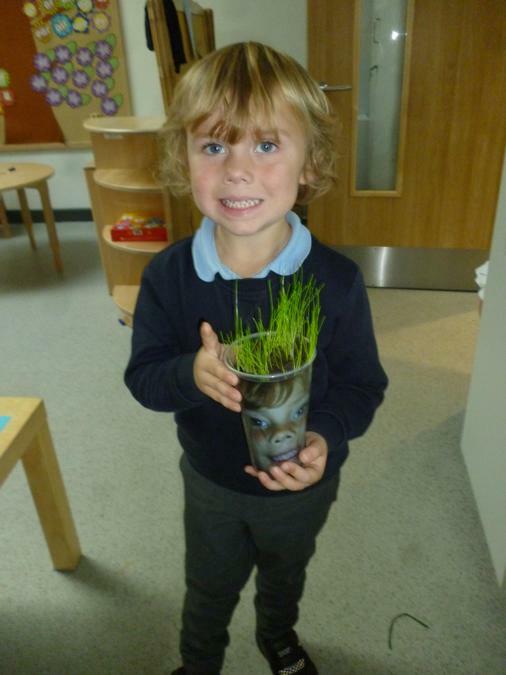 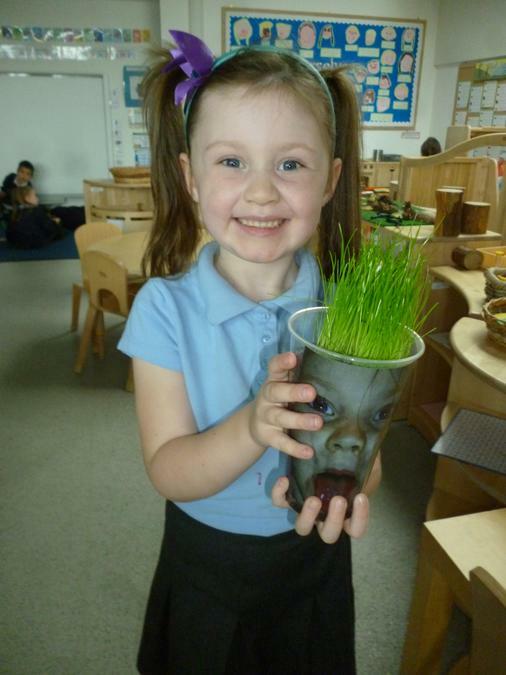 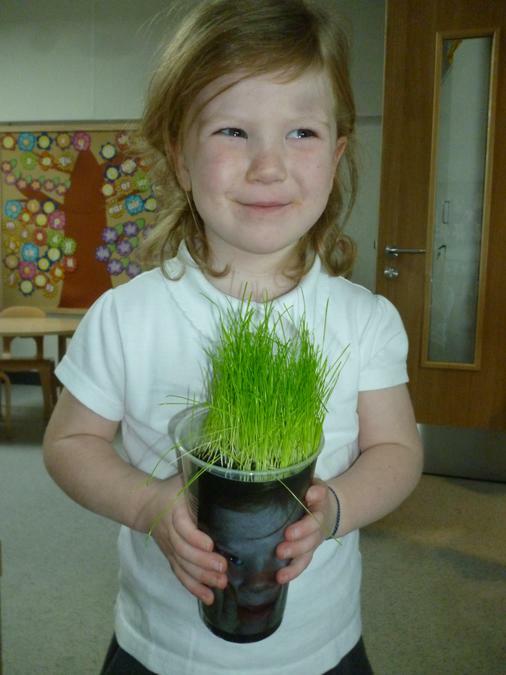 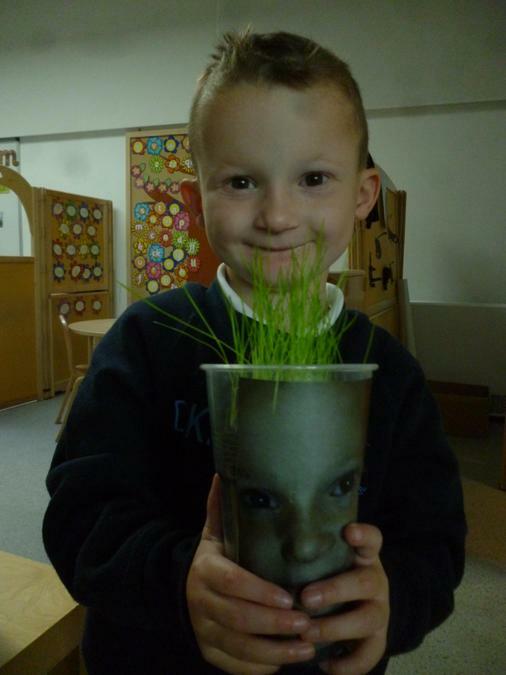 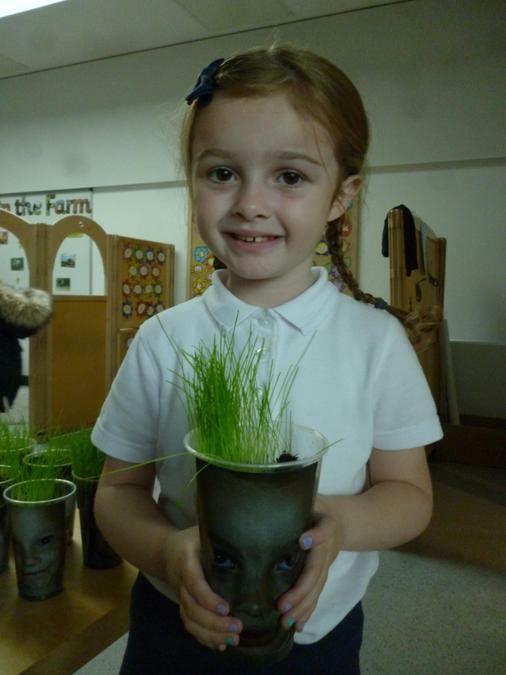 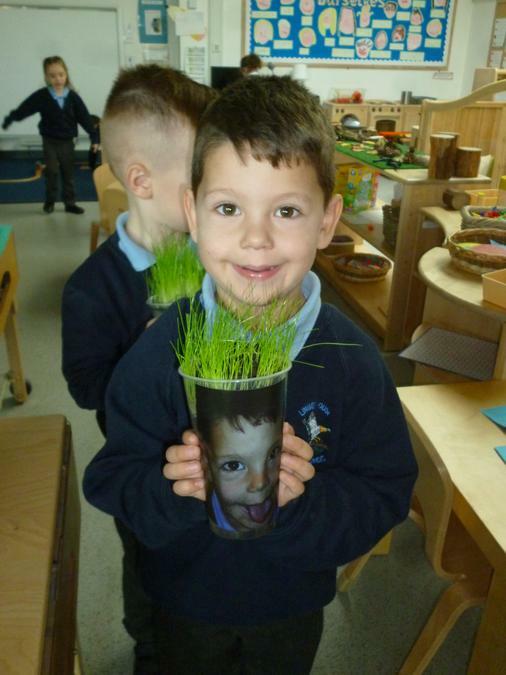 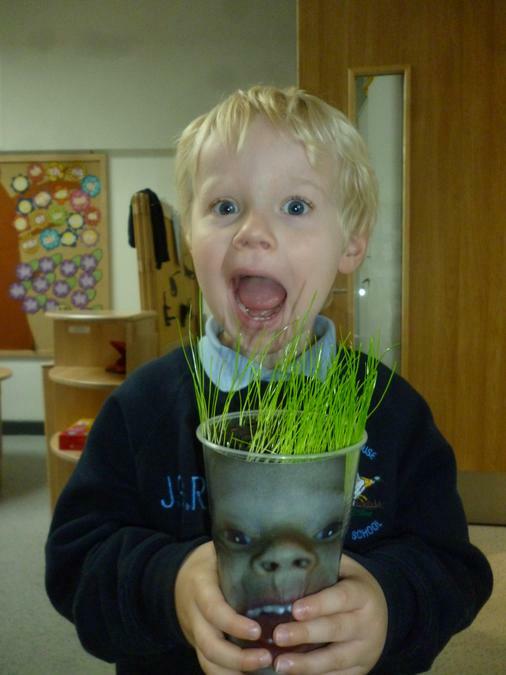 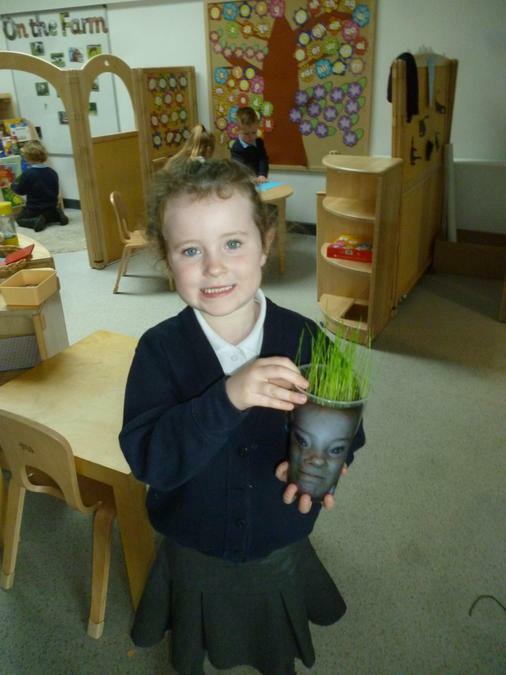 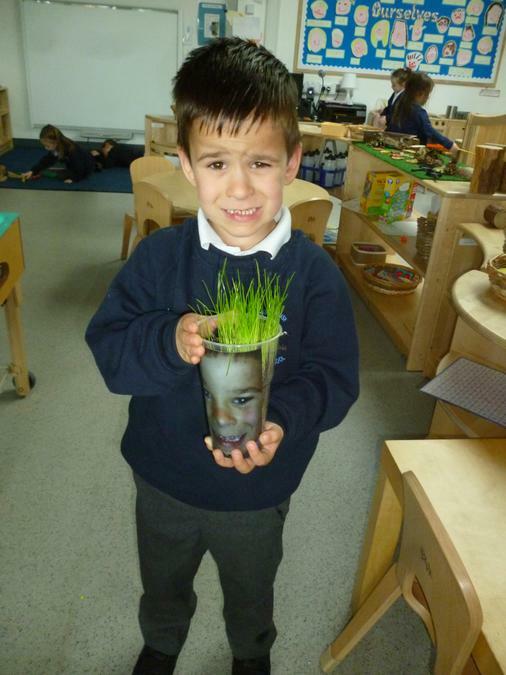 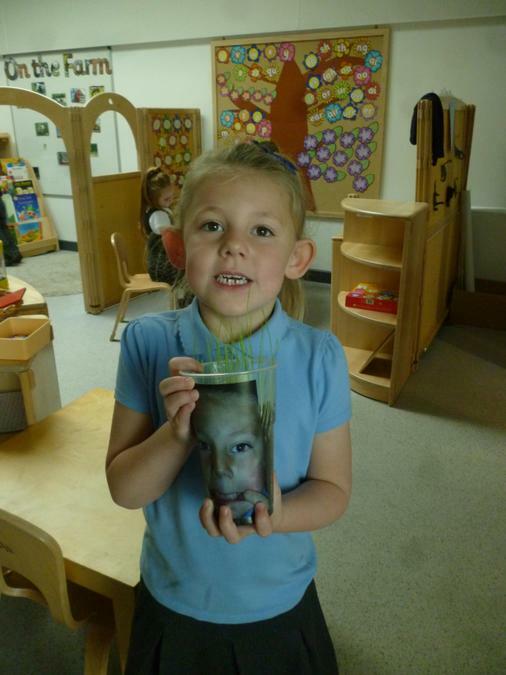 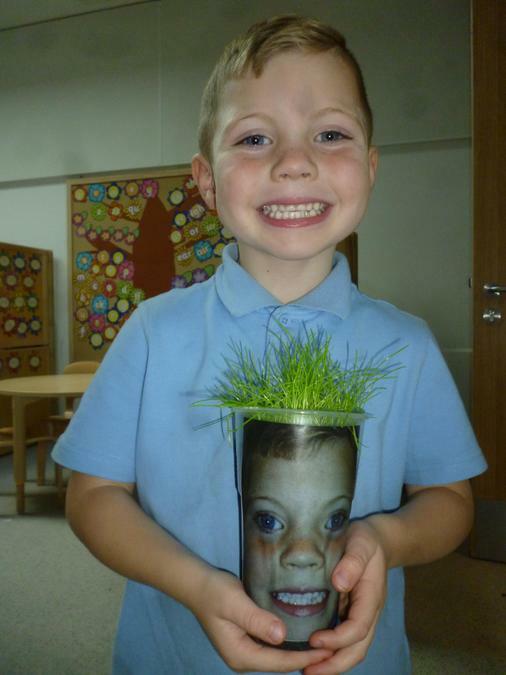 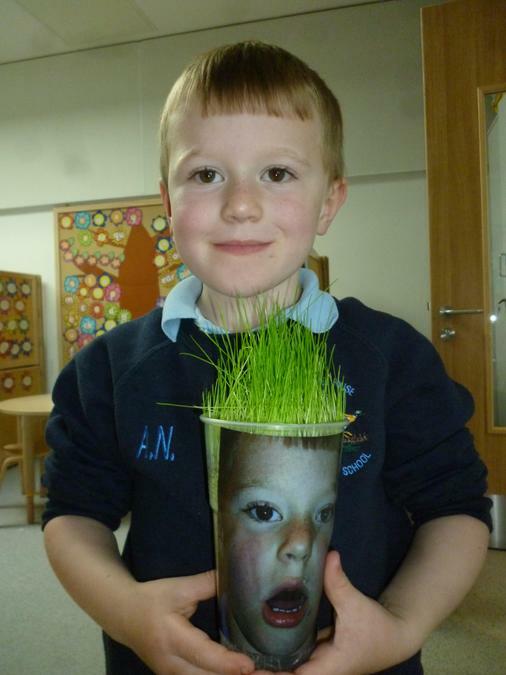 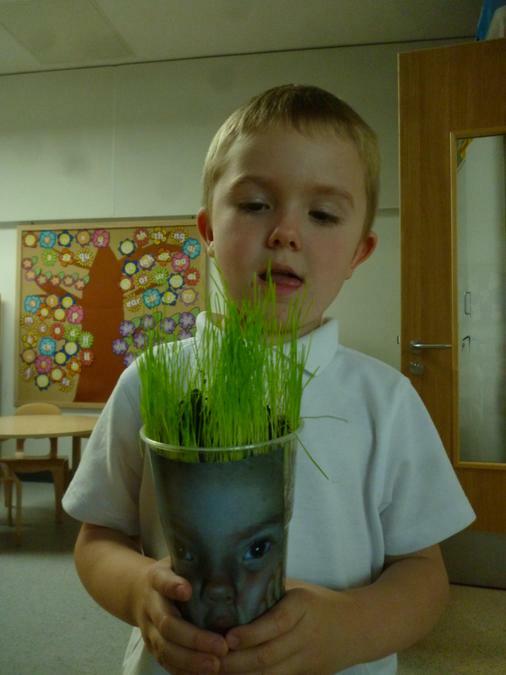 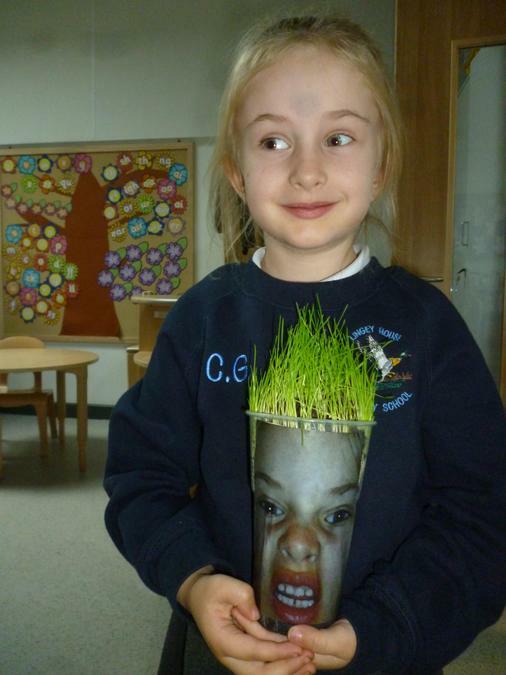 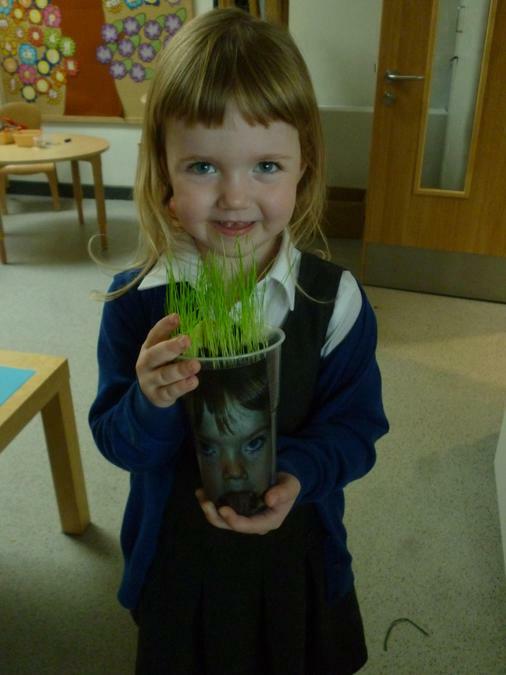 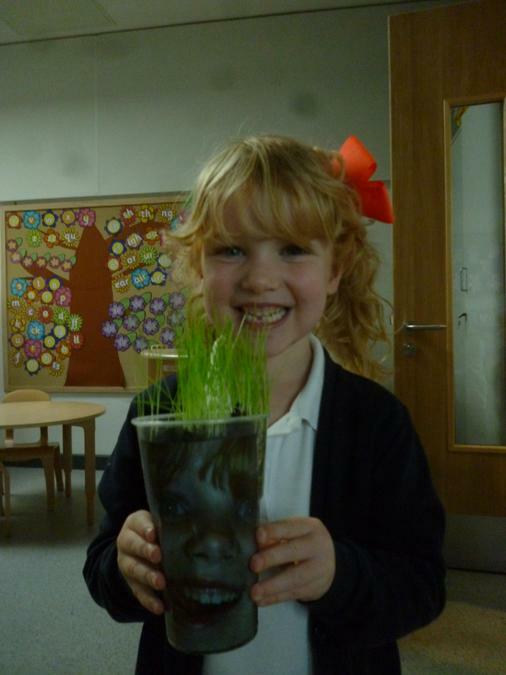 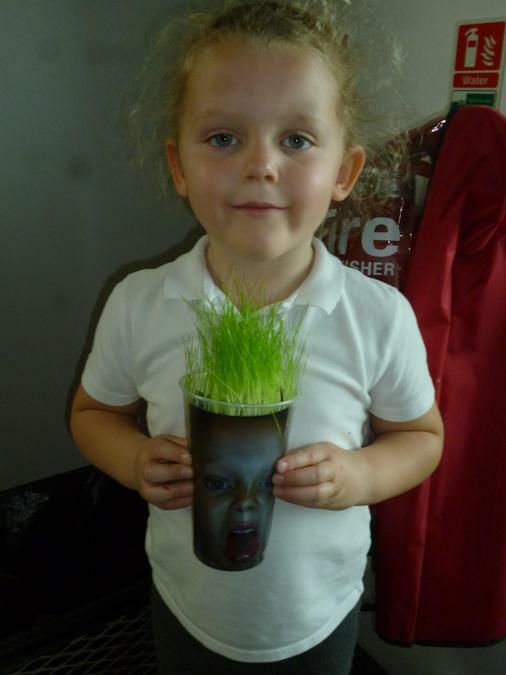 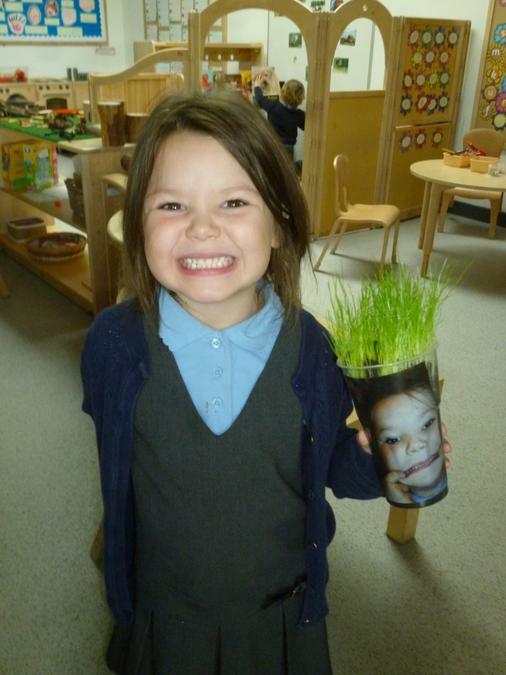 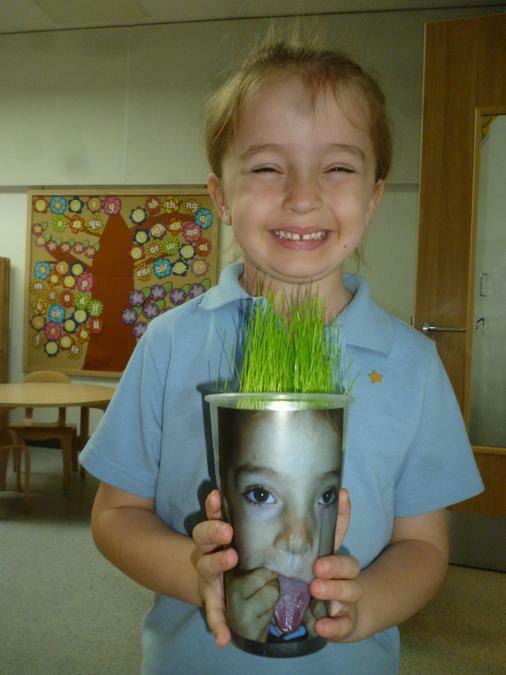 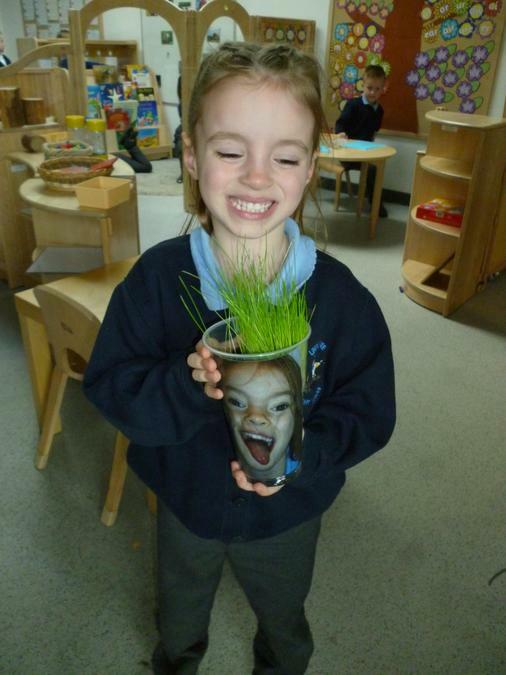 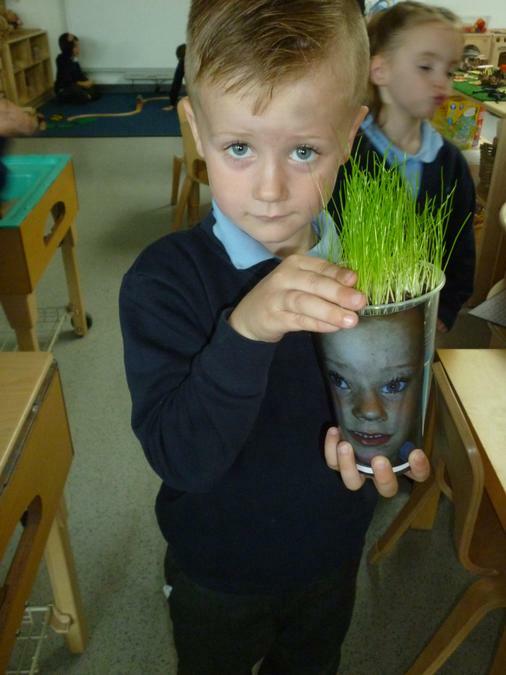 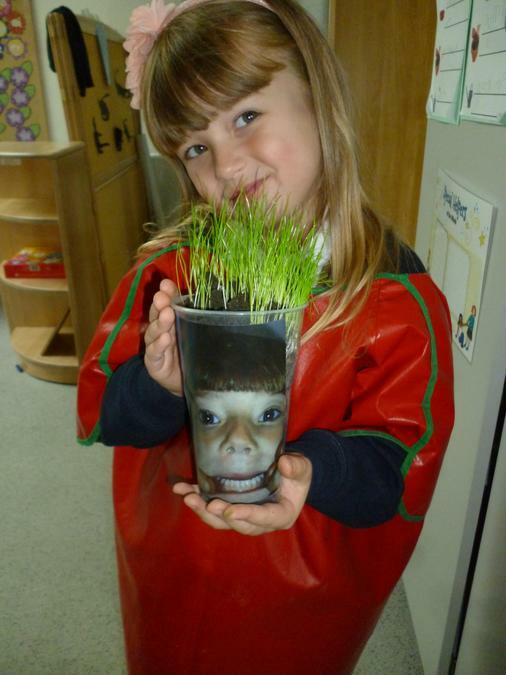 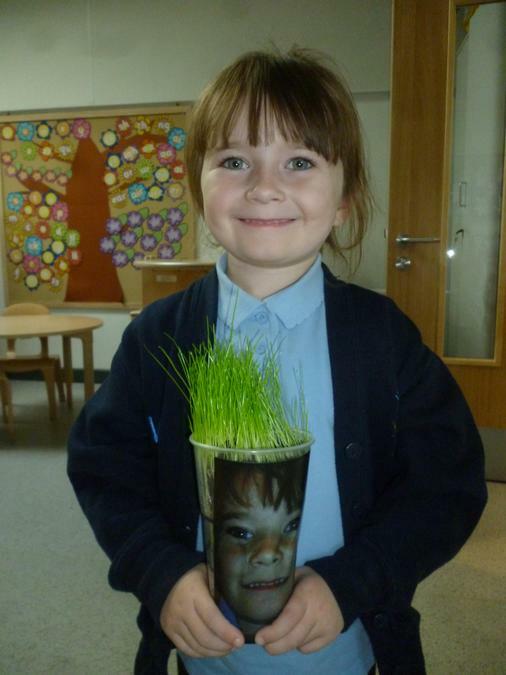 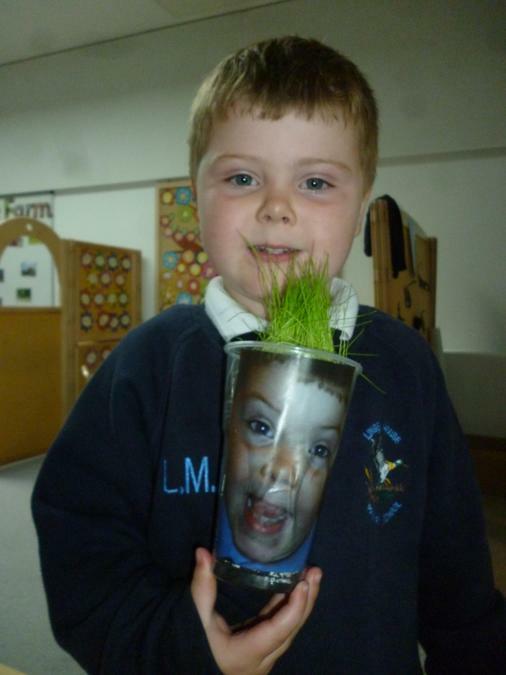 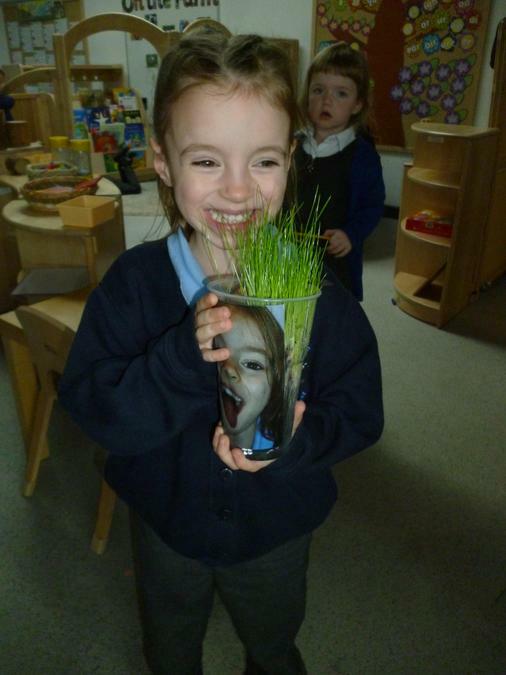 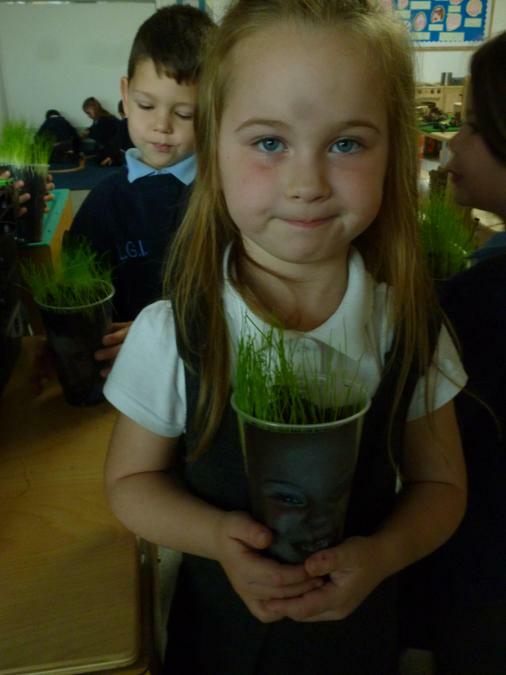 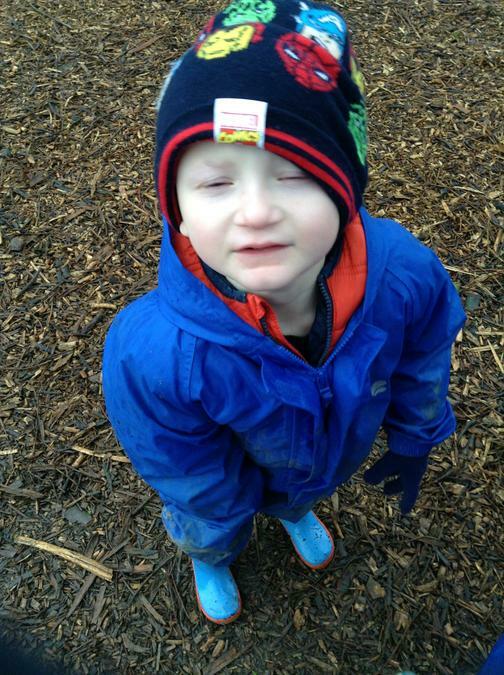 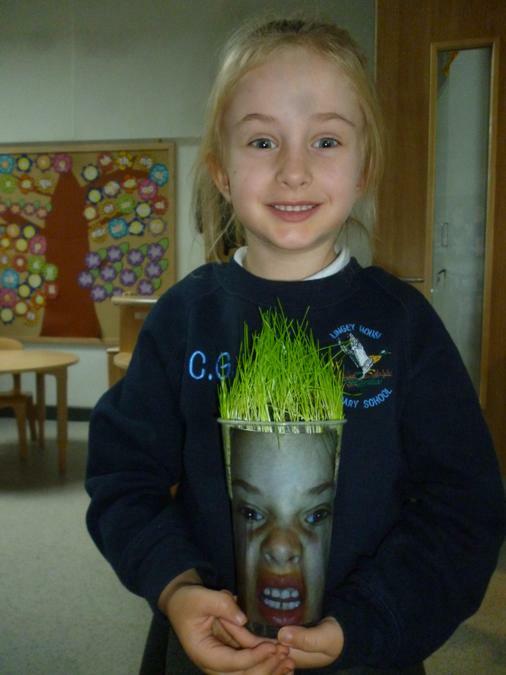 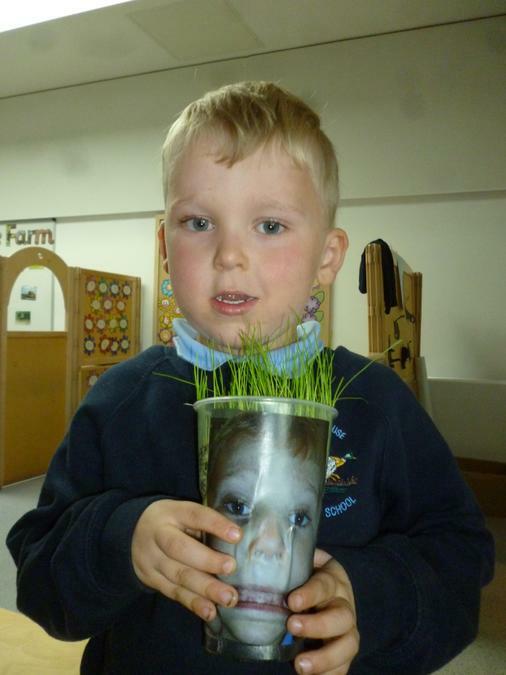 We decided to plant some grass seeds and create 'grass heads'. 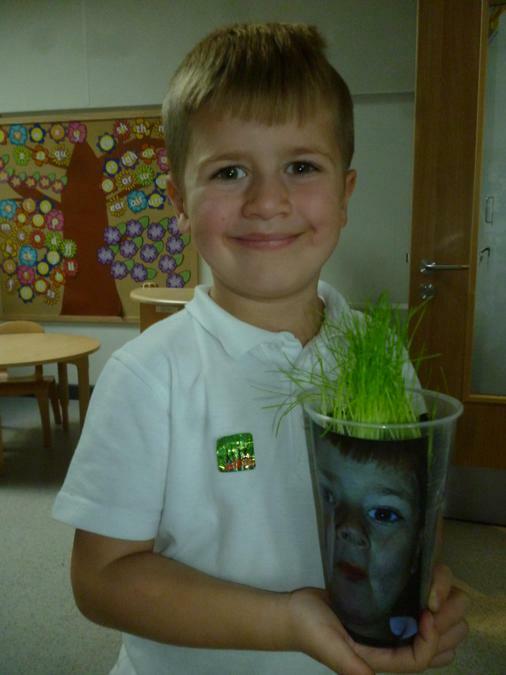 We enjoyed learning about the life cycle of different plants. 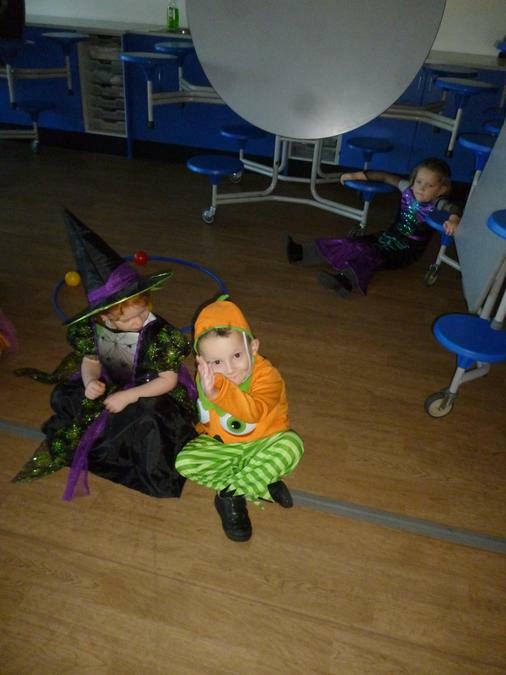 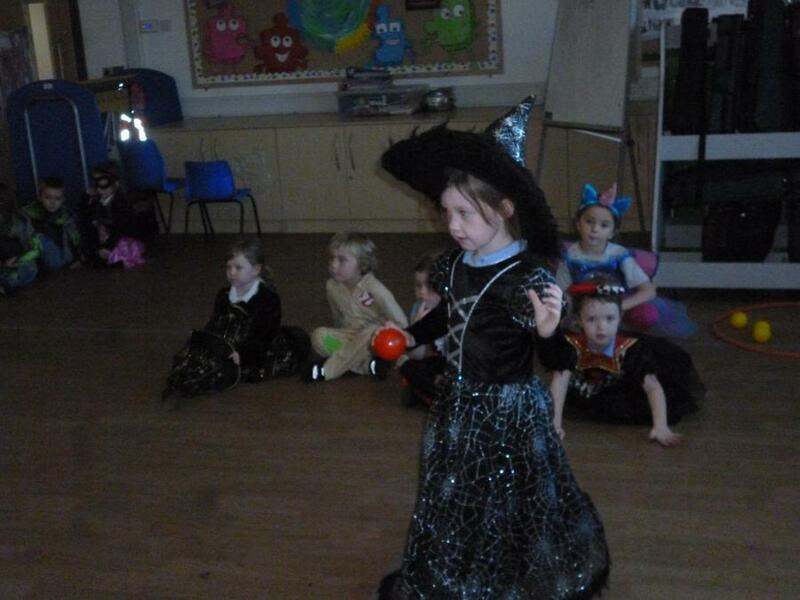 We celebrated Halloween by dressing up and having a disco. 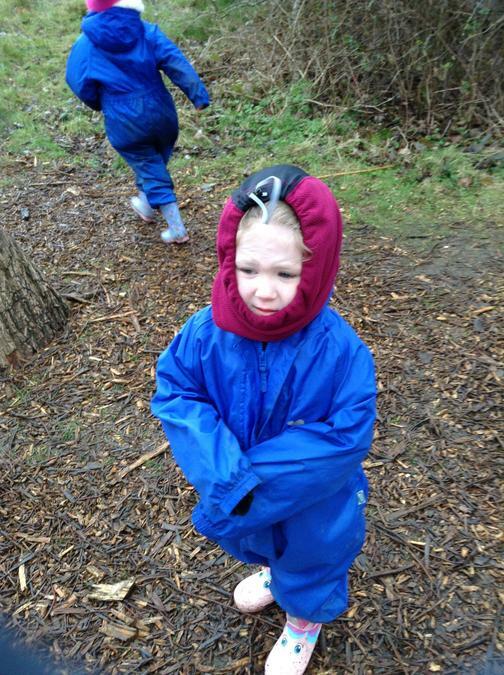 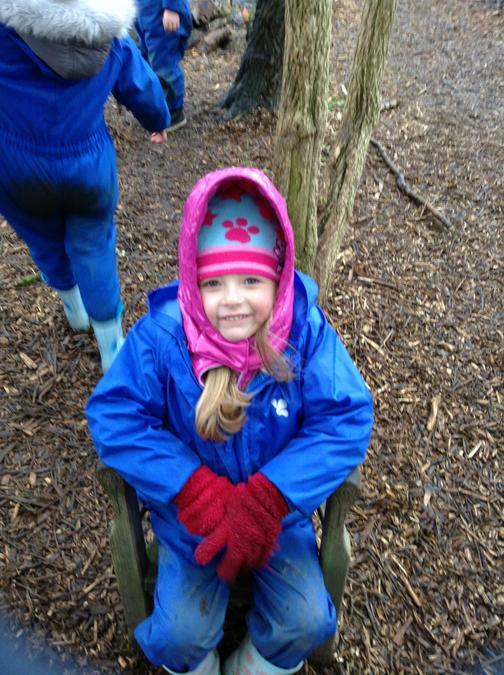 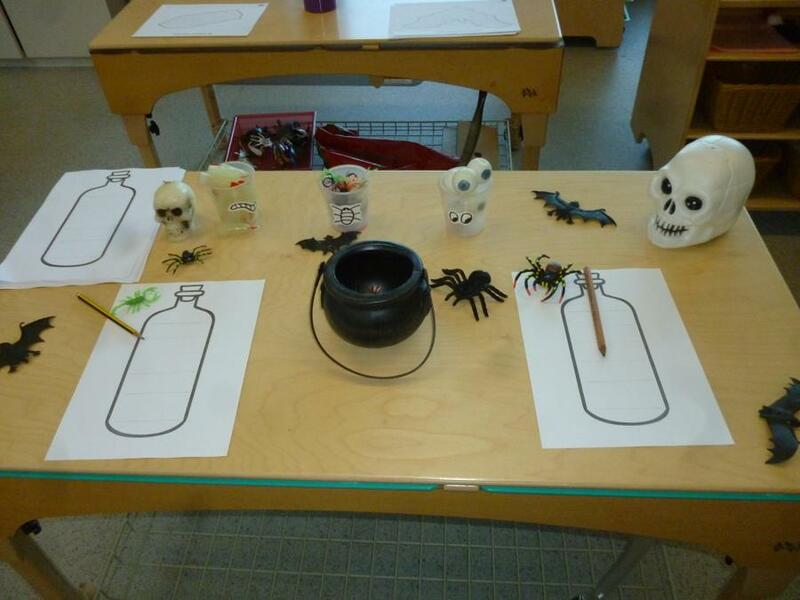 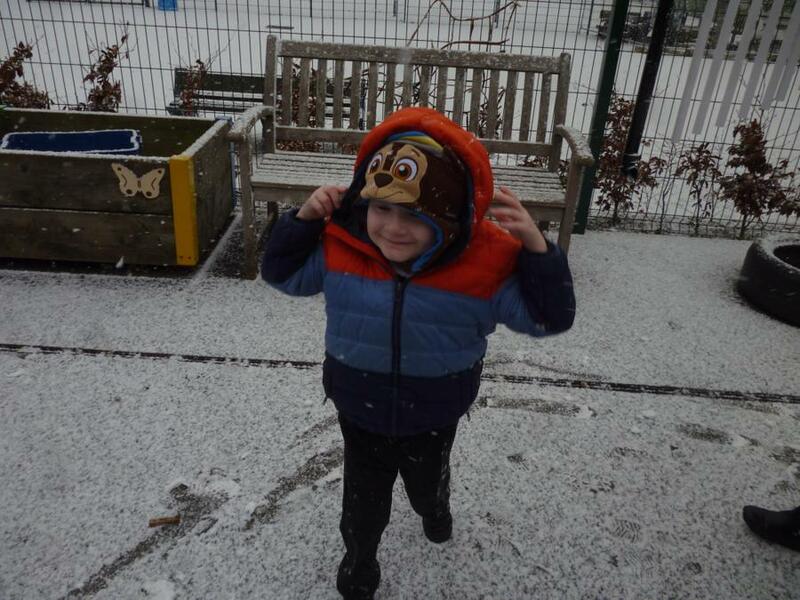 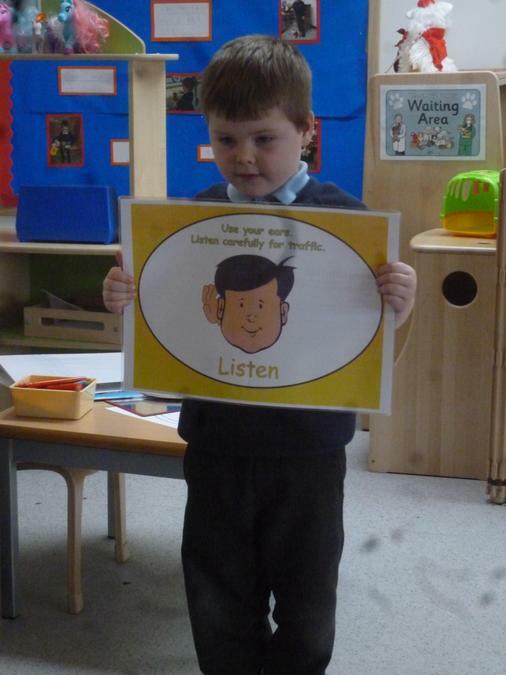 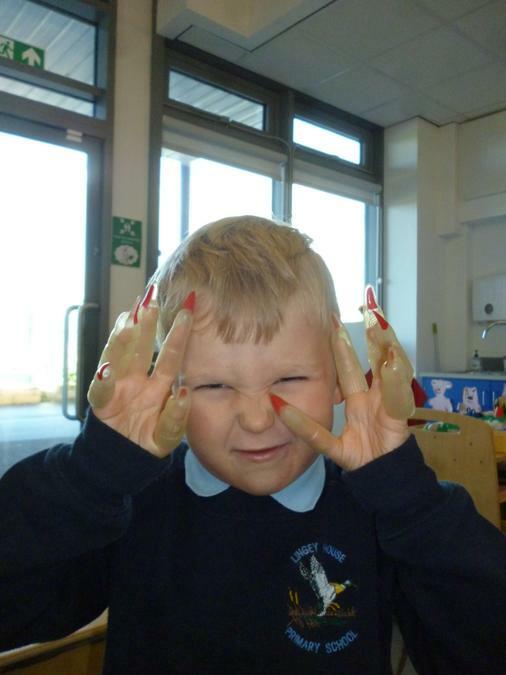 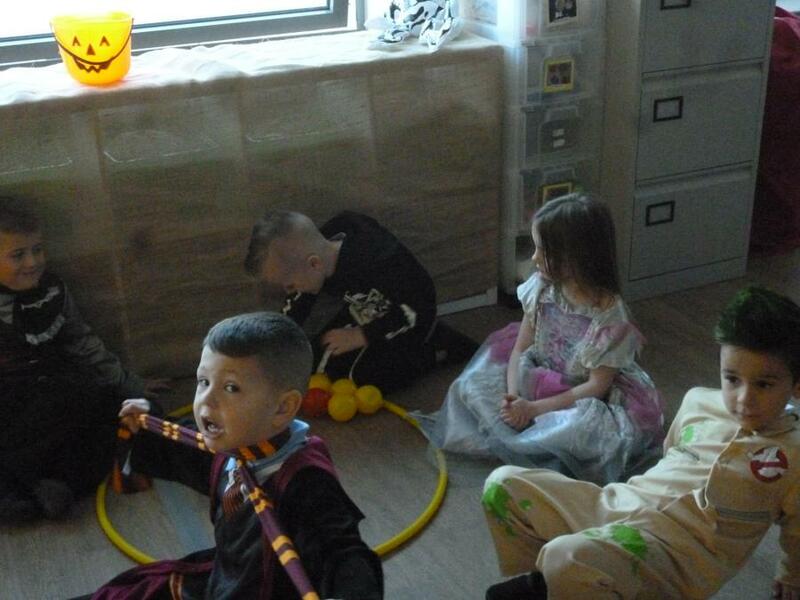 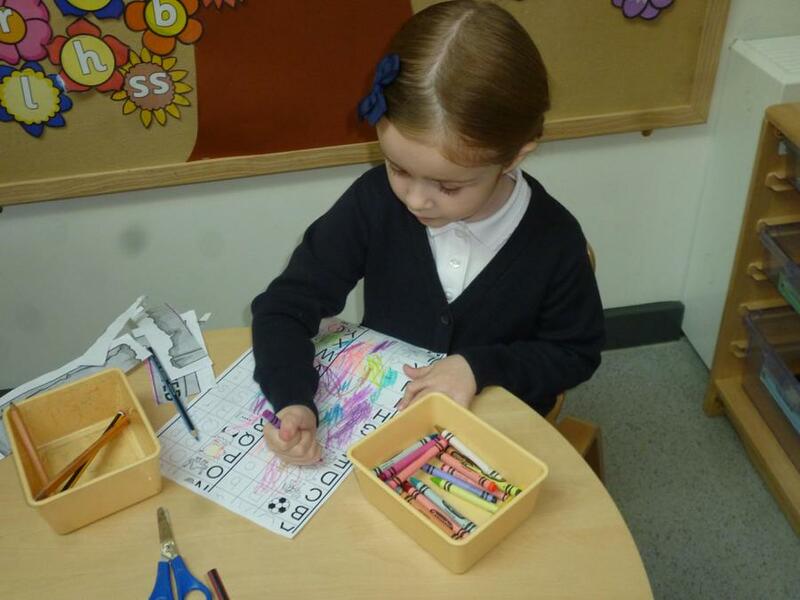 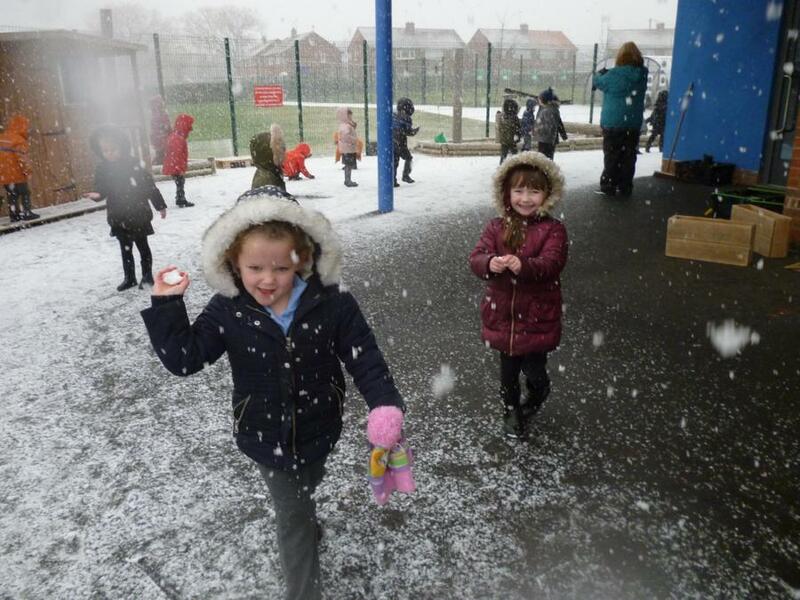 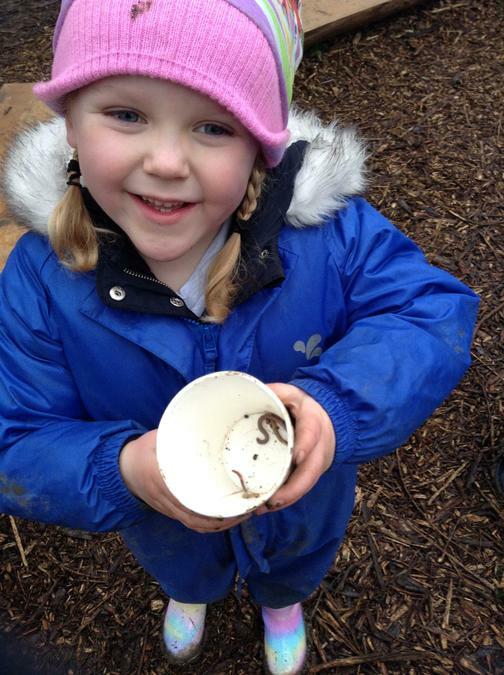 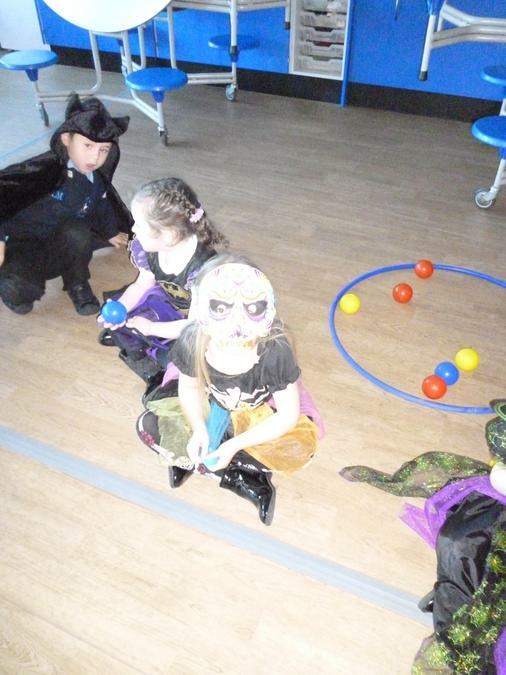 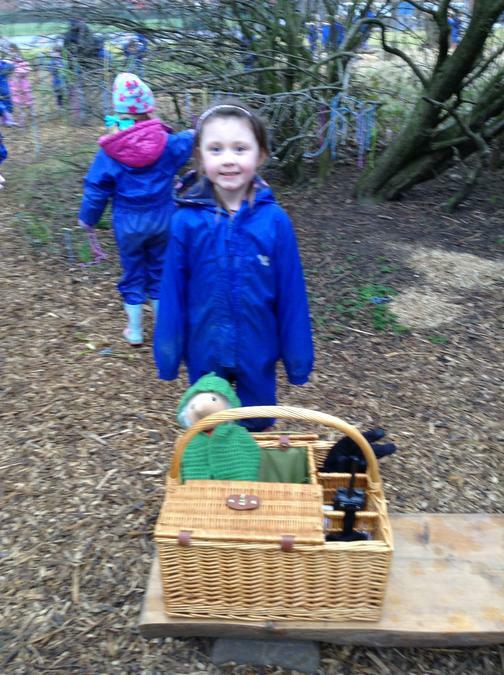 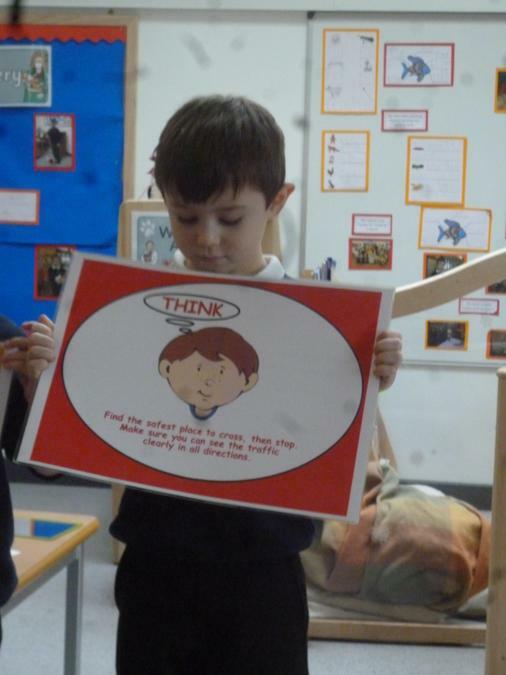 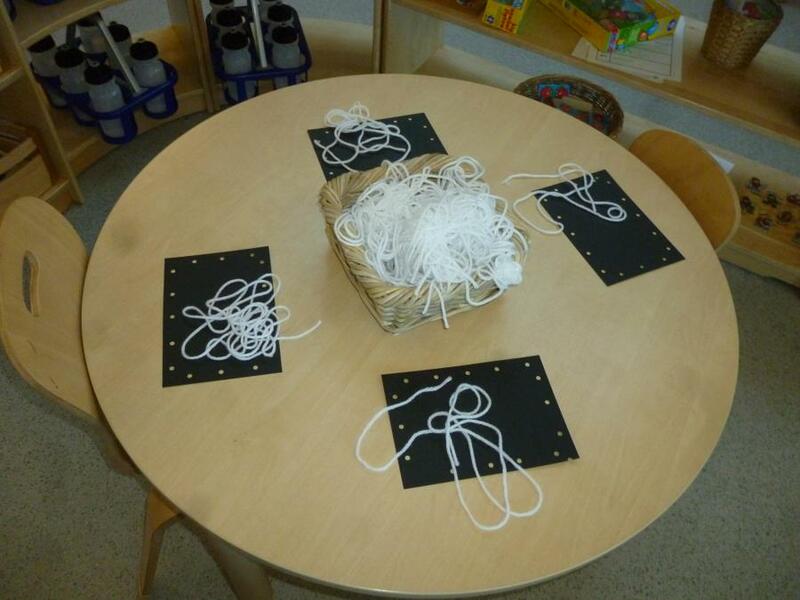 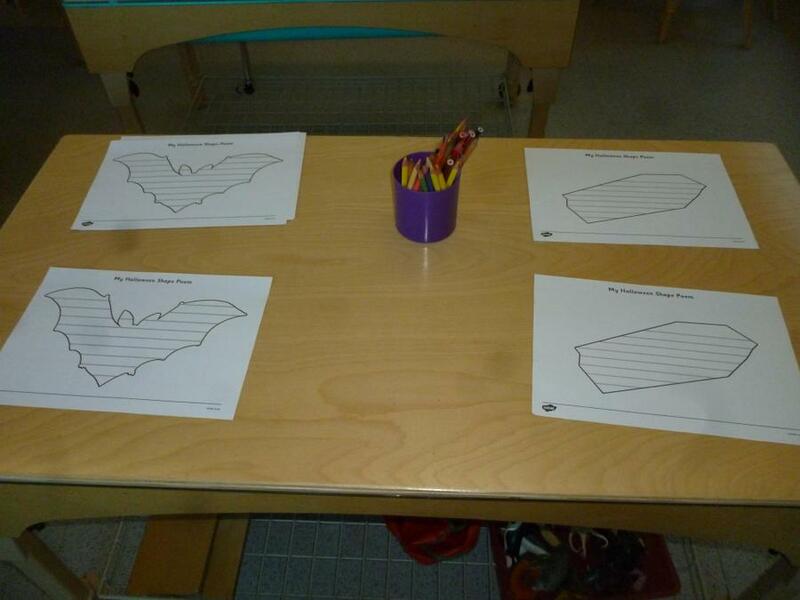 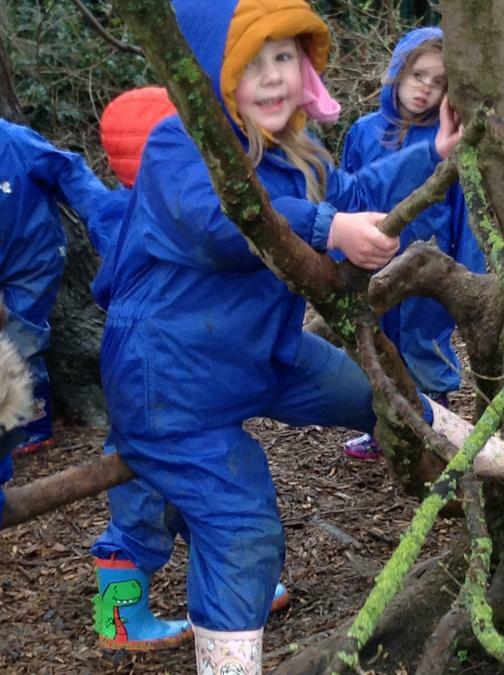 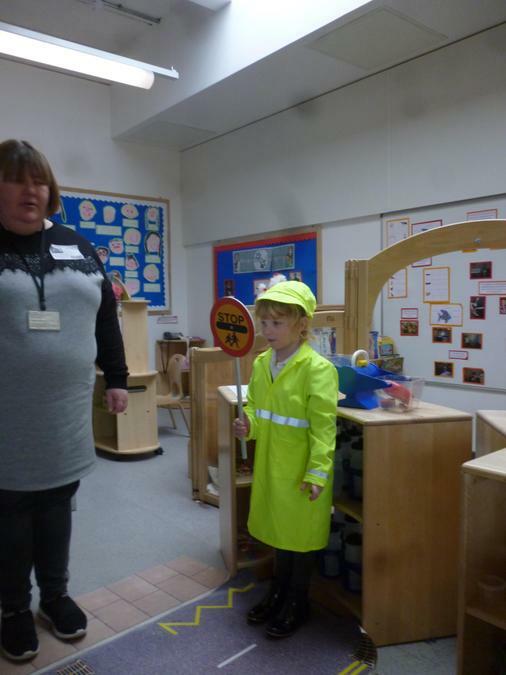 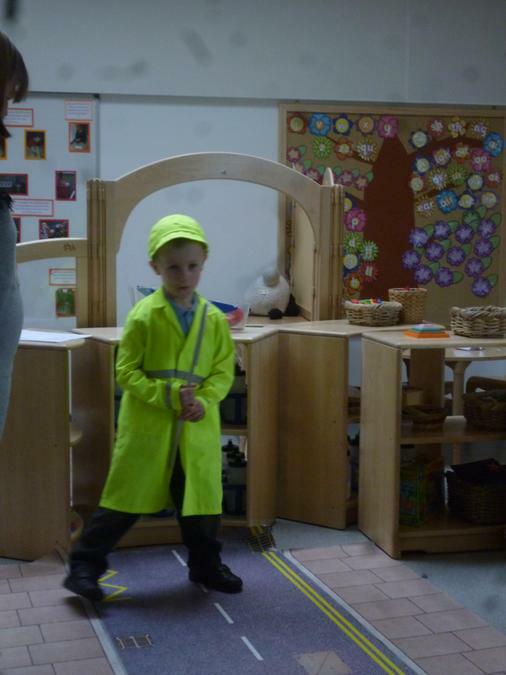 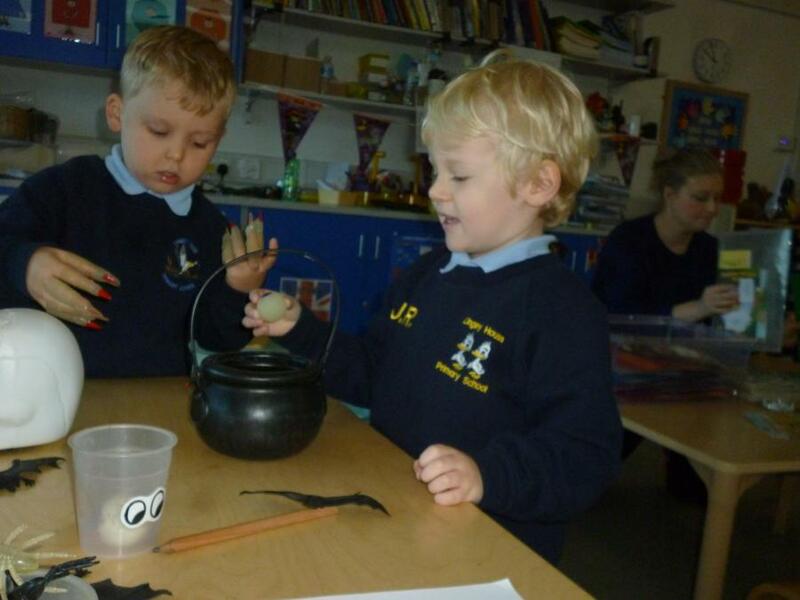 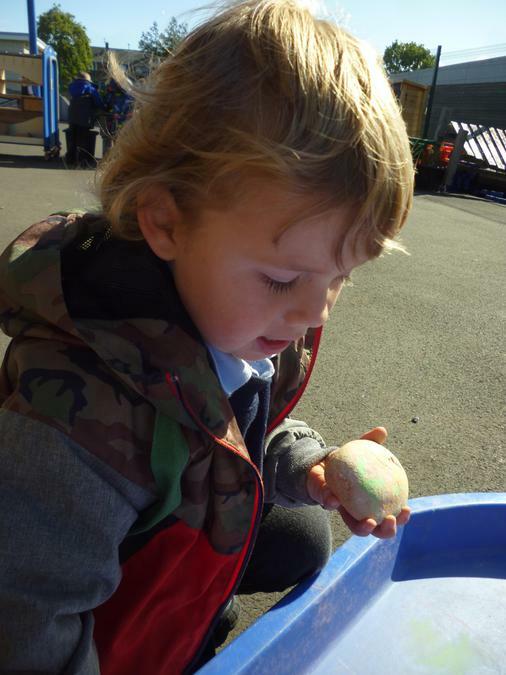 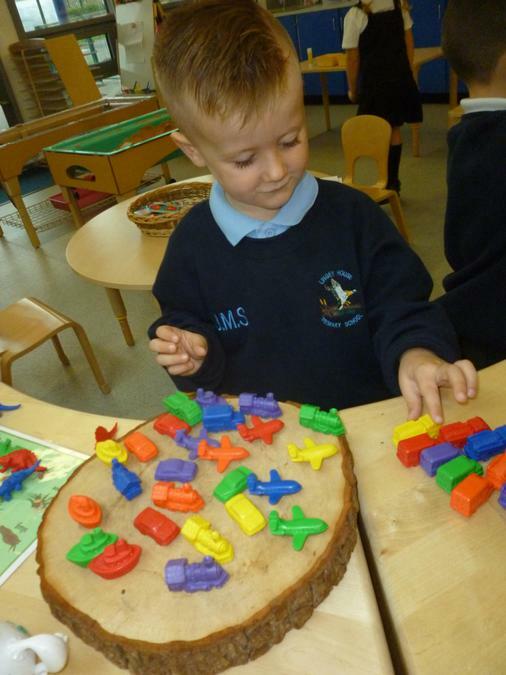 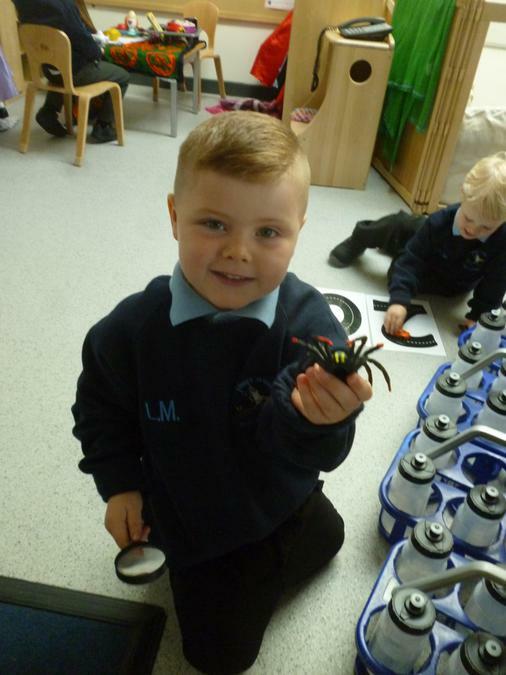 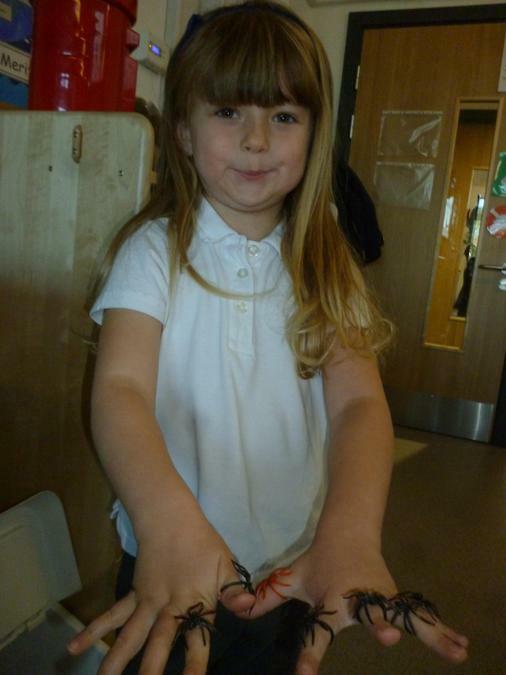 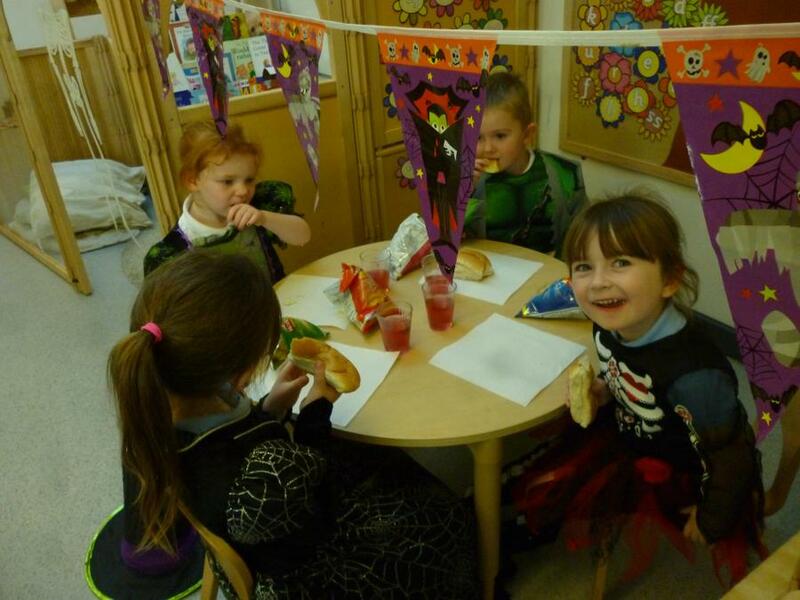 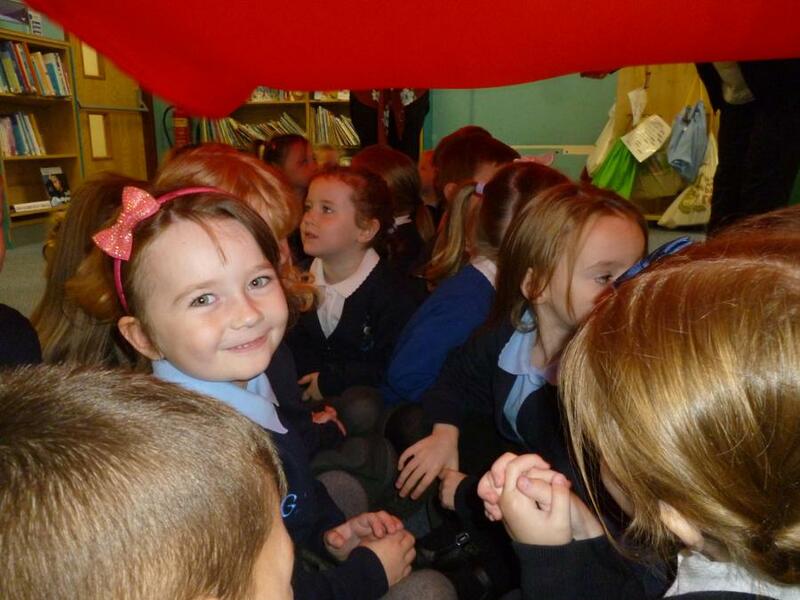 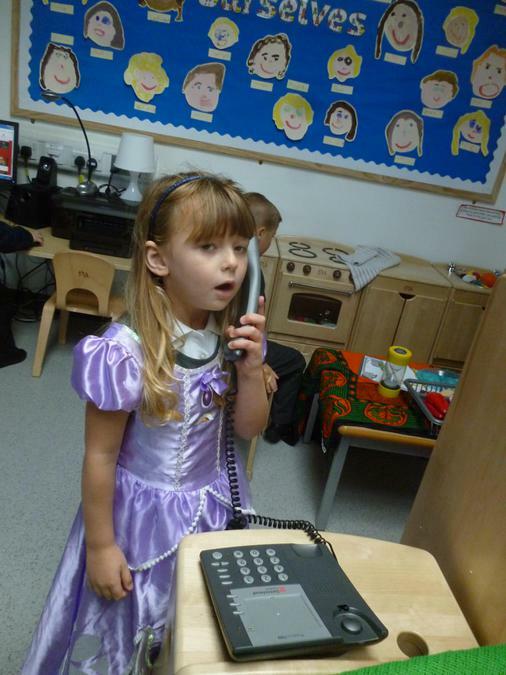 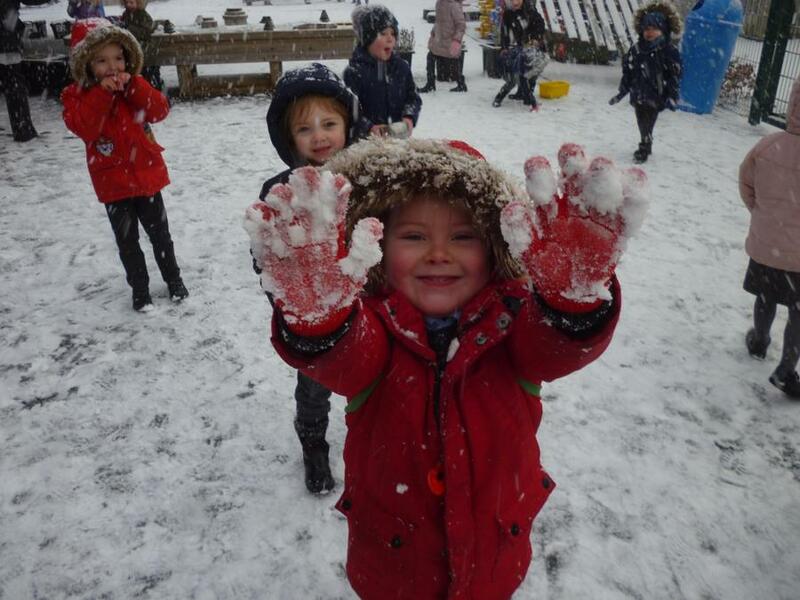 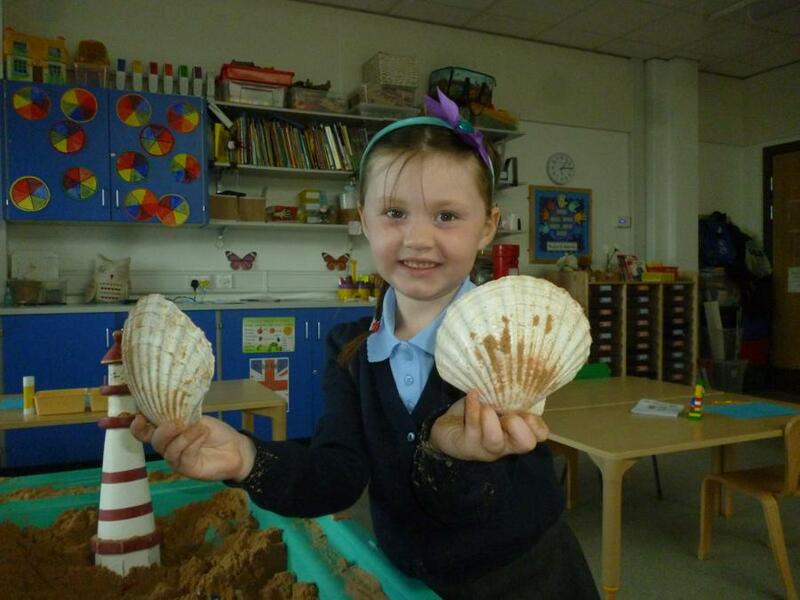 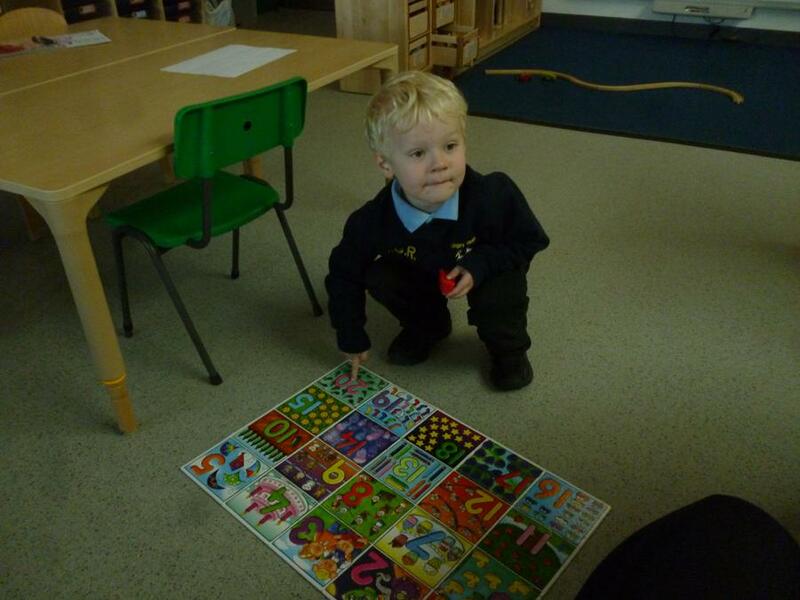 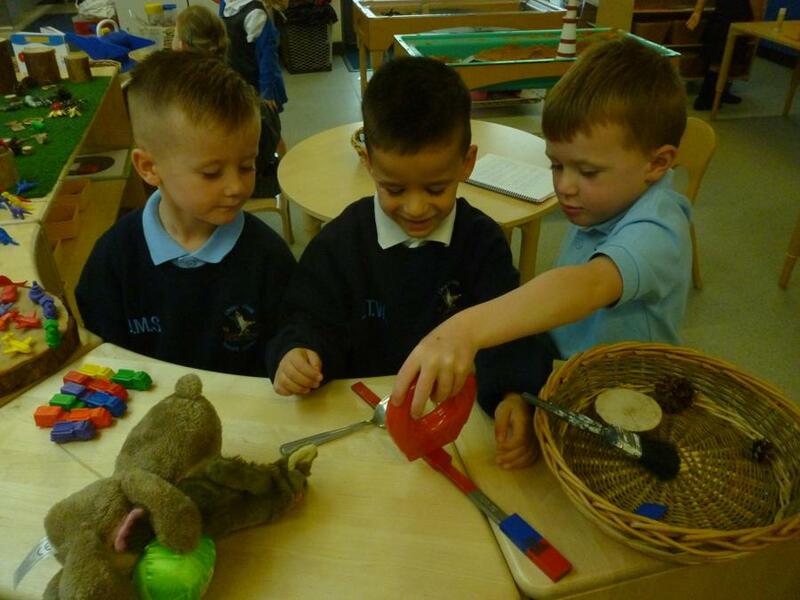 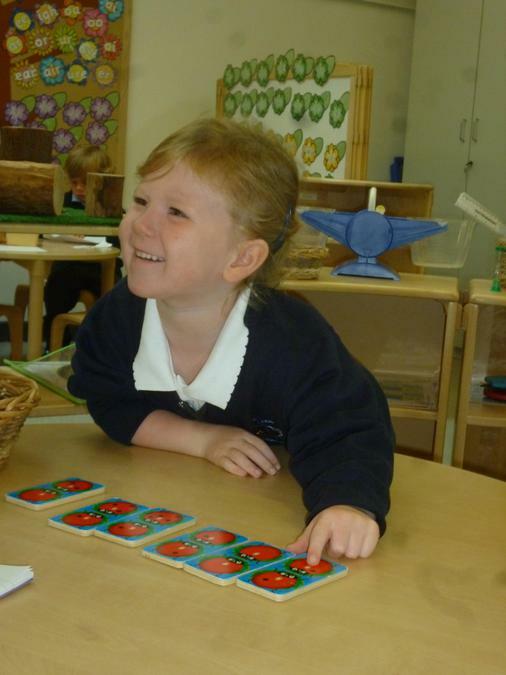 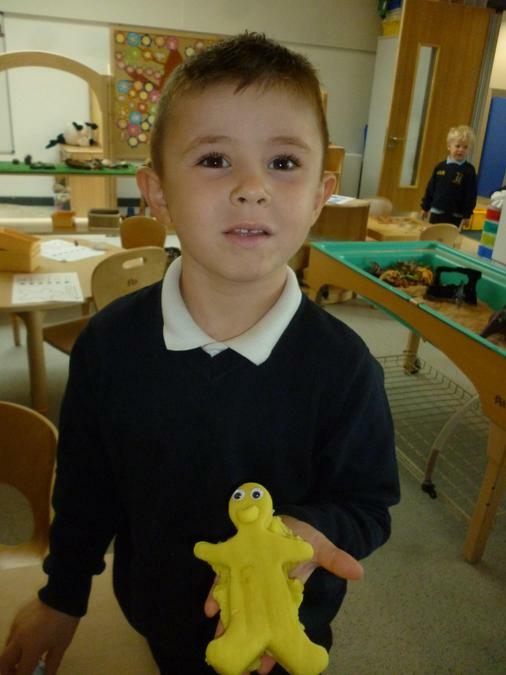 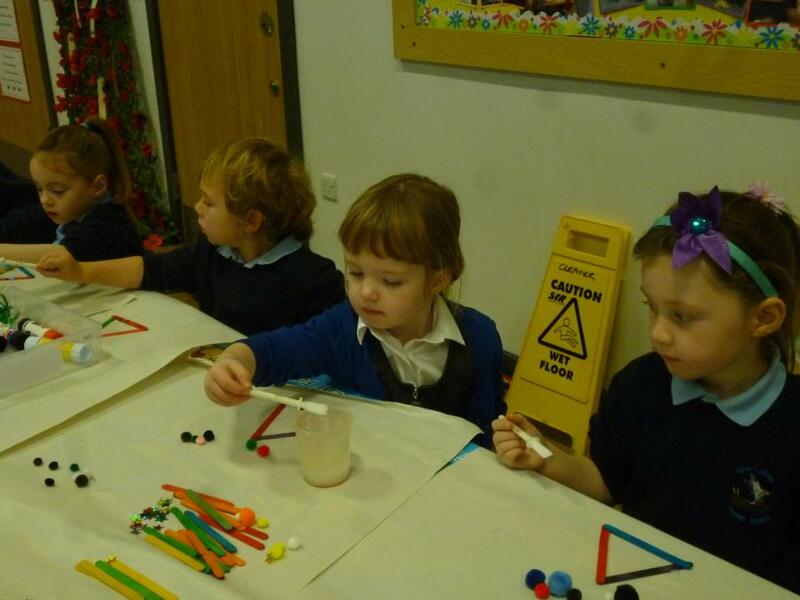 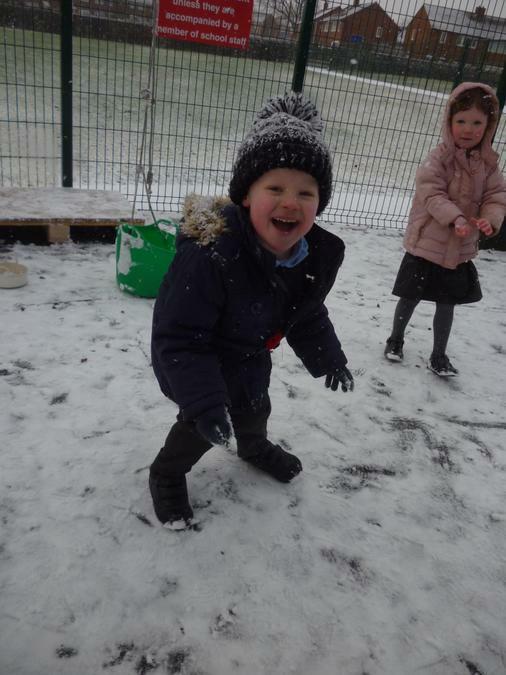 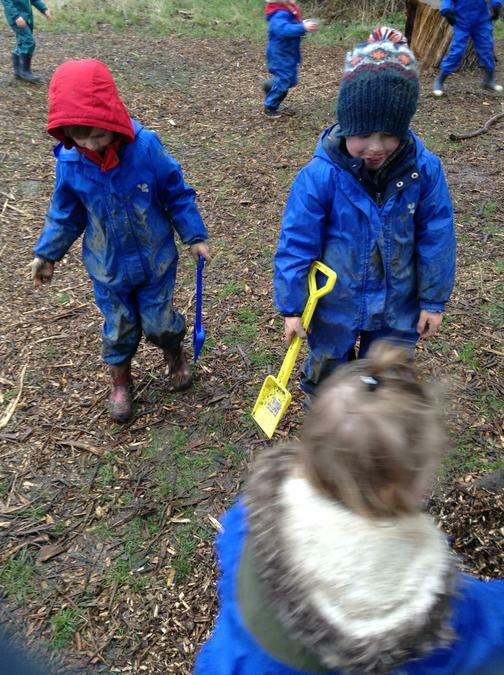 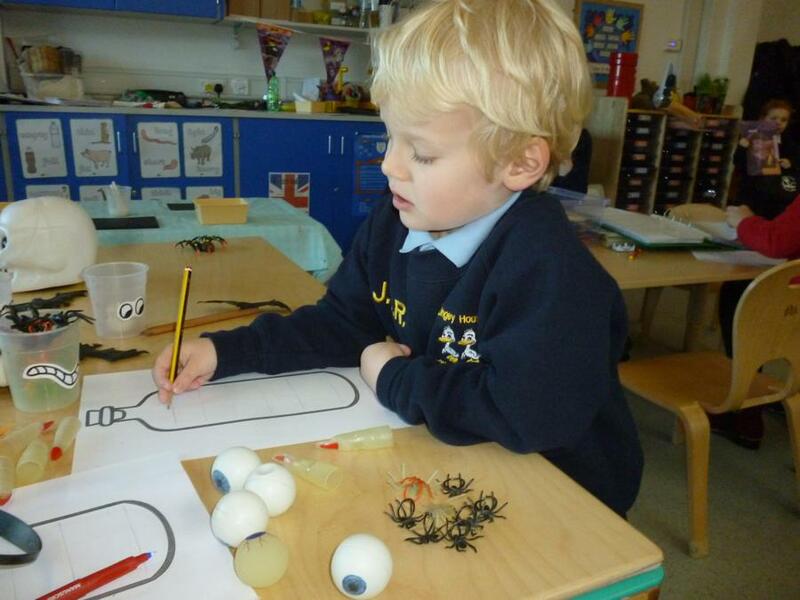 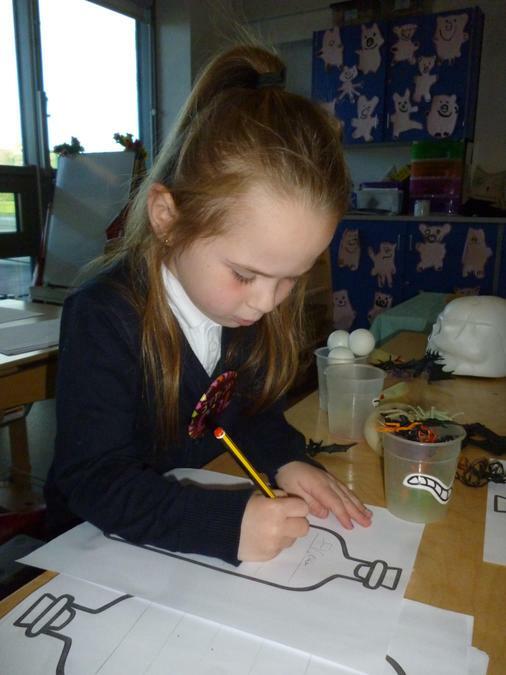 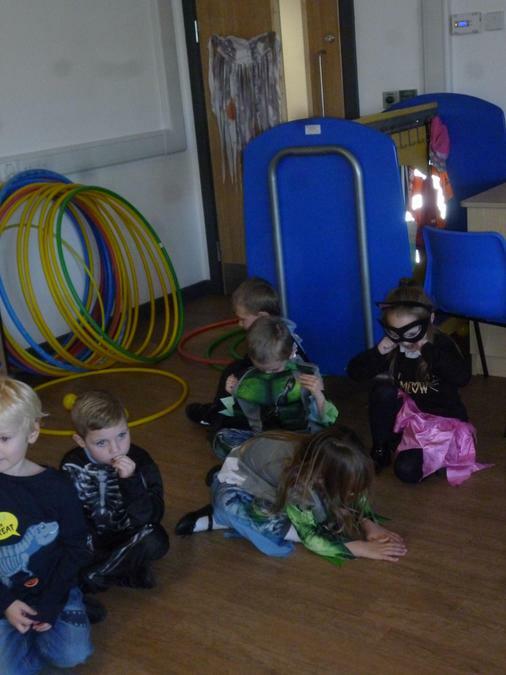 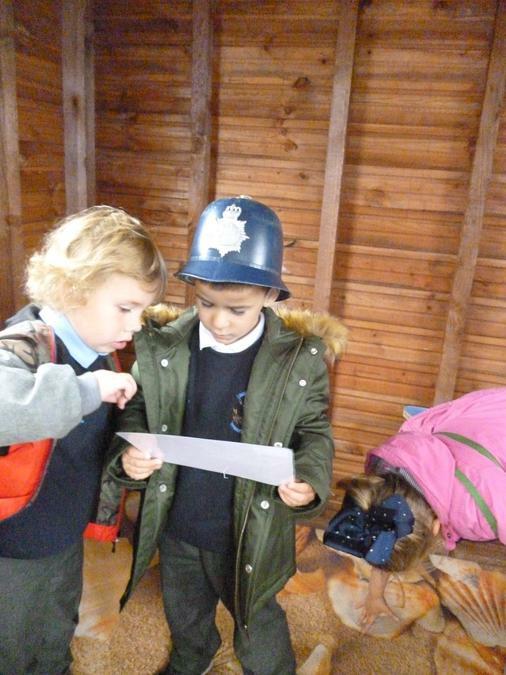 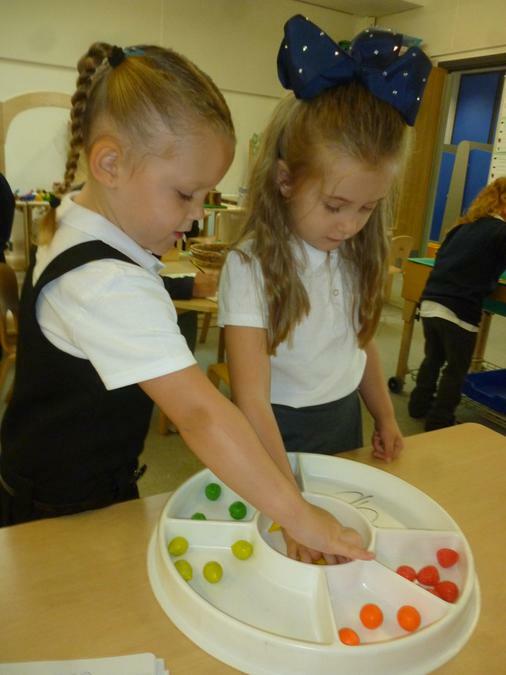 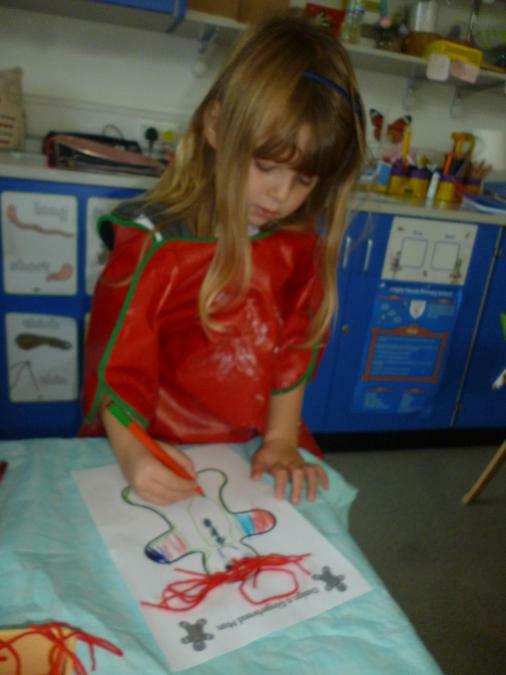 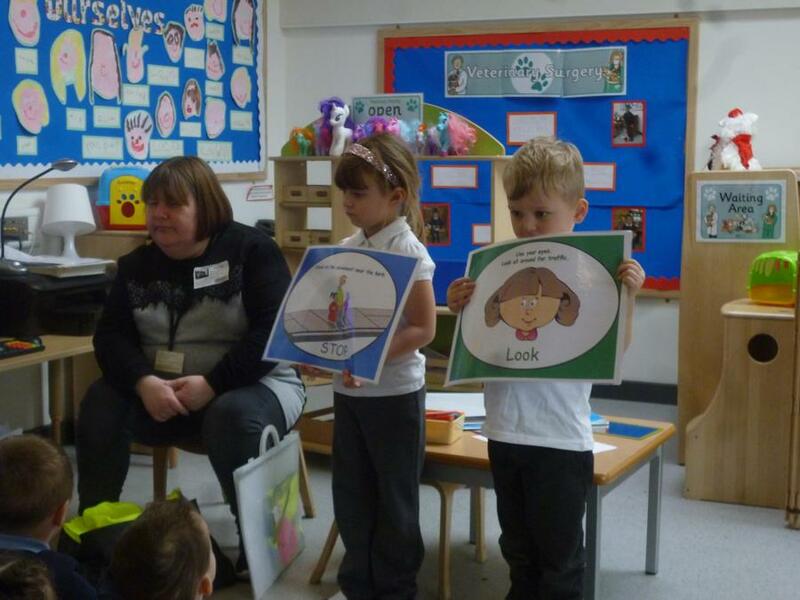 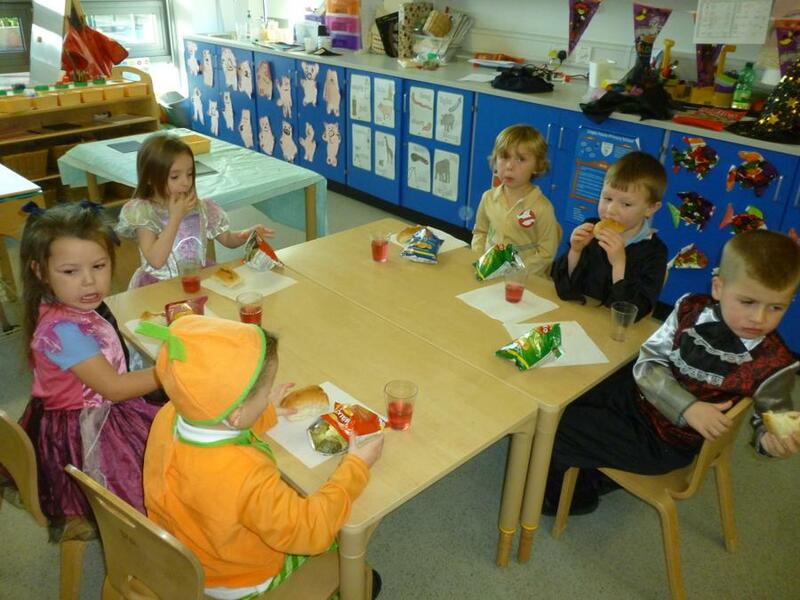 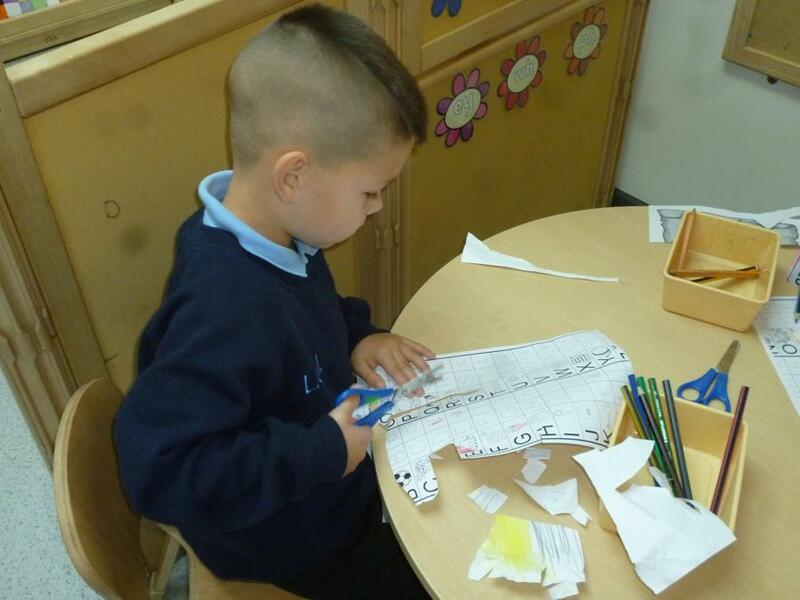 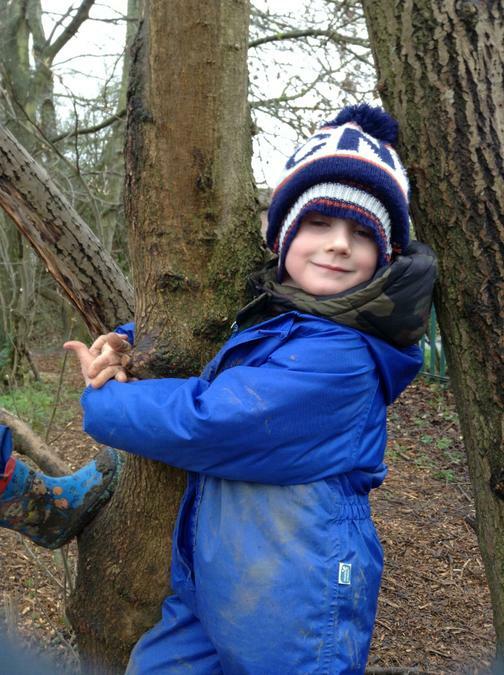 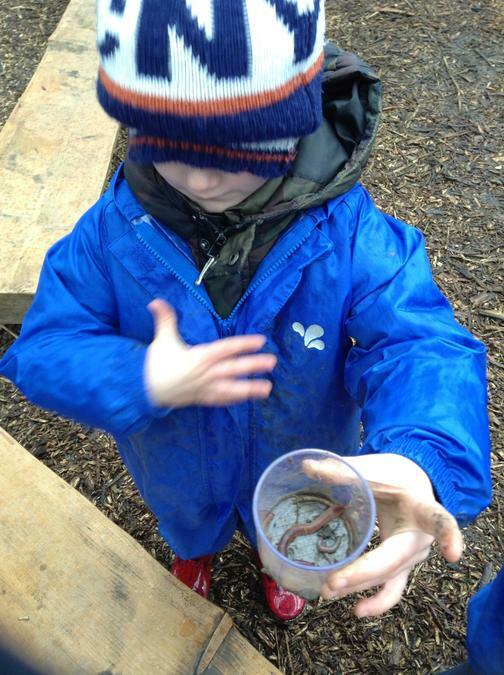 We also had lots of exciting activities in the classroom for the children to explore. 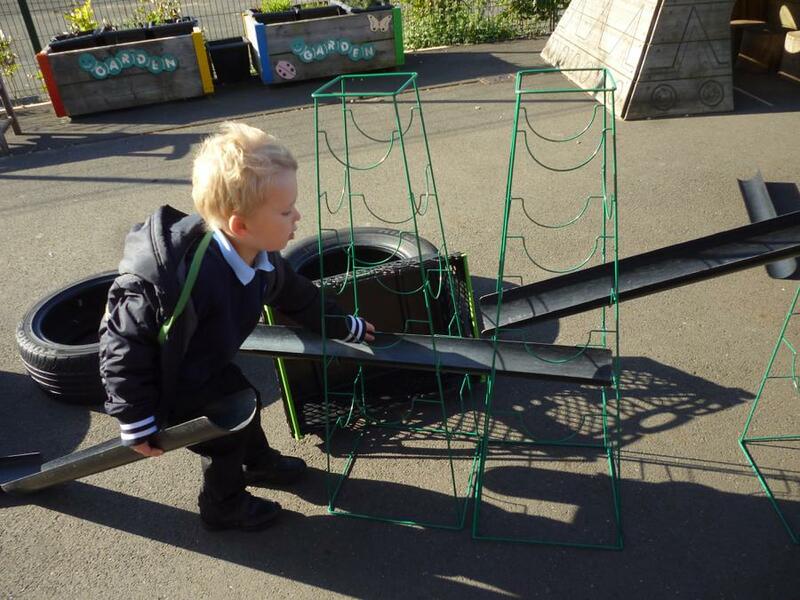 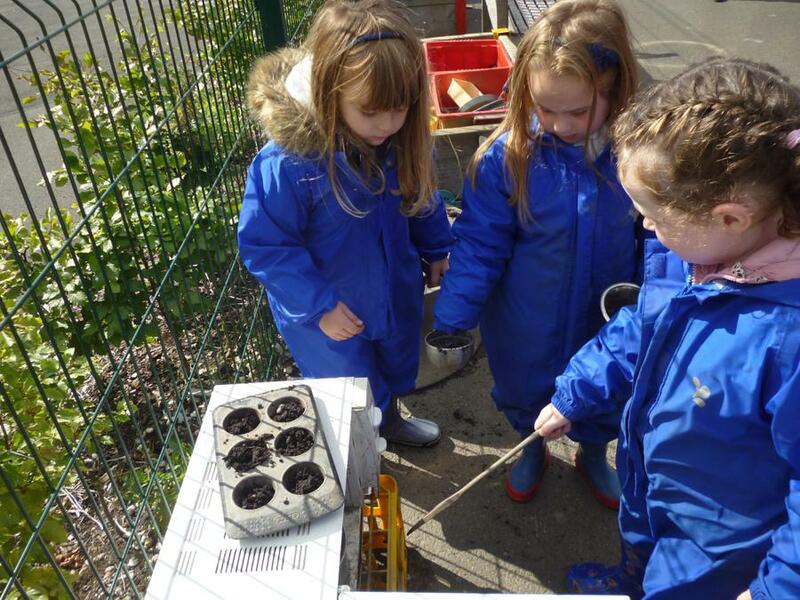 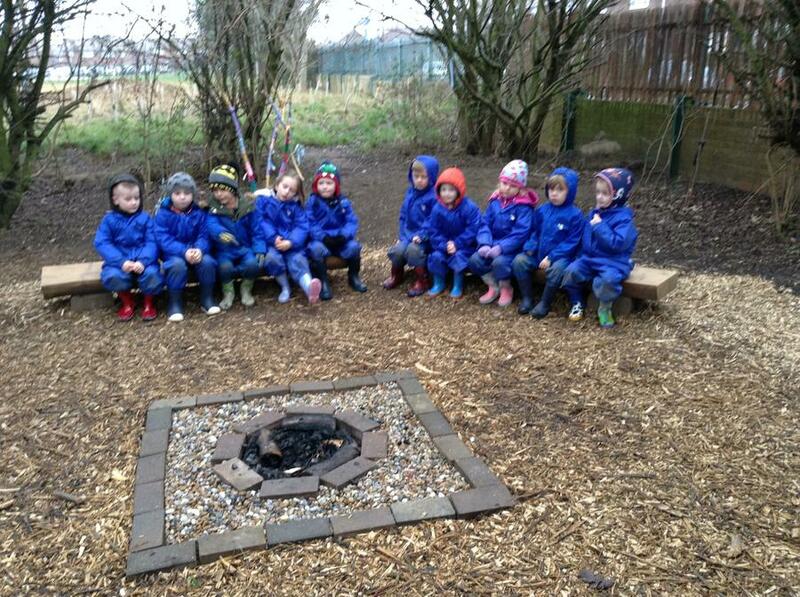 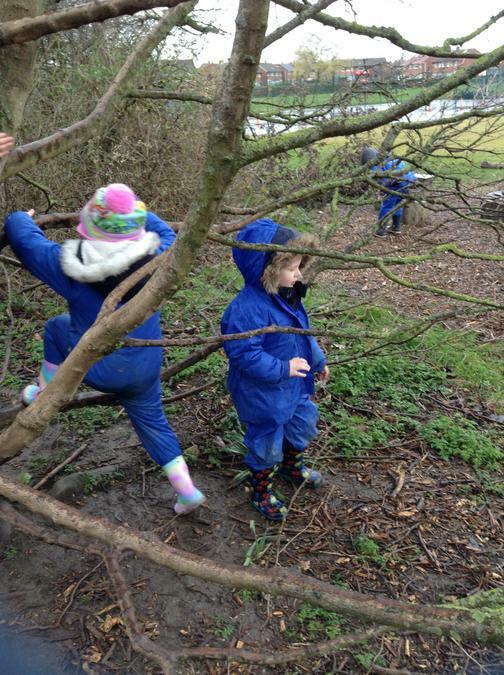 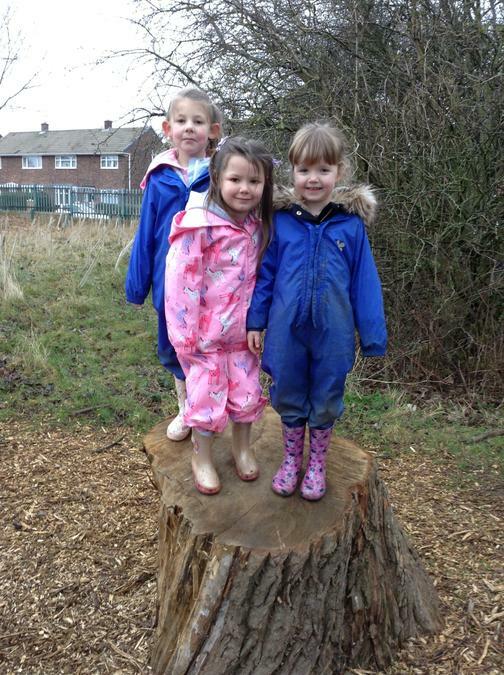 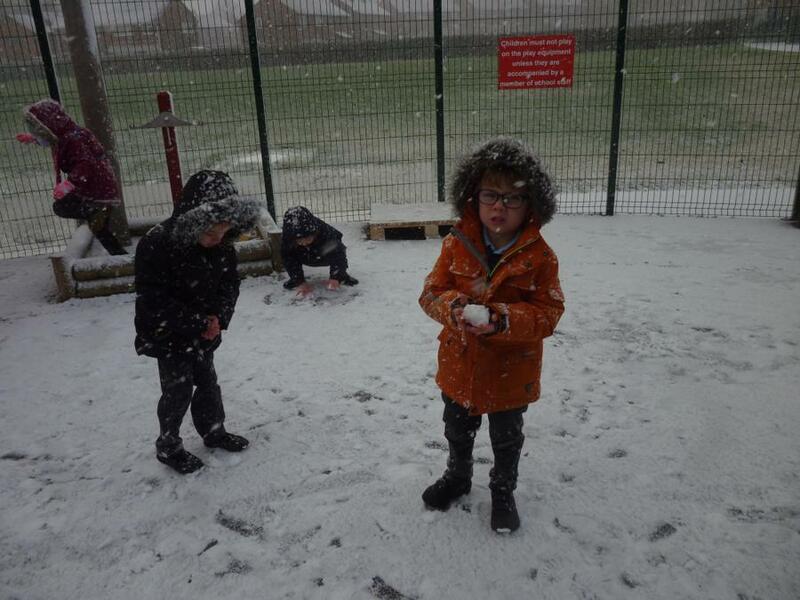 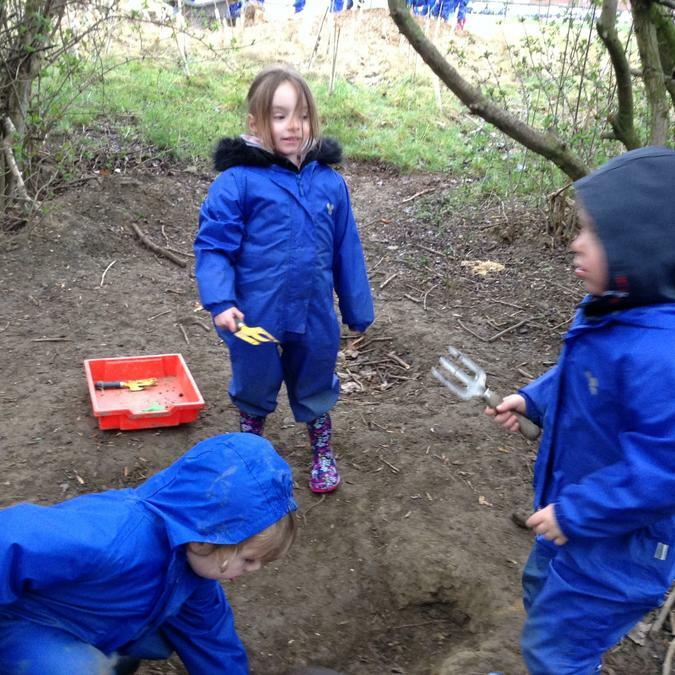 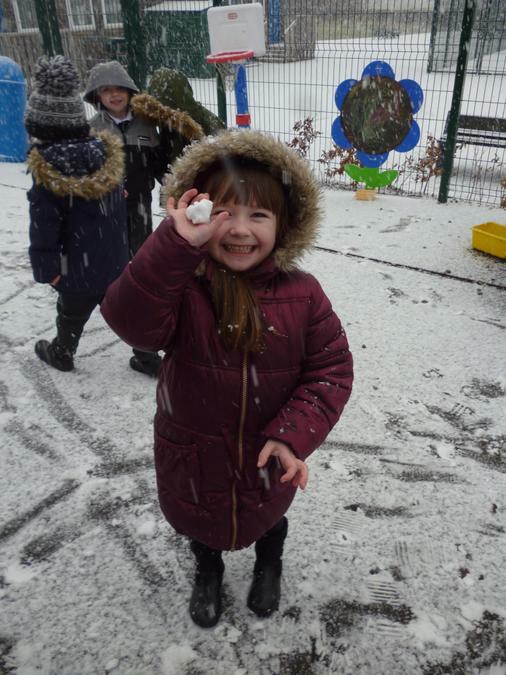 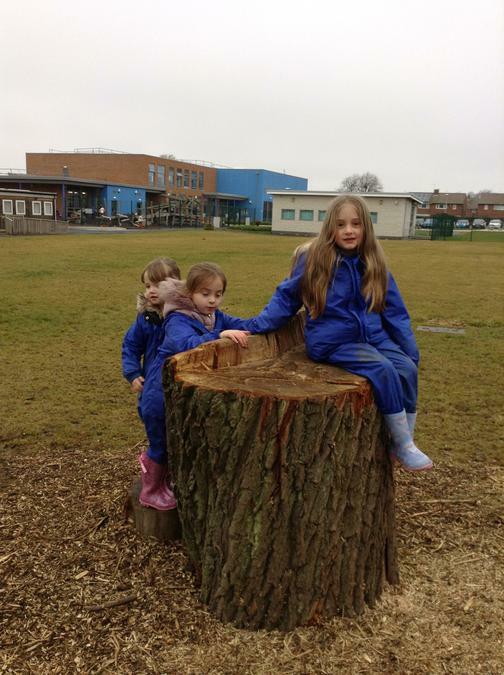 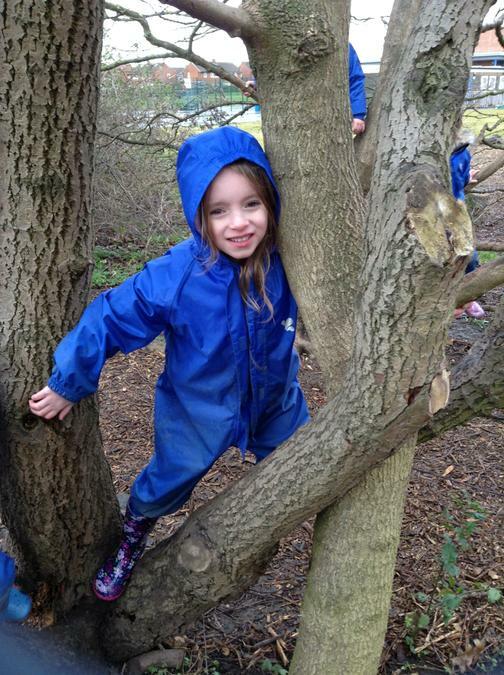 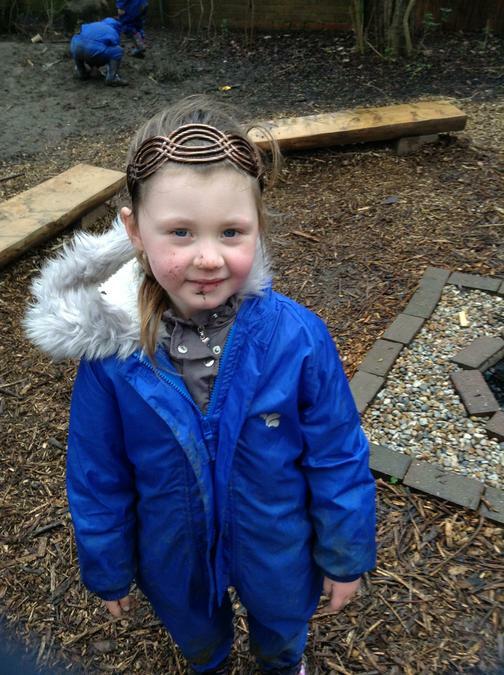 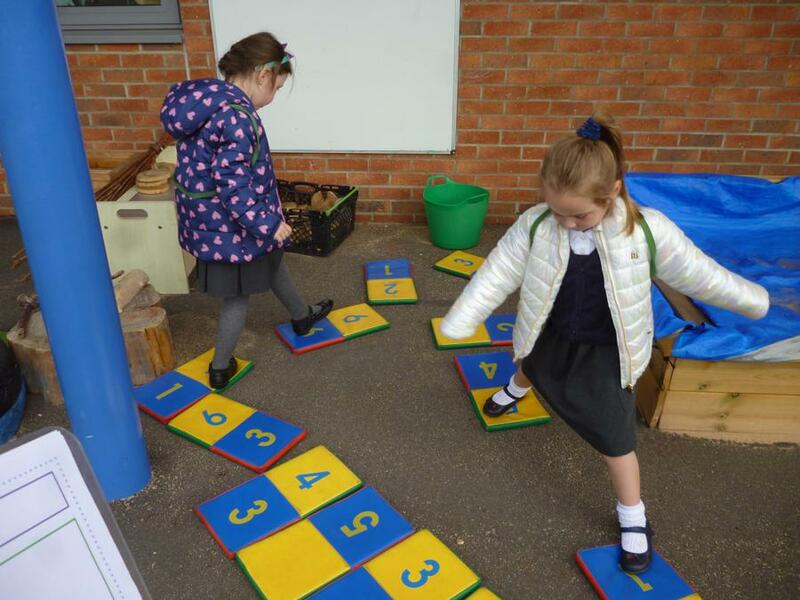 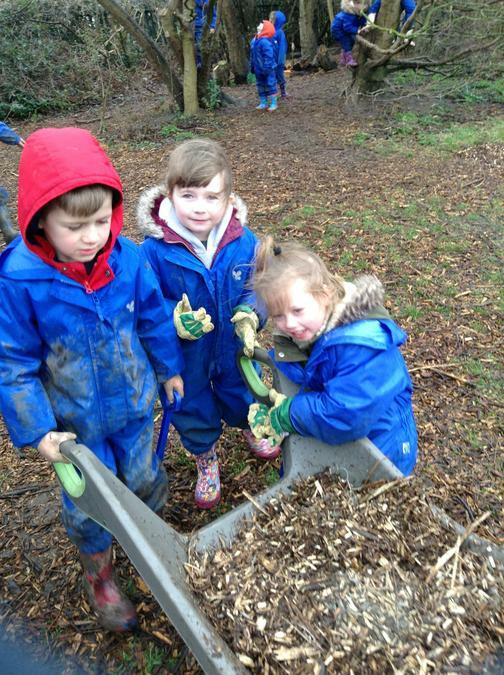 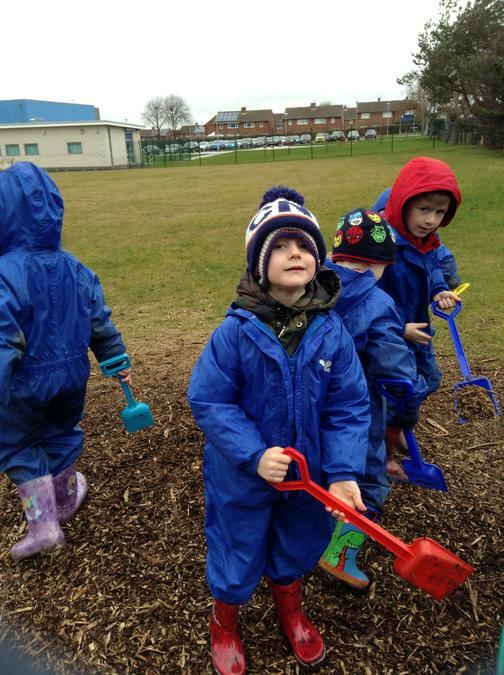 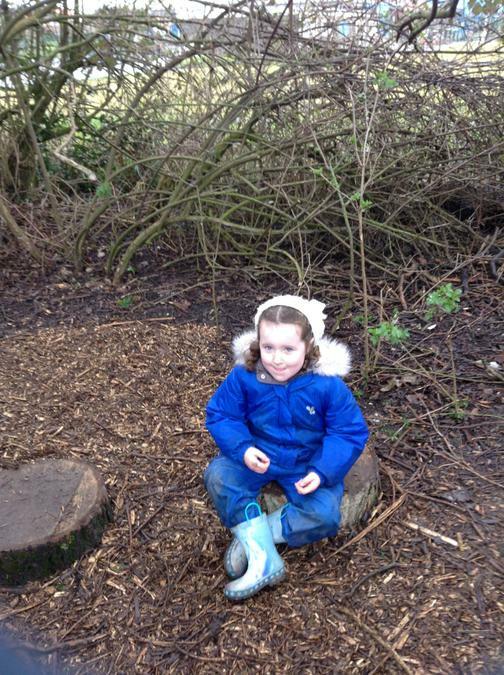 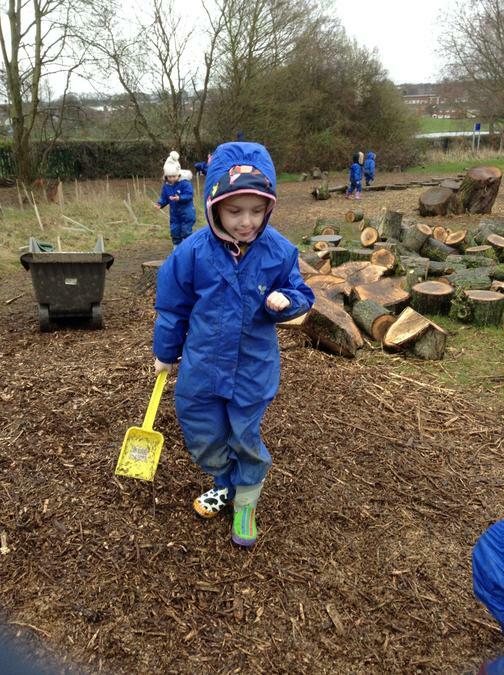 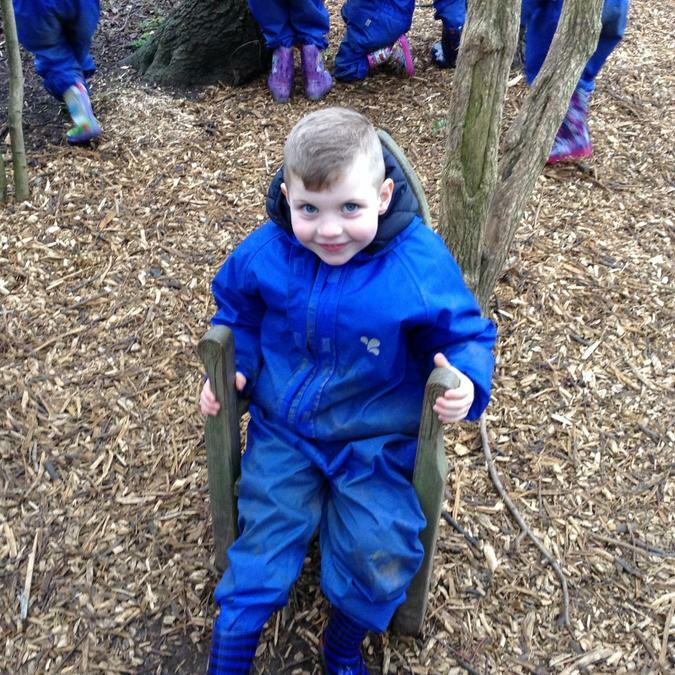 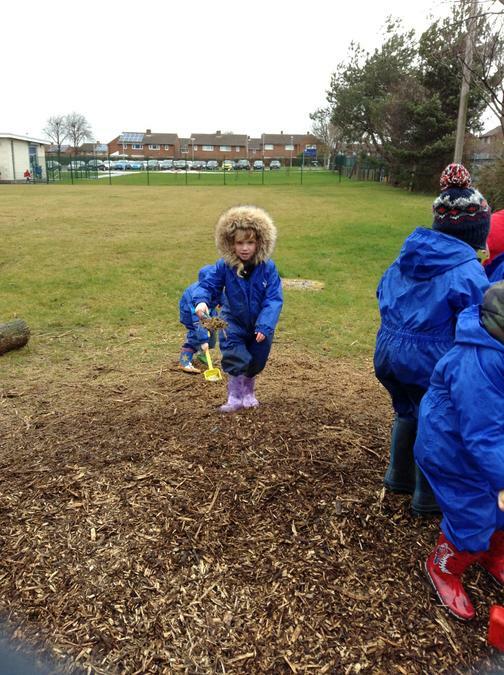 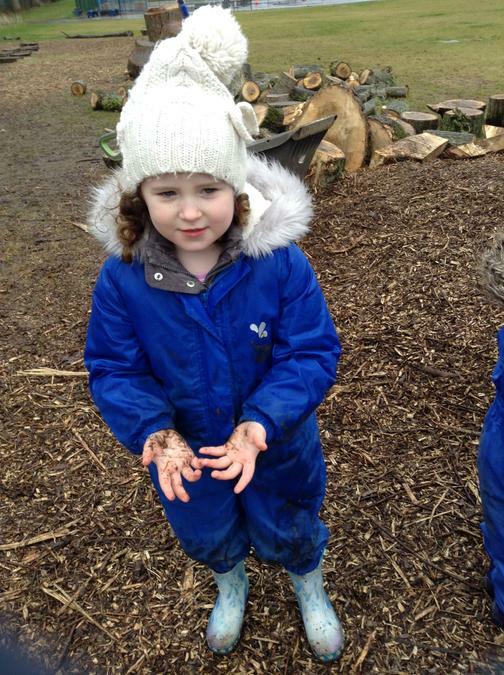 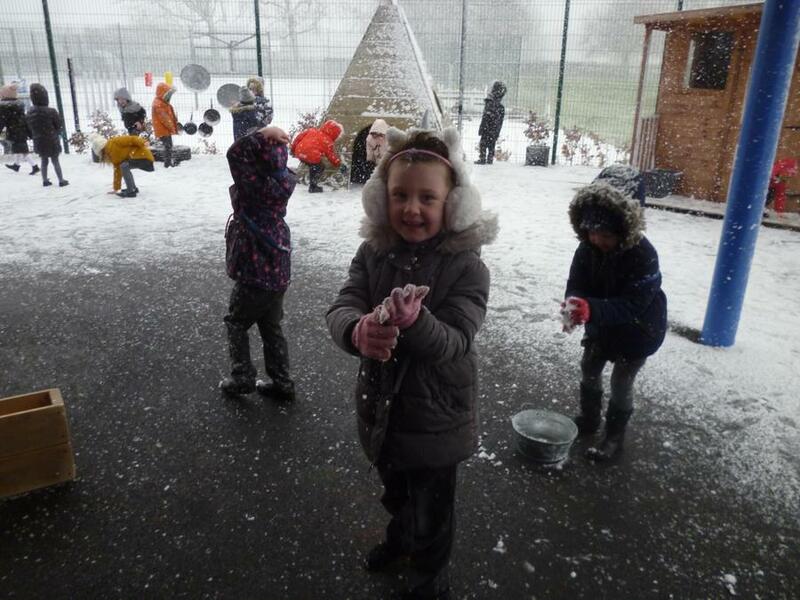 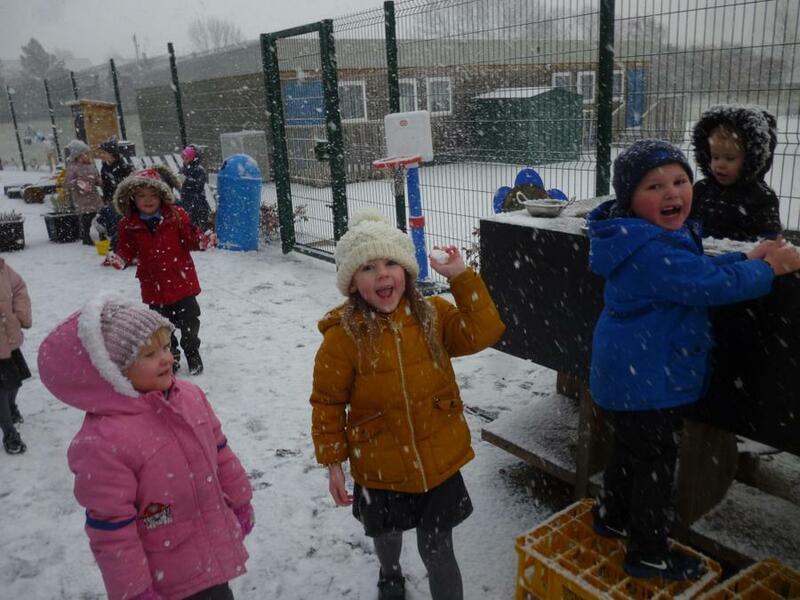 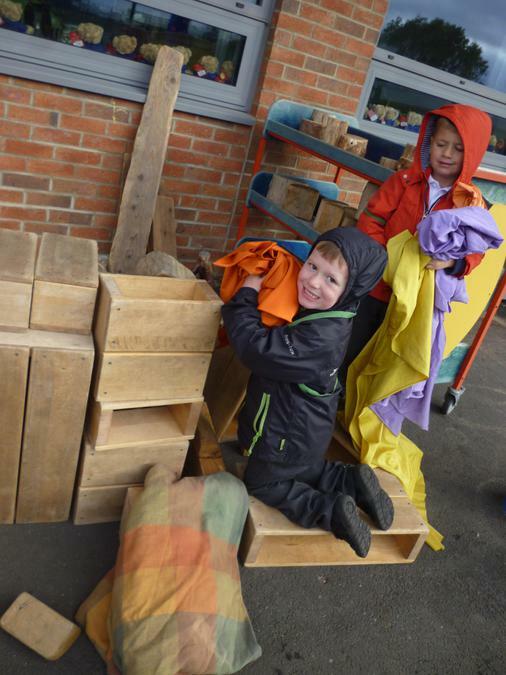 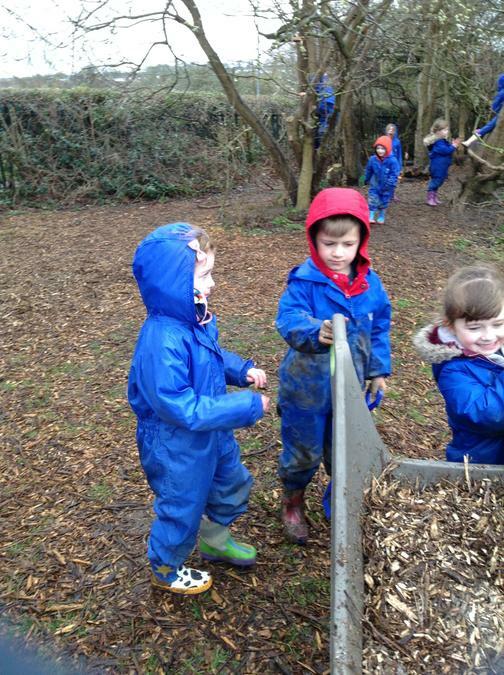 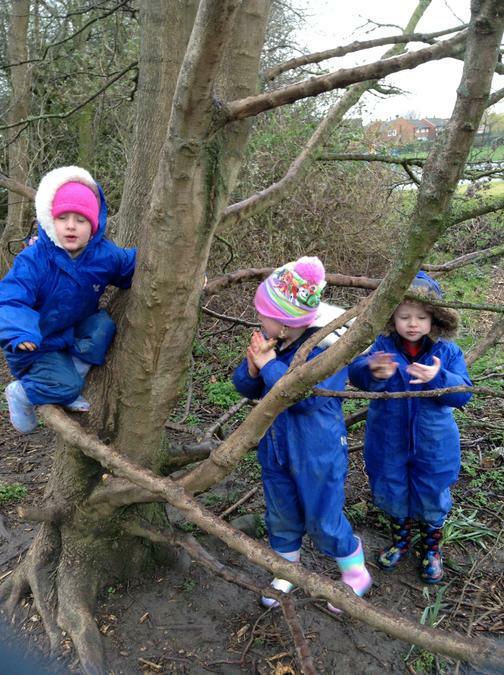 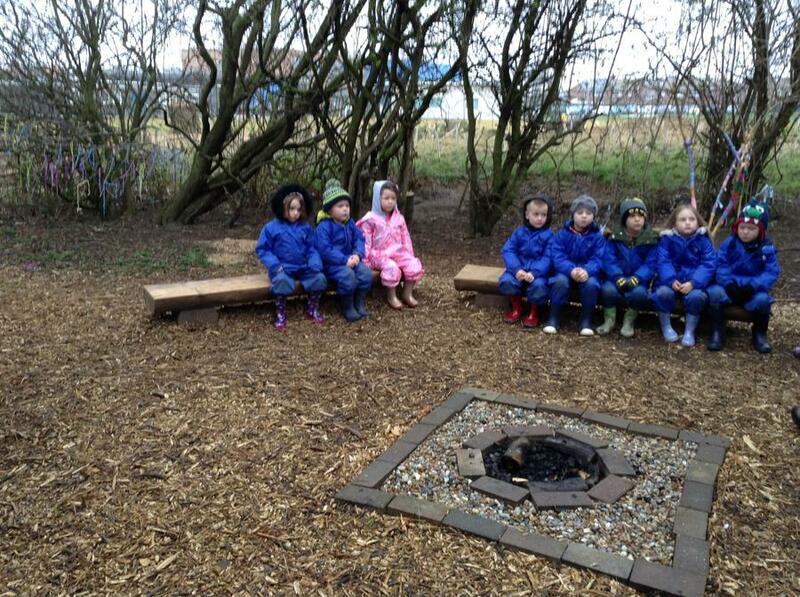 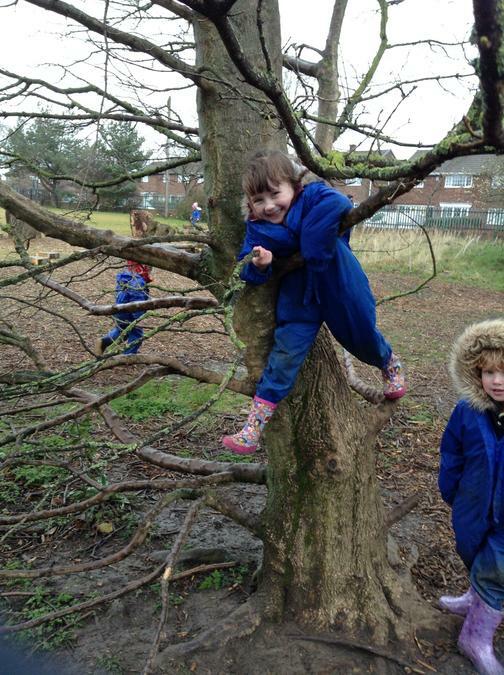 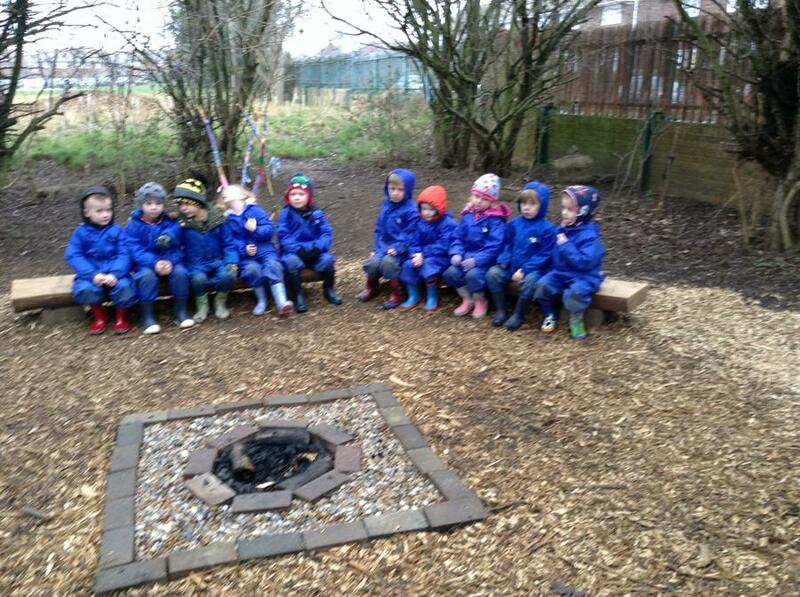 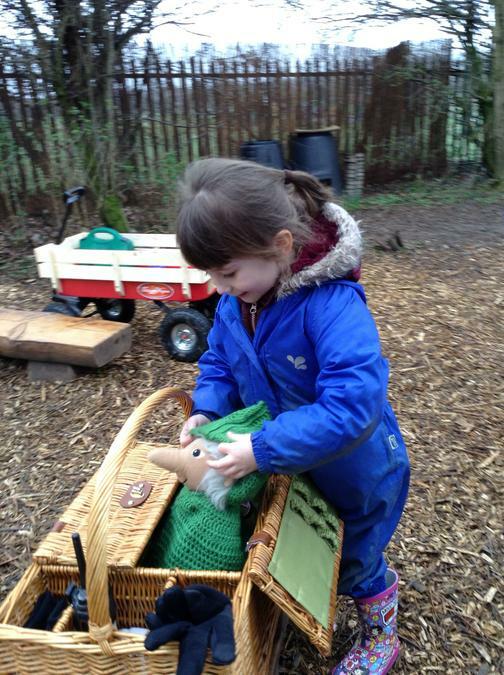 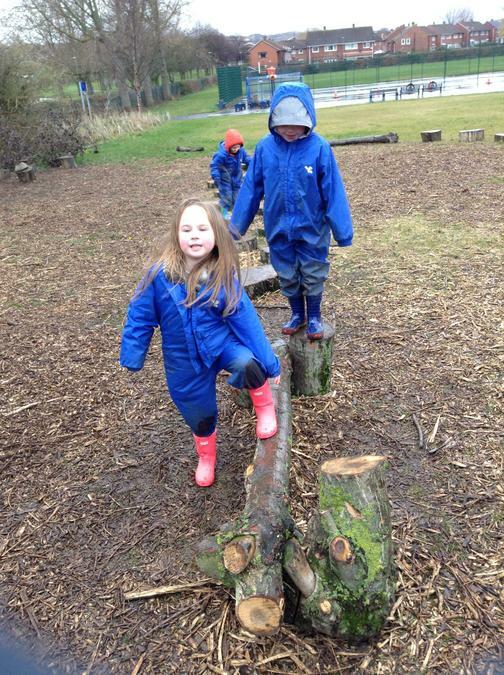 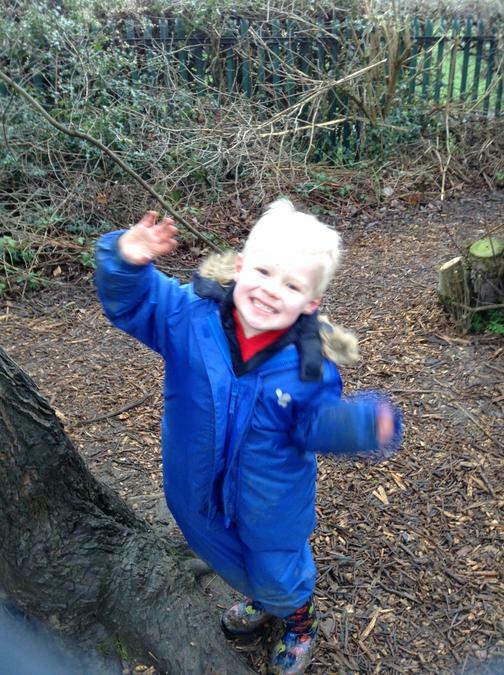 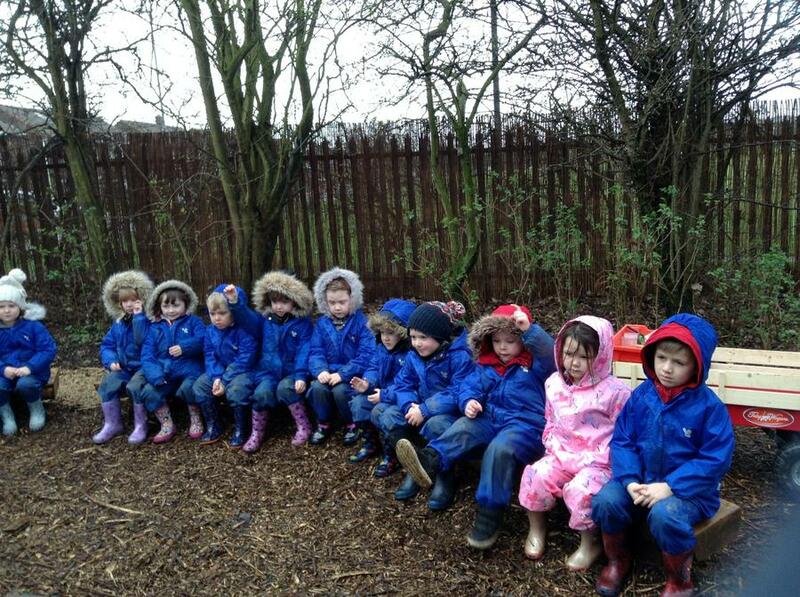 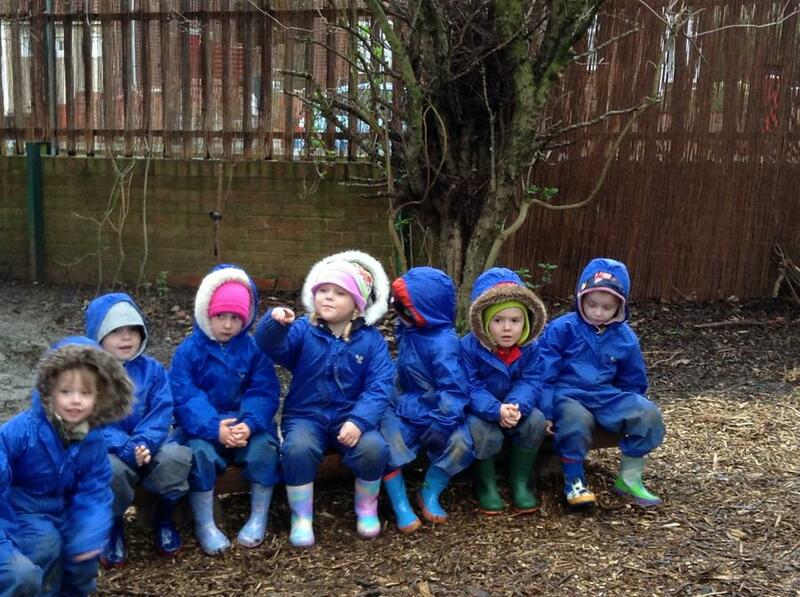 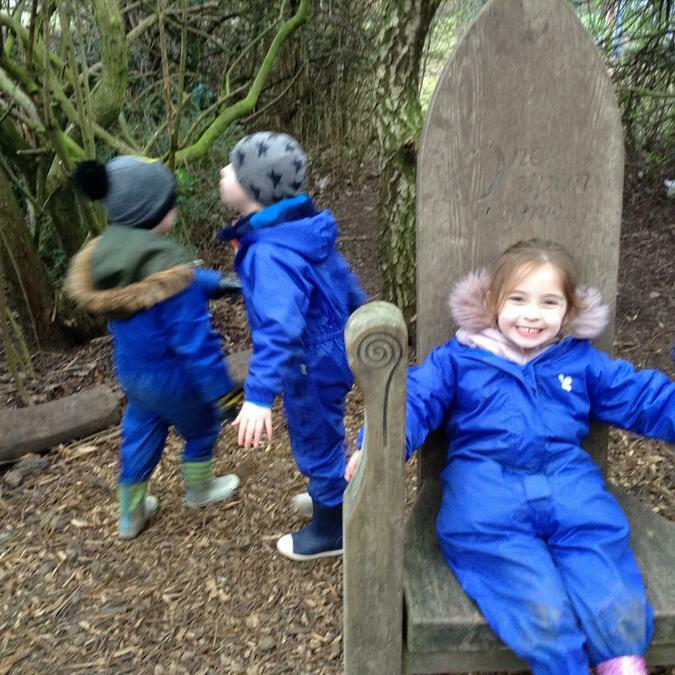 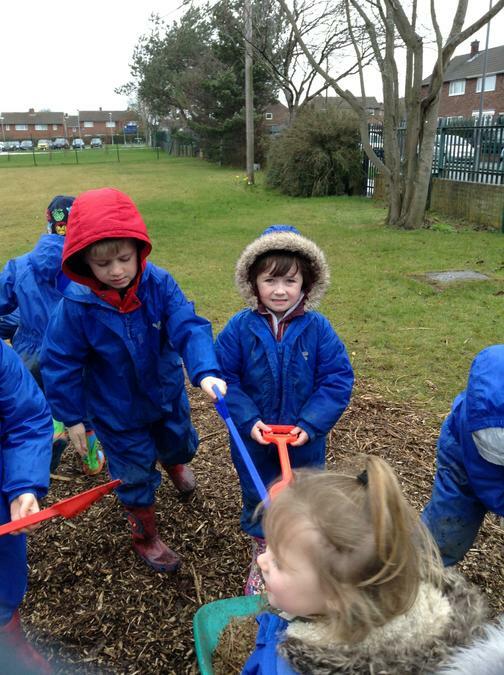 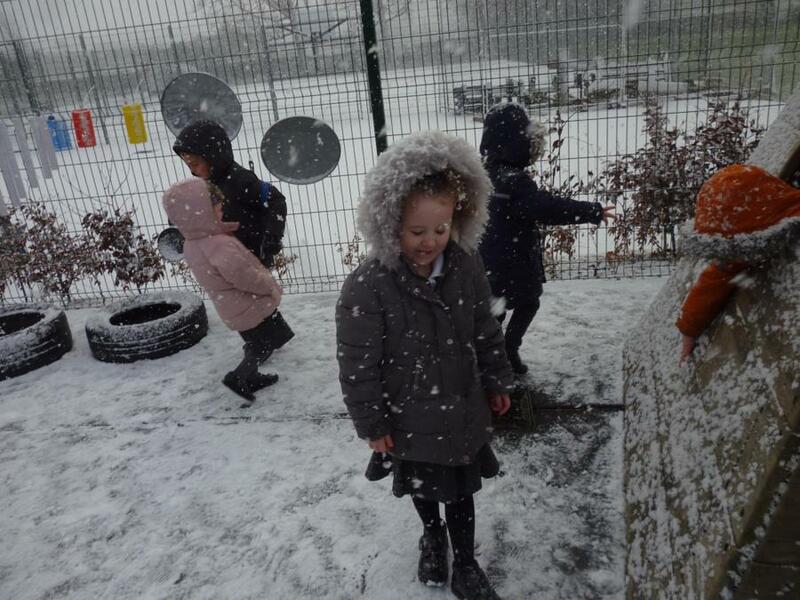 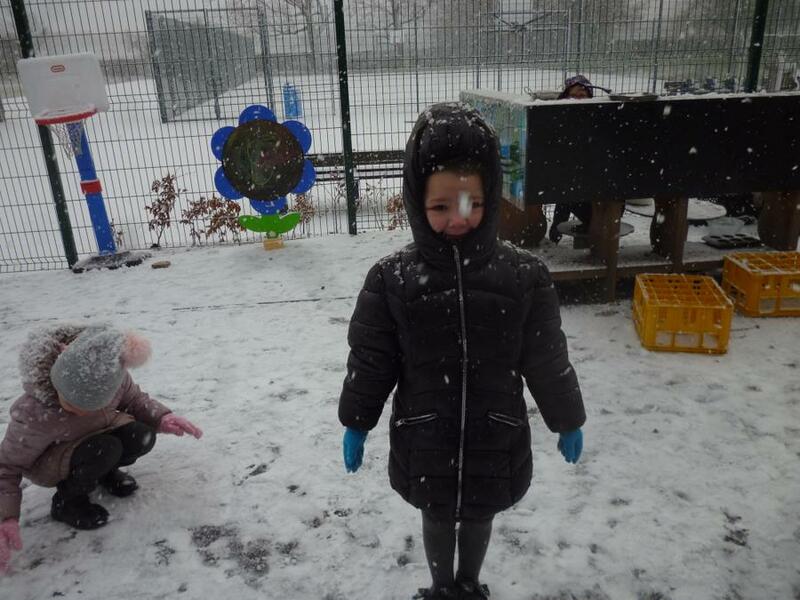 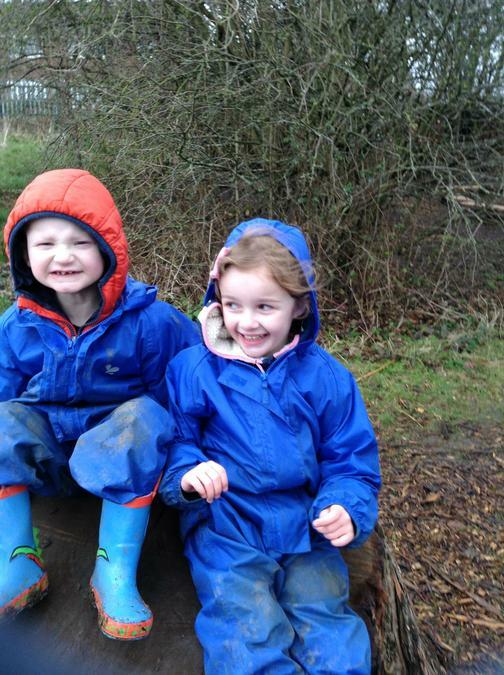 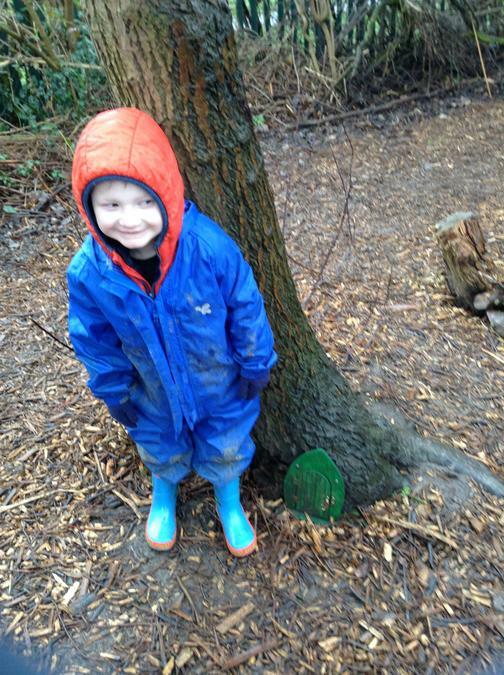 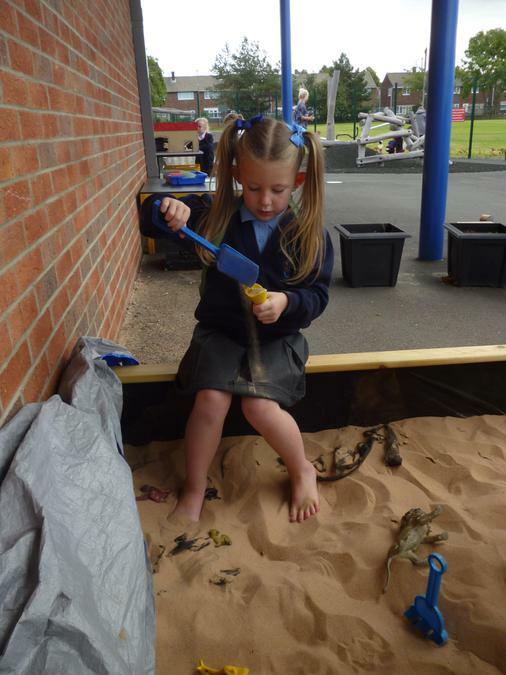 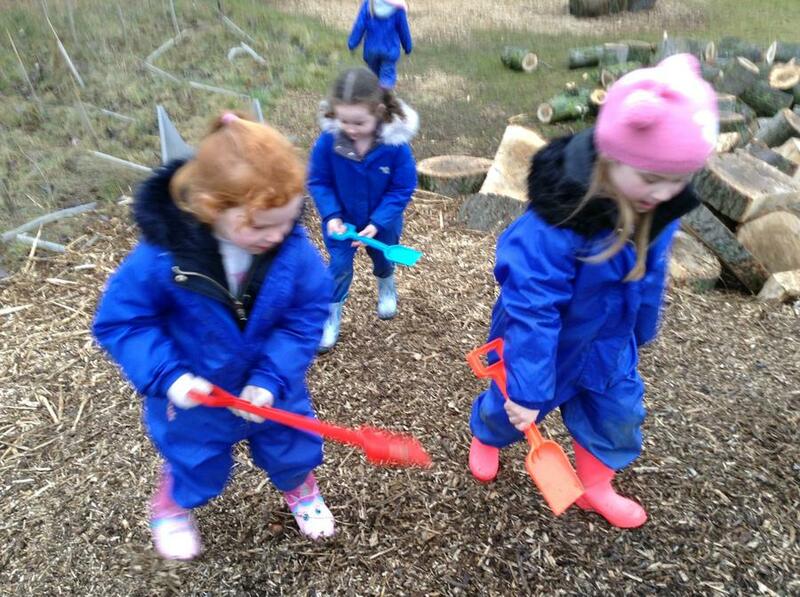 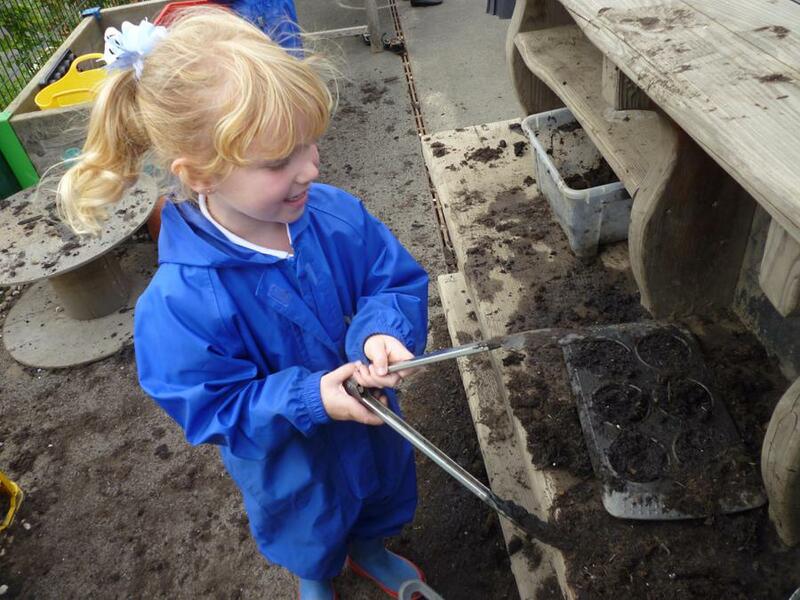 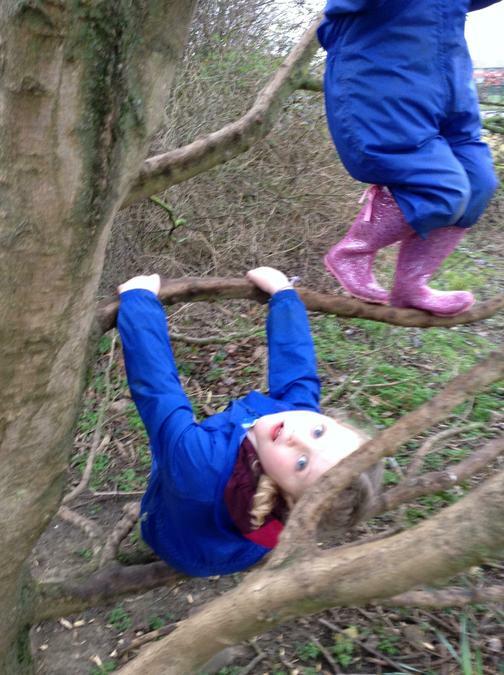 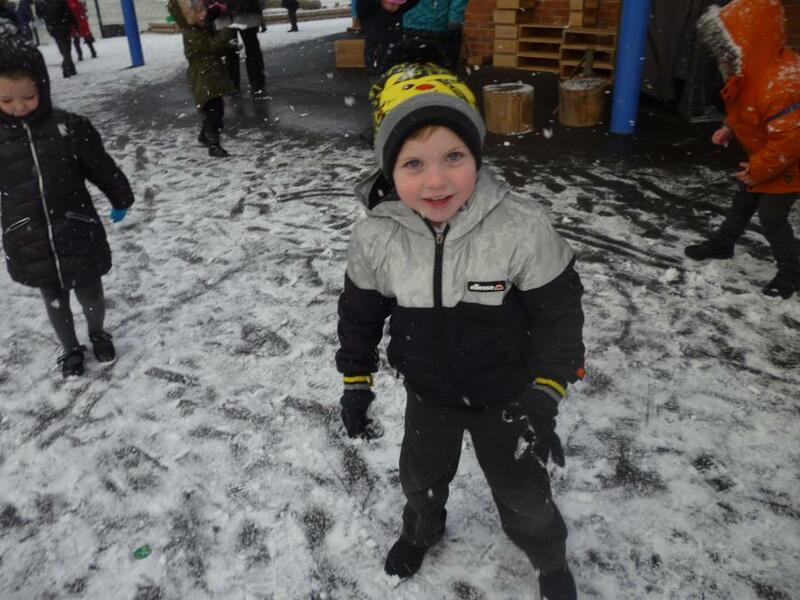 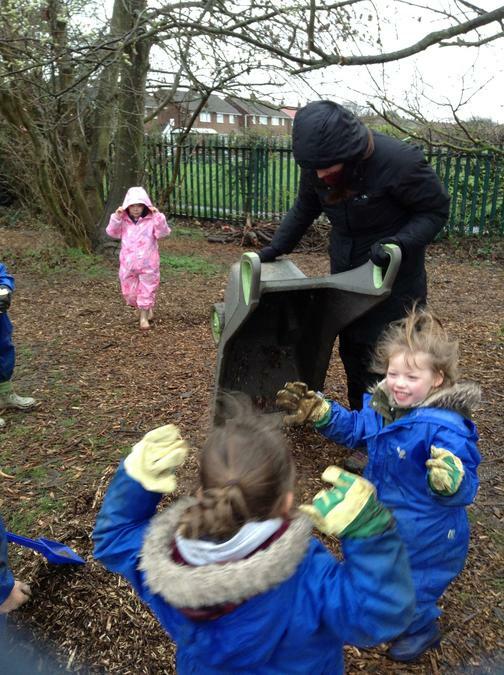 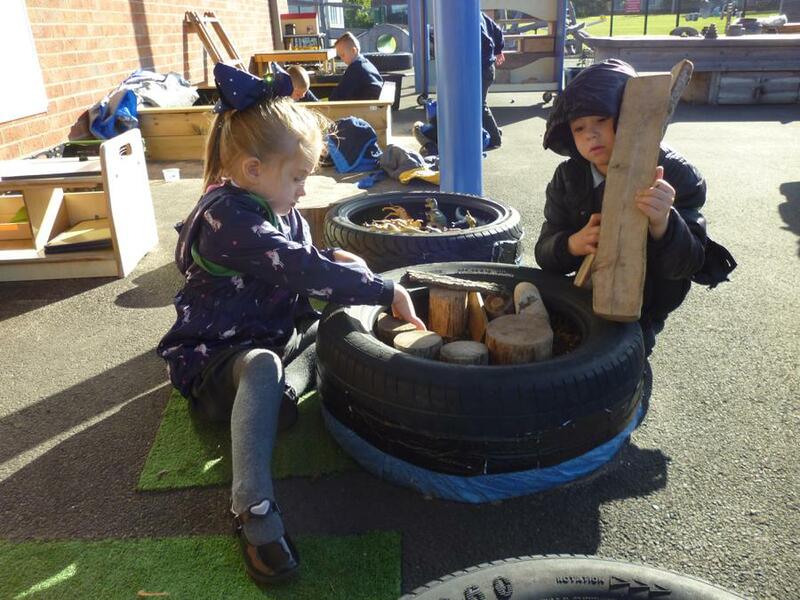 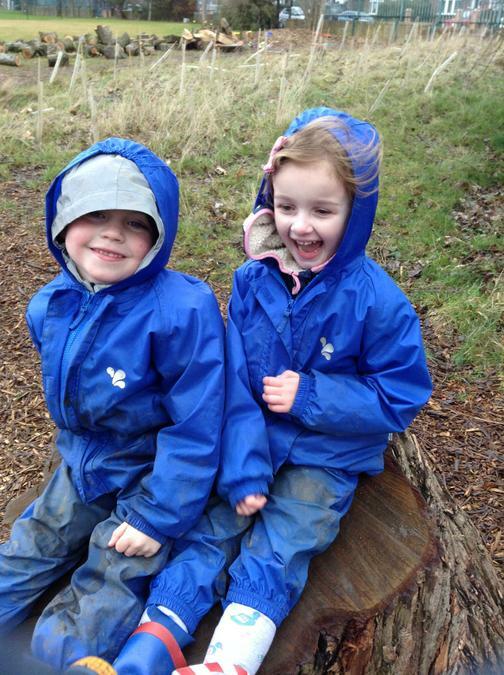 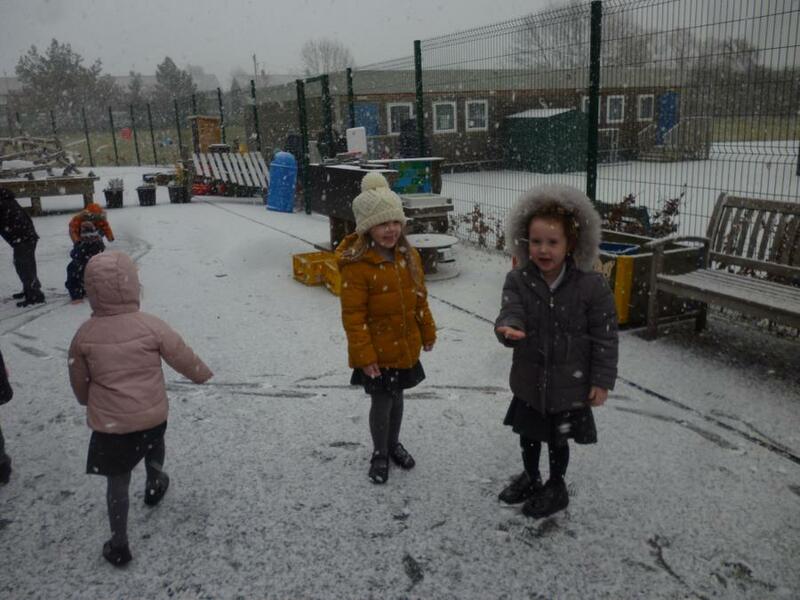 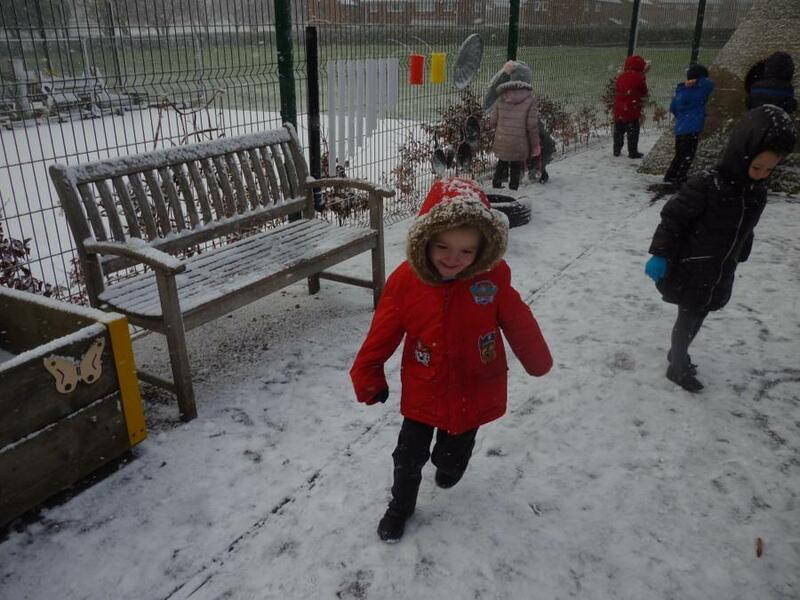 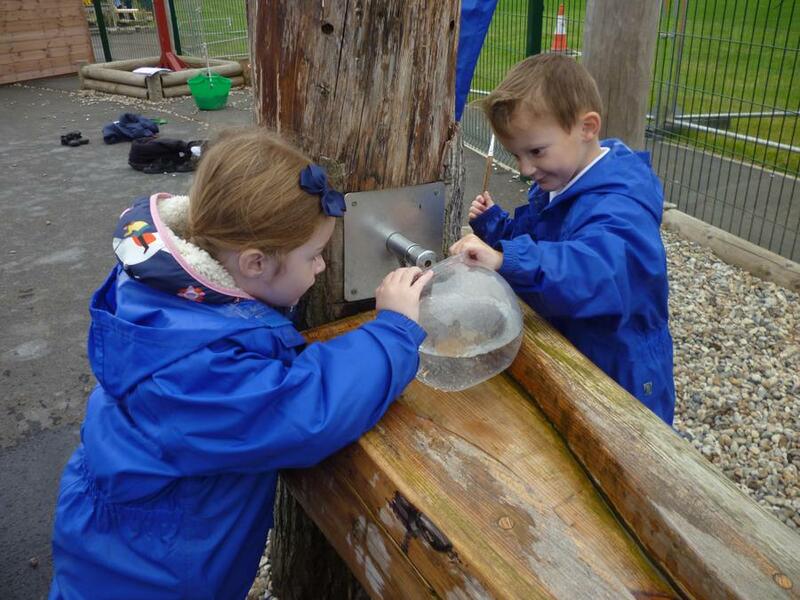 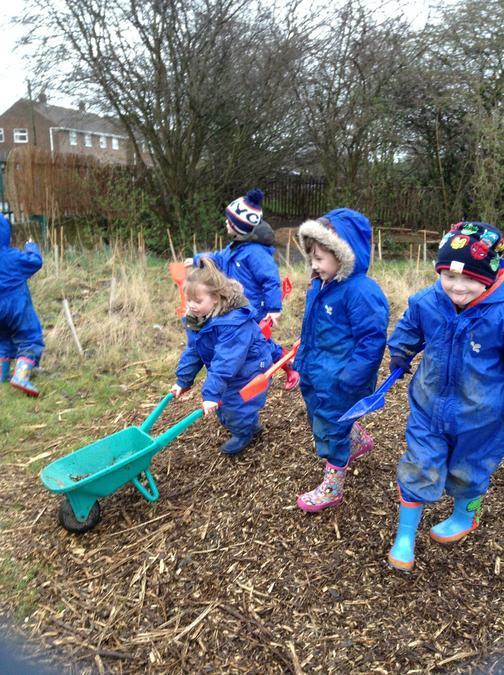 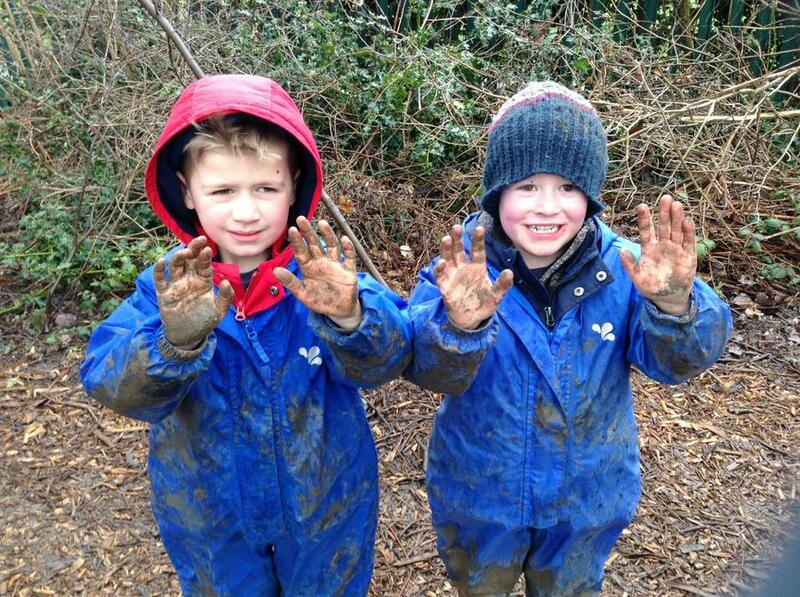 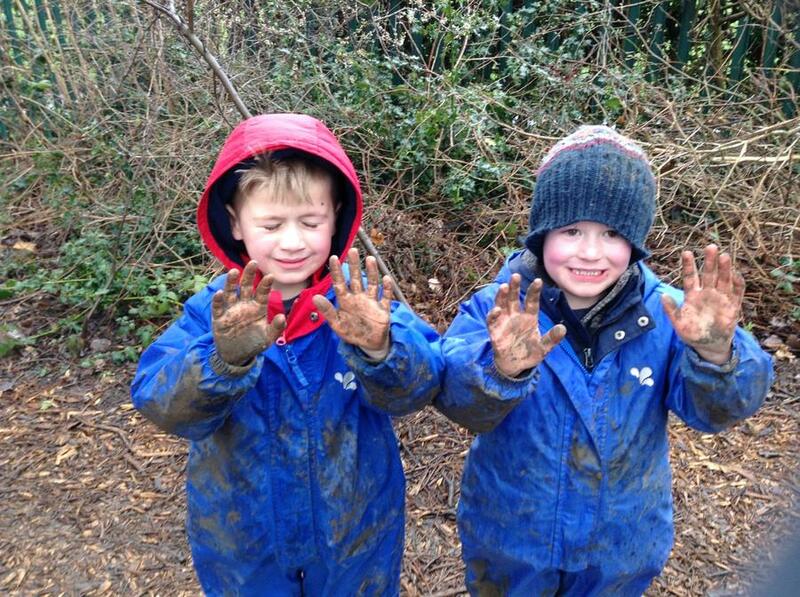 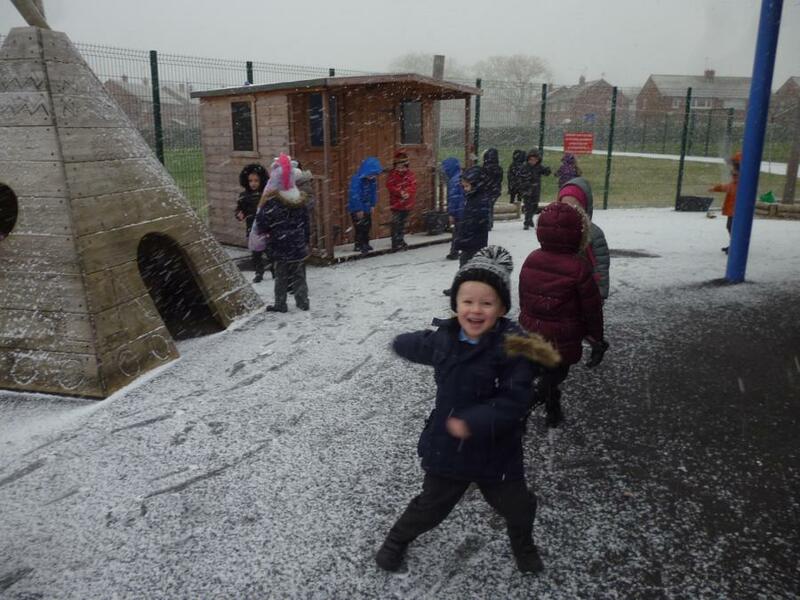 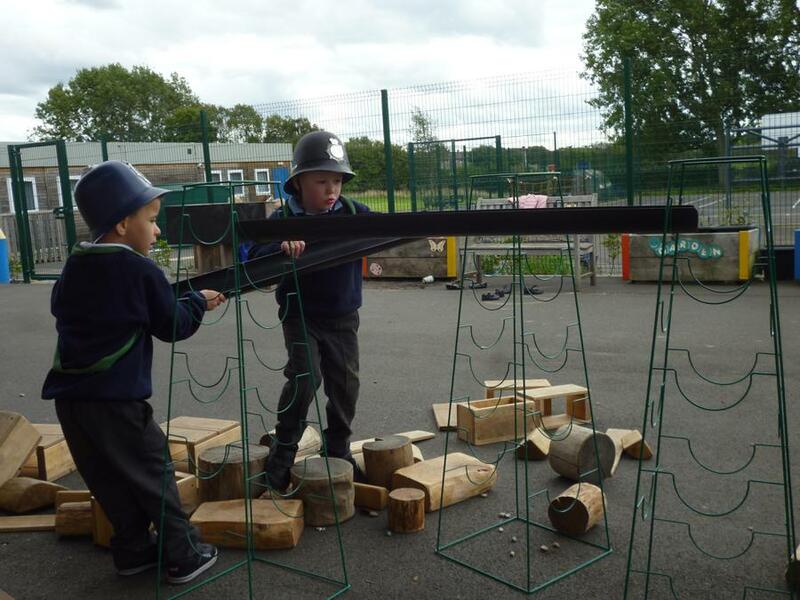 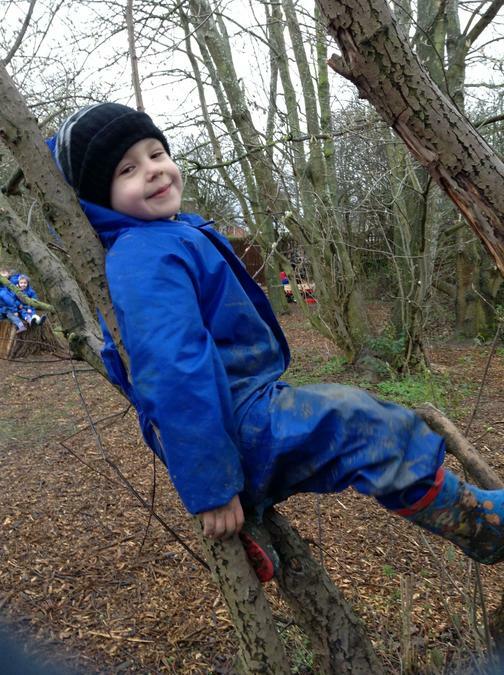 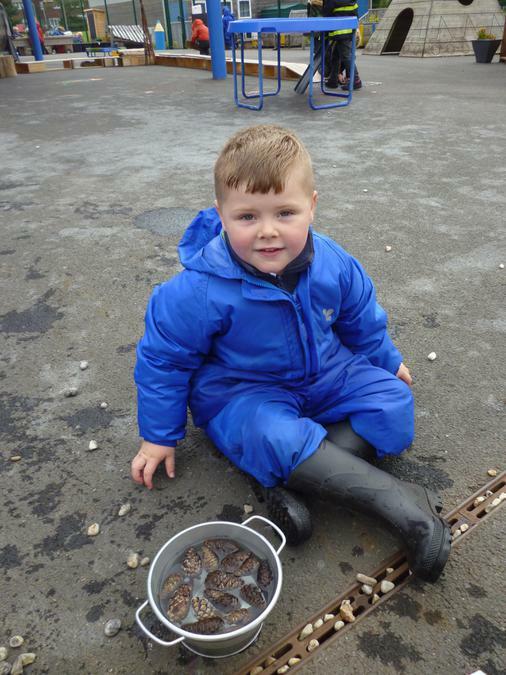 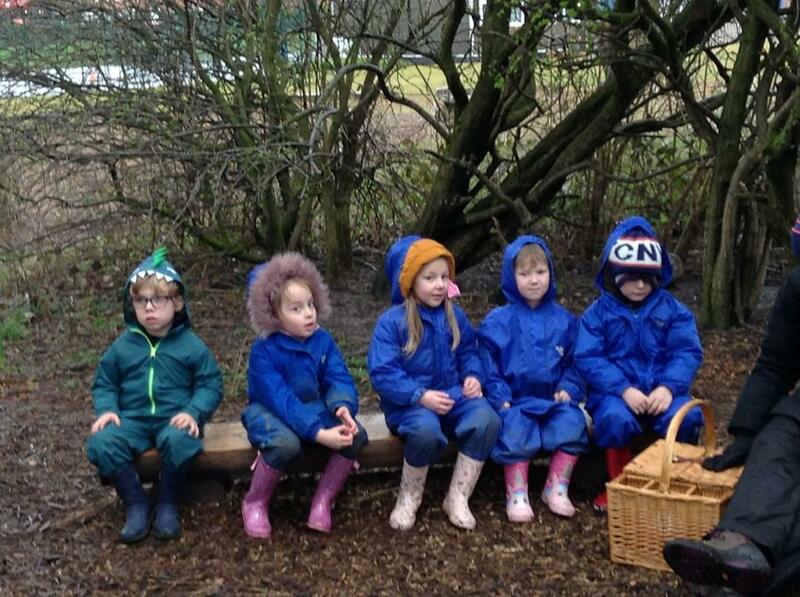 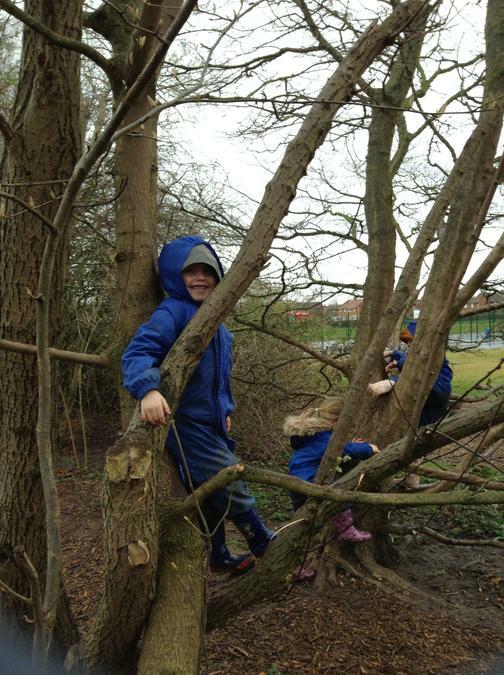 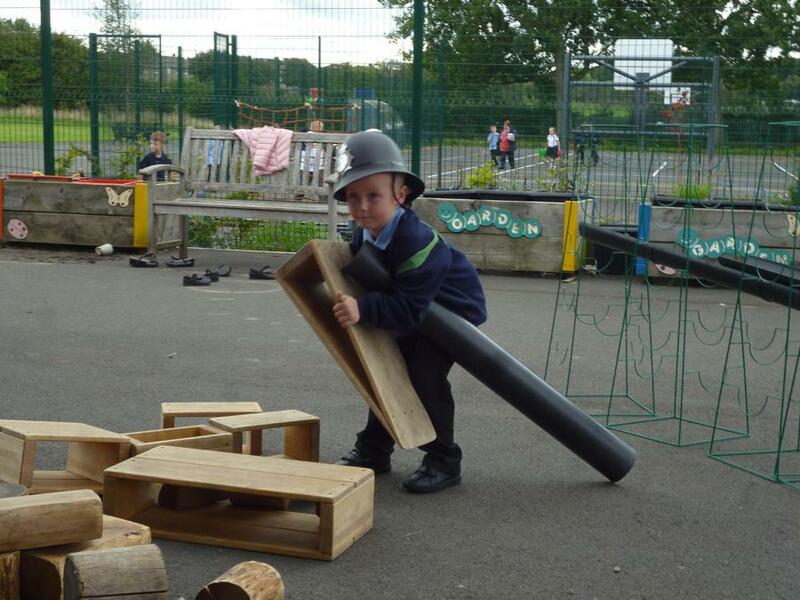 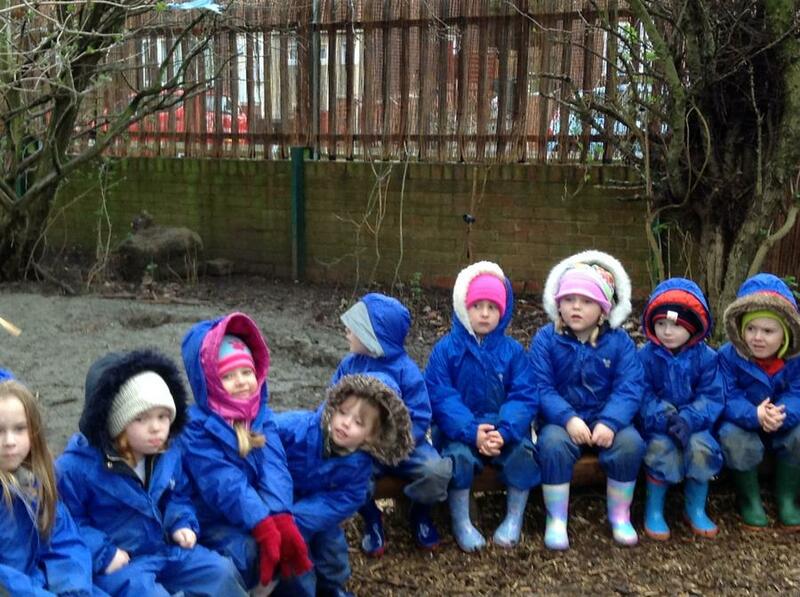 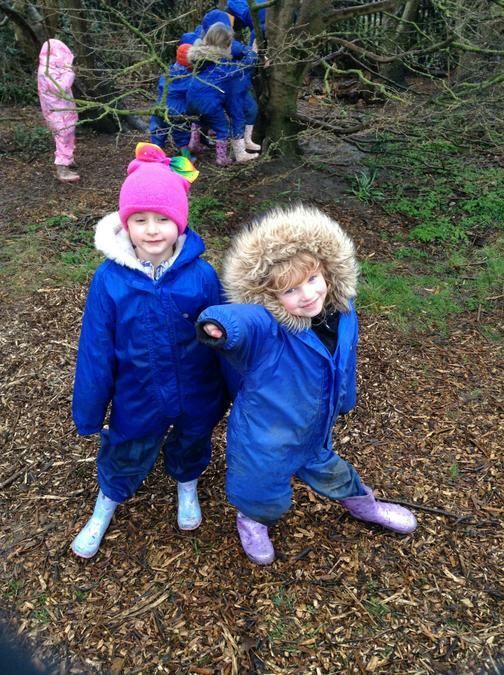 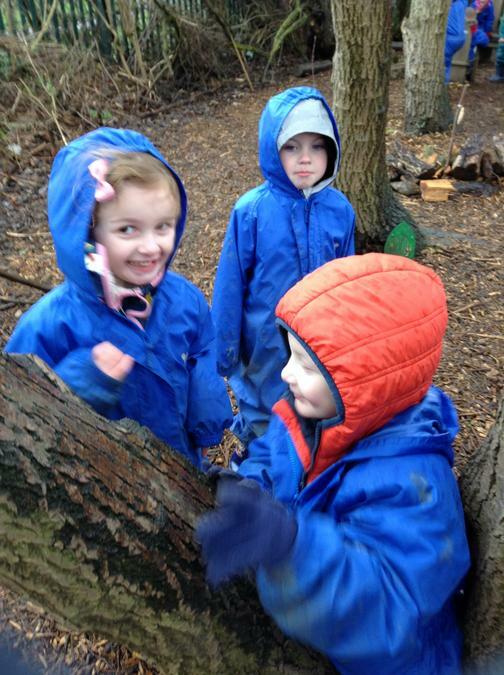 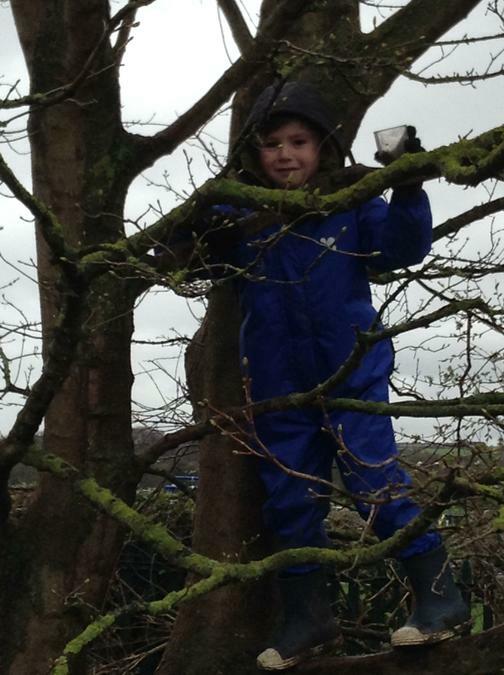 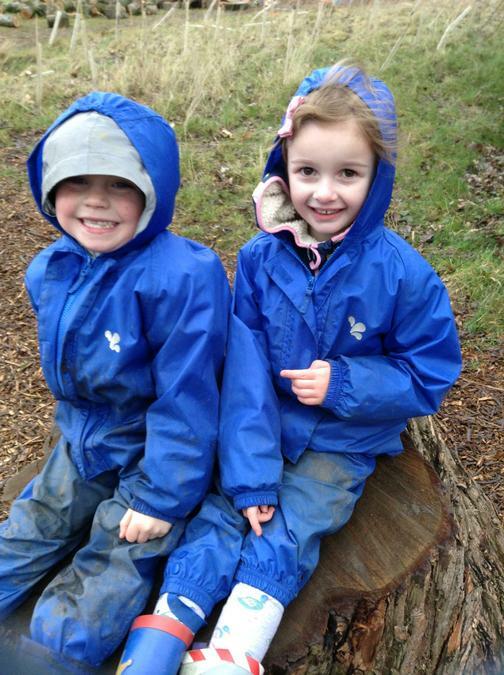 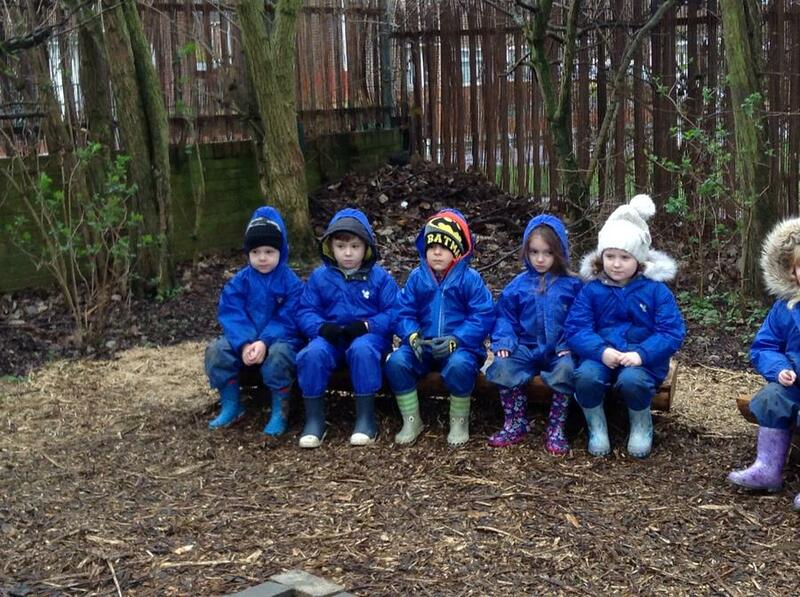 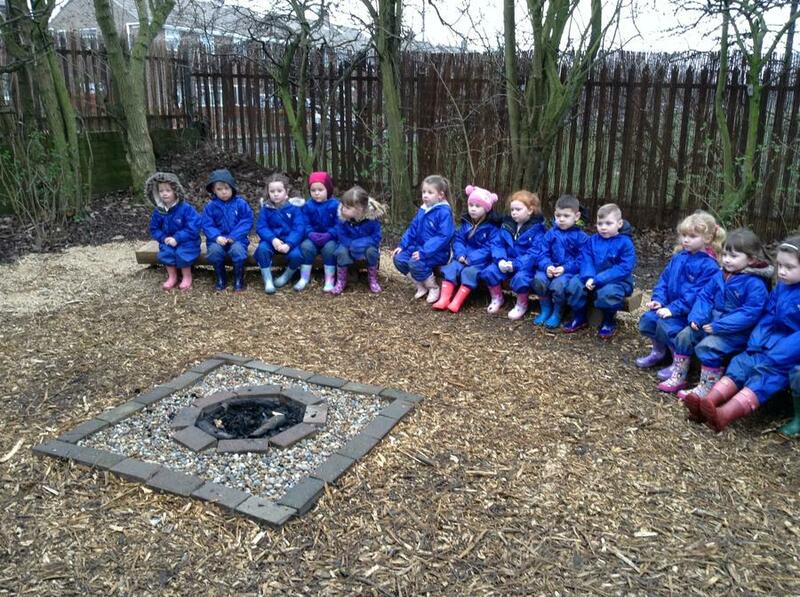 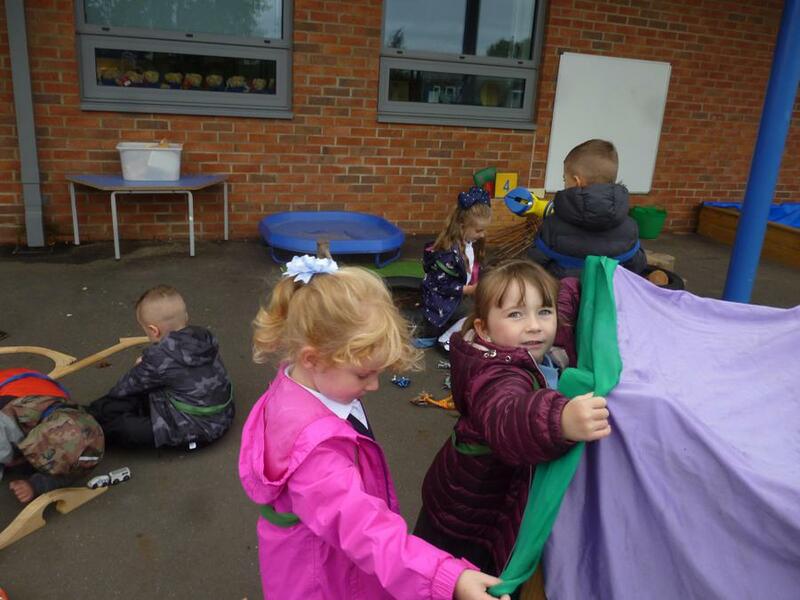 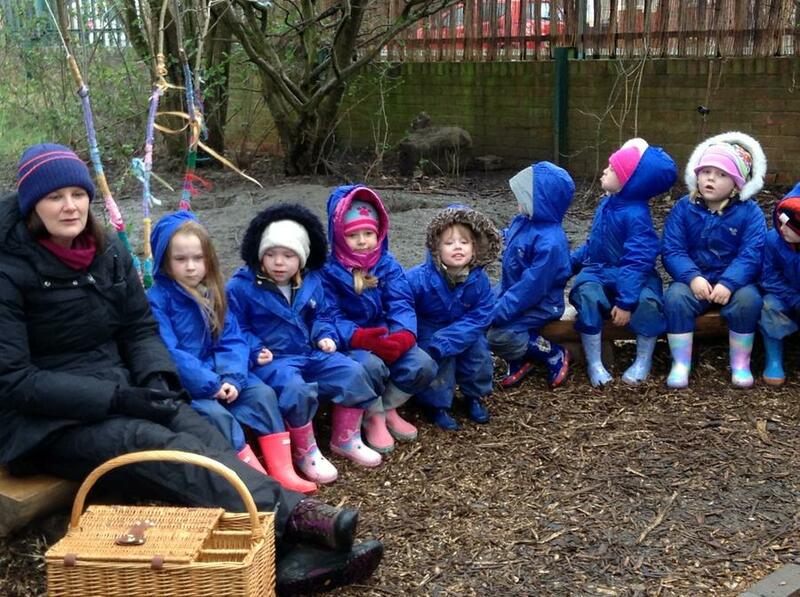 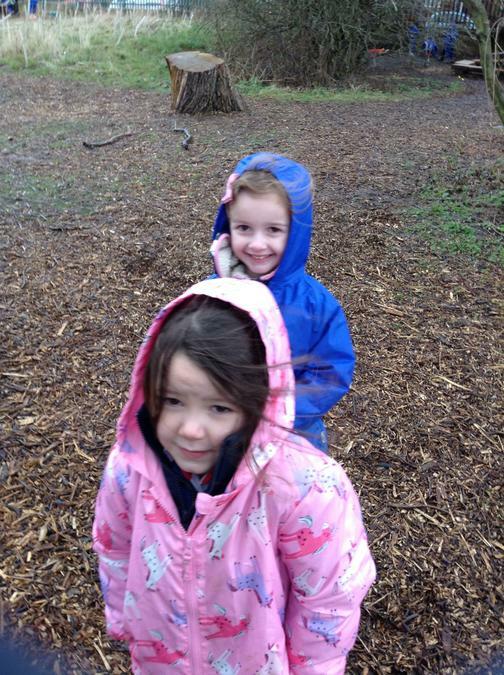 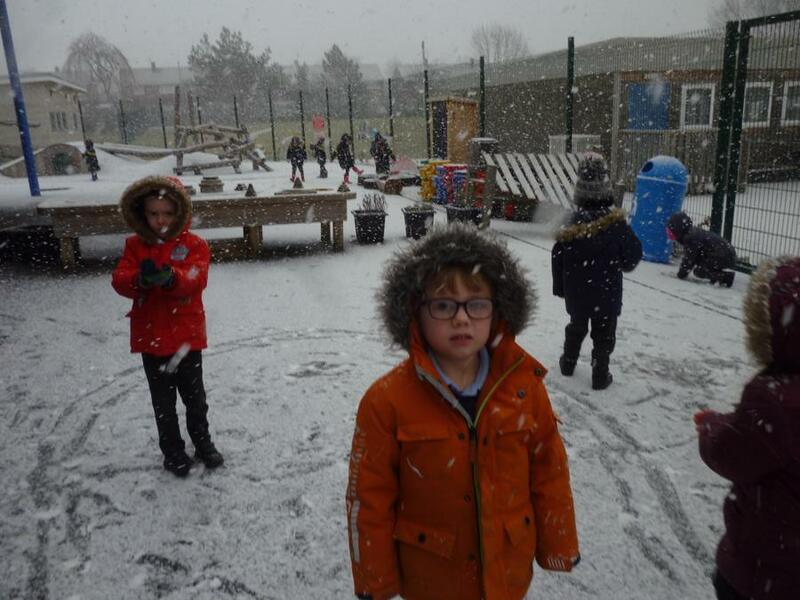 We are enjoying exploring our new class and working in the outdoor area. 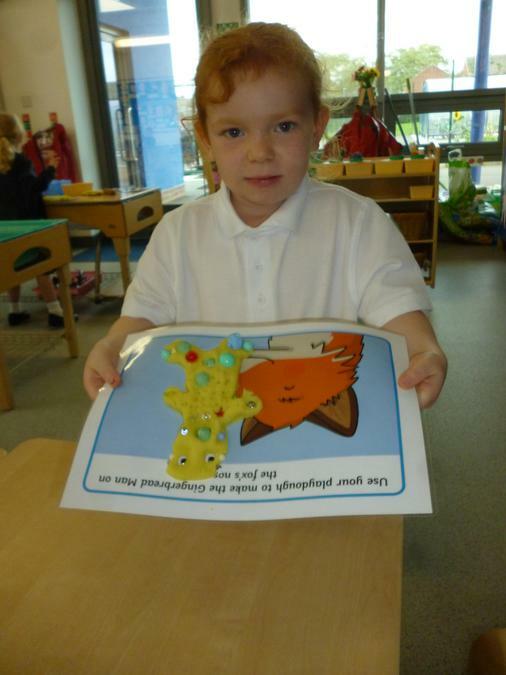 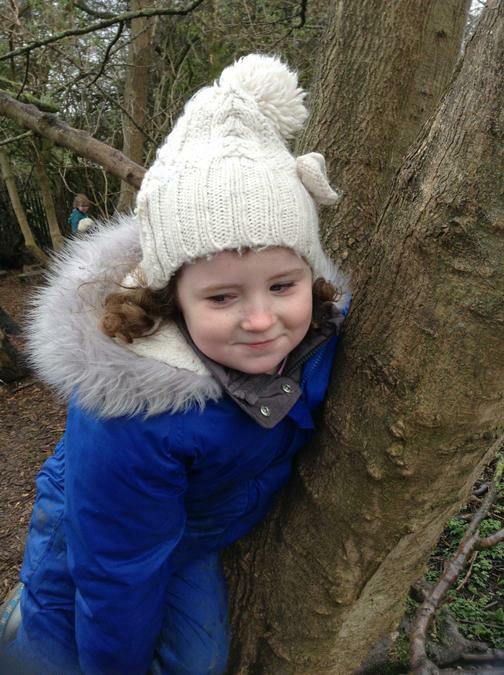 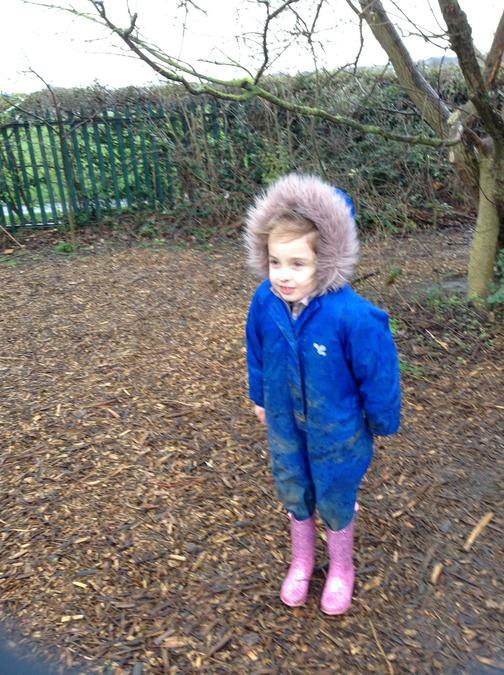 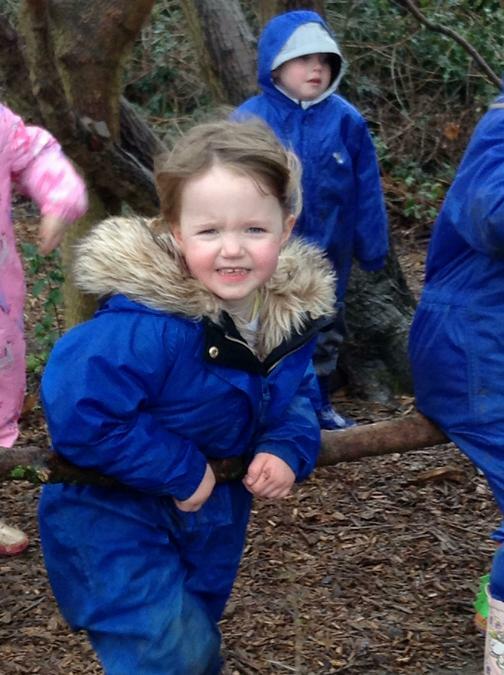 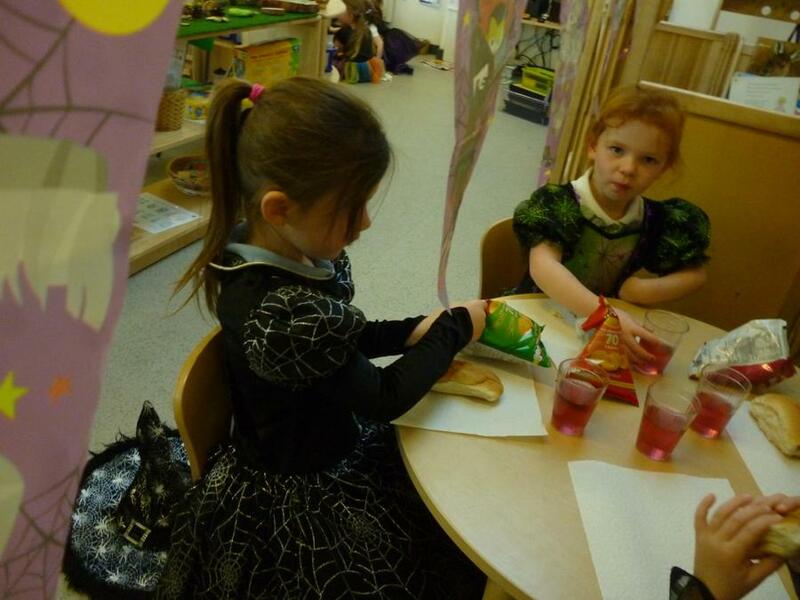 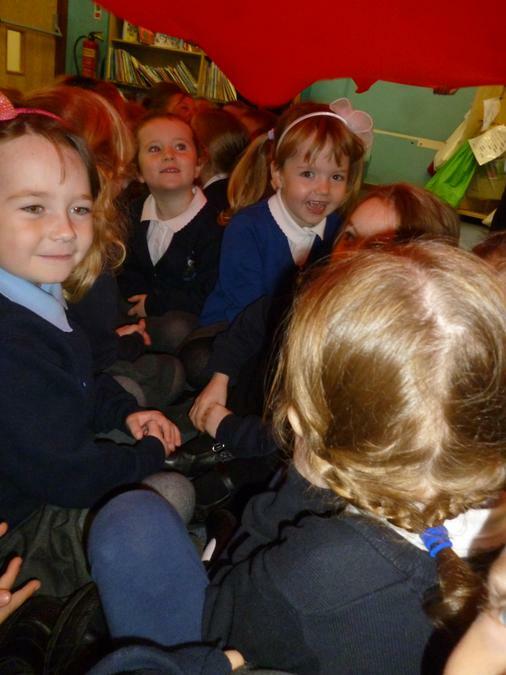 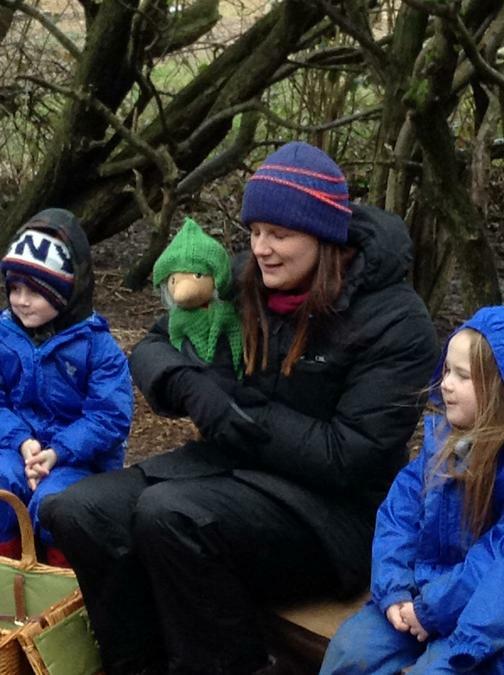 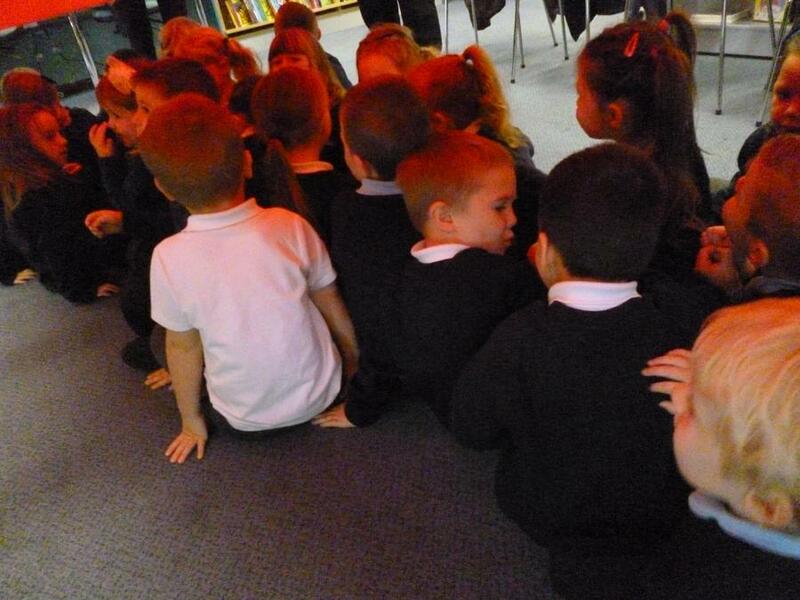 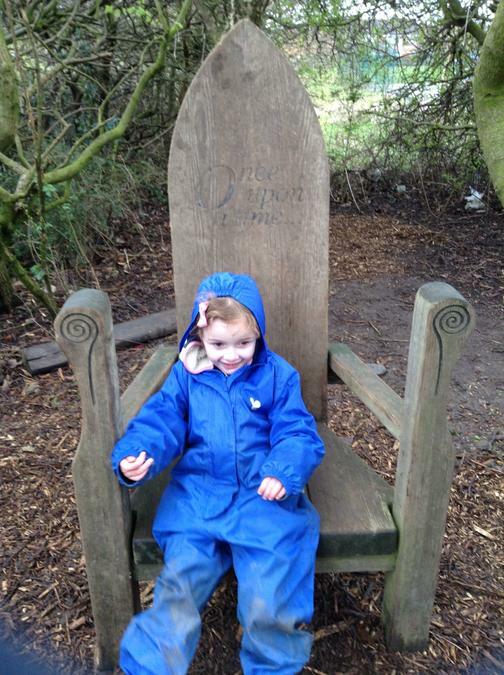 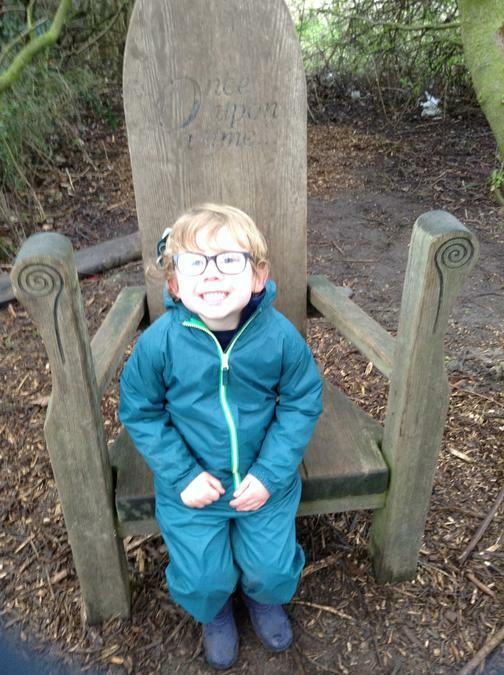 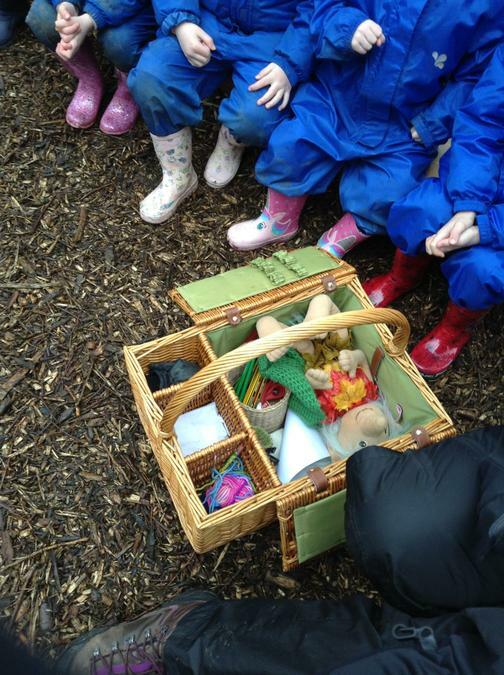 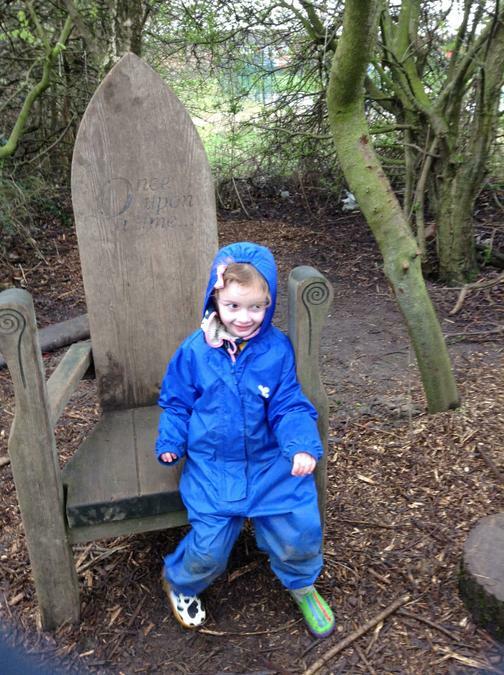 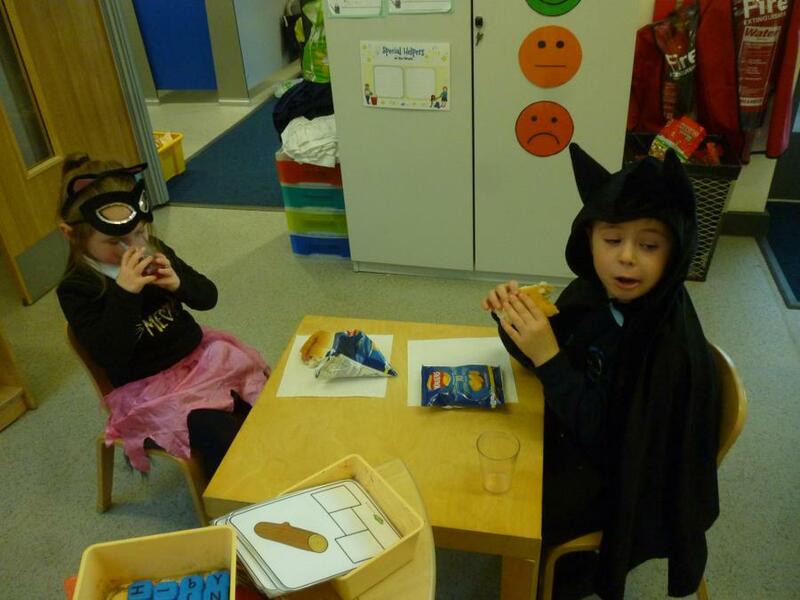 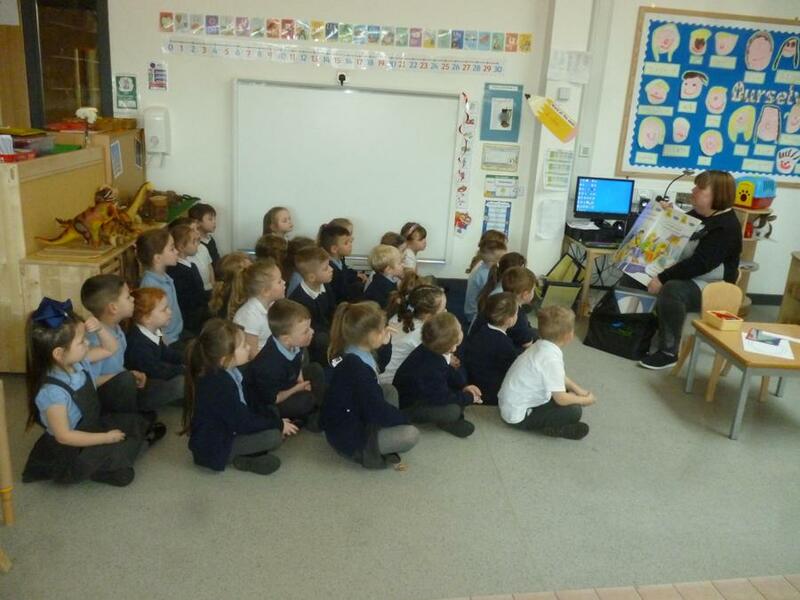 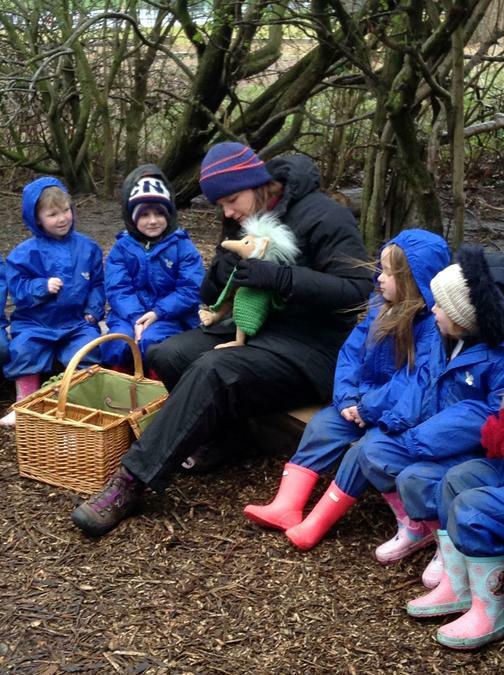 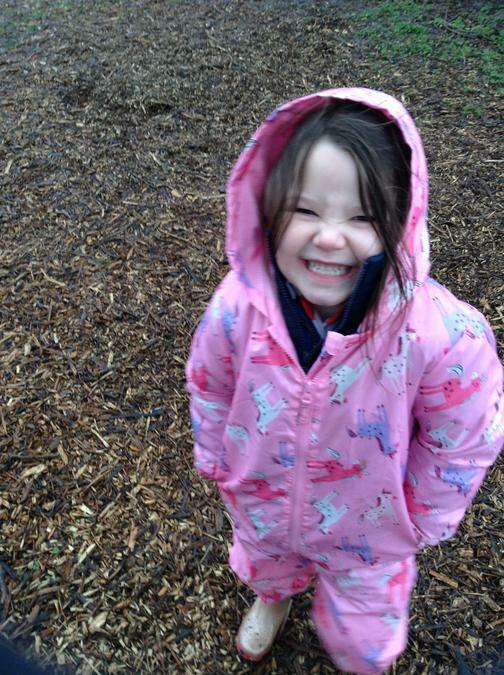 This half term we are reading lots of traditional tales such as the Gingerbread Man and Three Little Pigs. 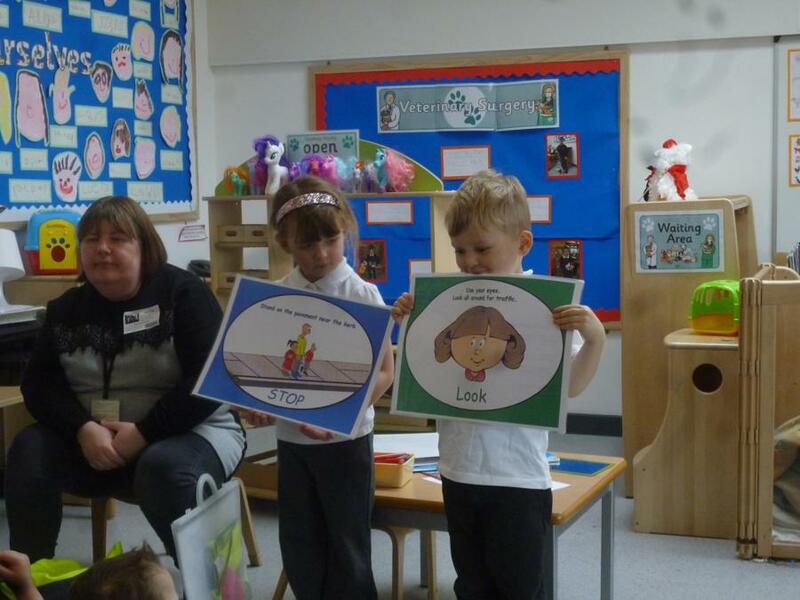 We are learning how stories are structured and about the different characters. 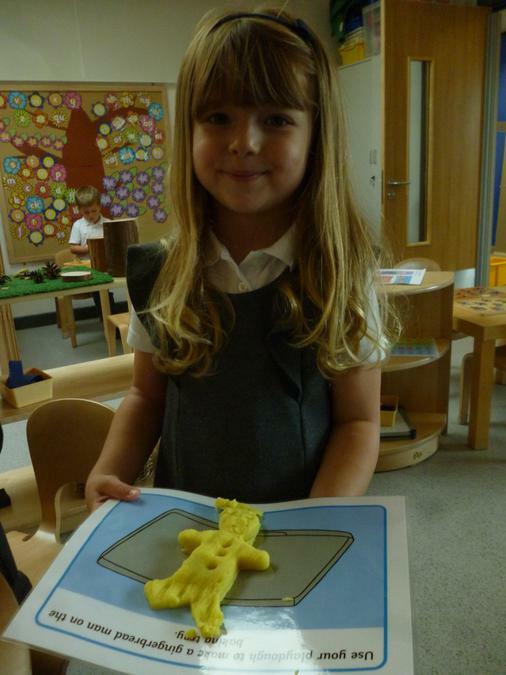 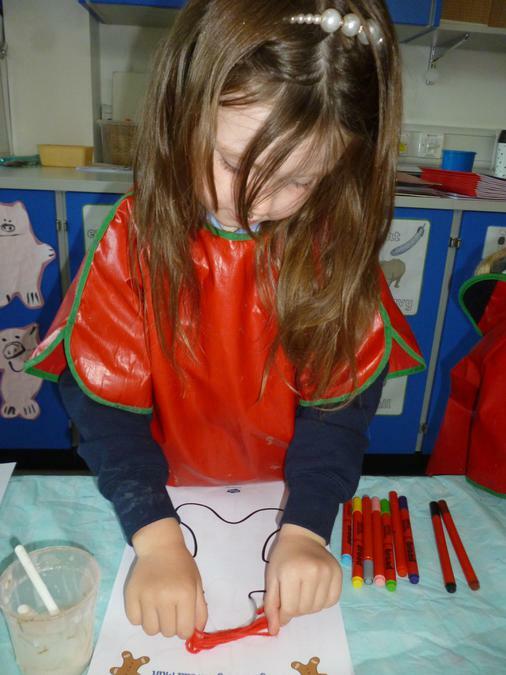 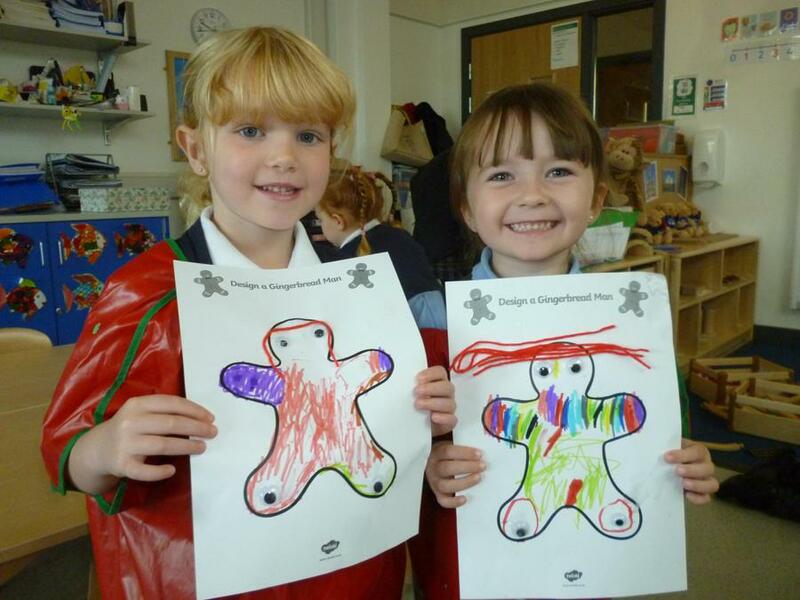 We have even made our own salt dough Gingerbread Men and we are looking forward to painting them. 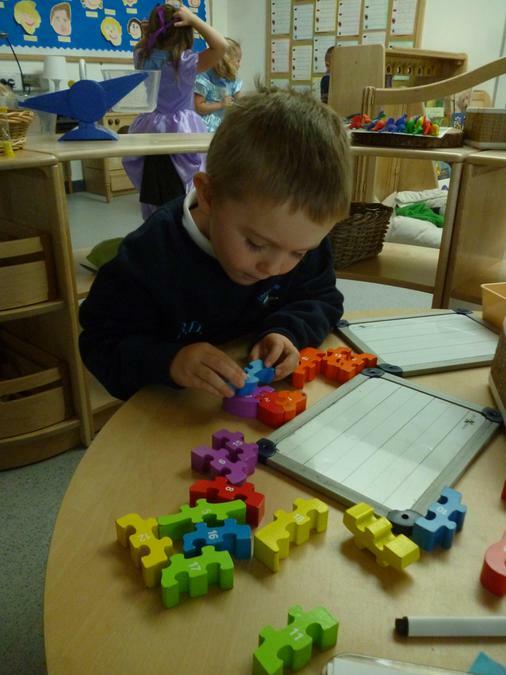 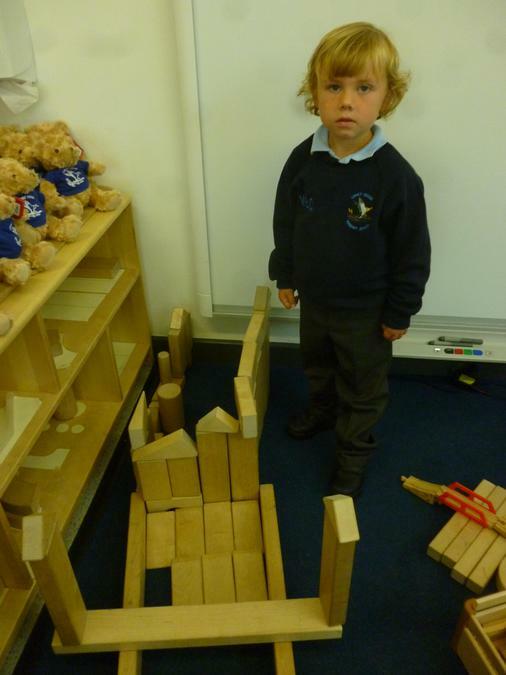 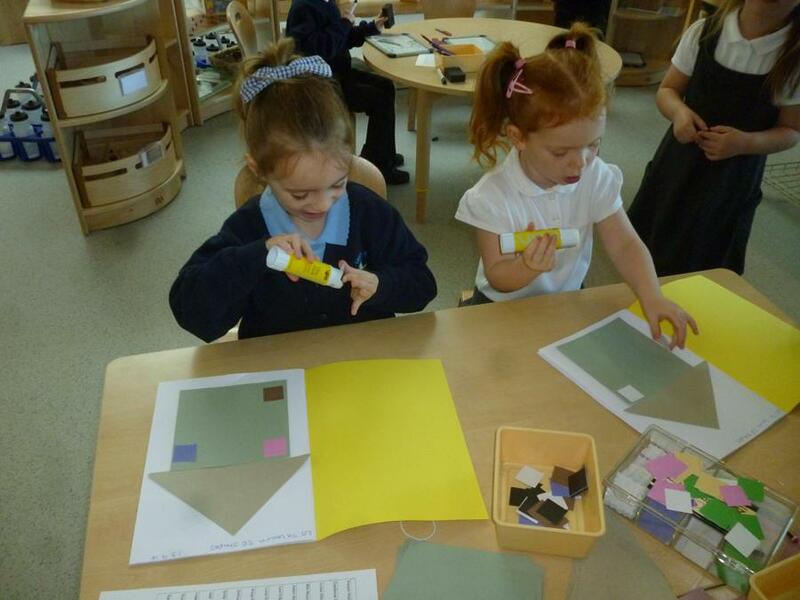 We have also been learning about 2D shapes and we made our own 'shape house' using 2D shapes.